St. Patrick’s Day 2017 was a shocker. 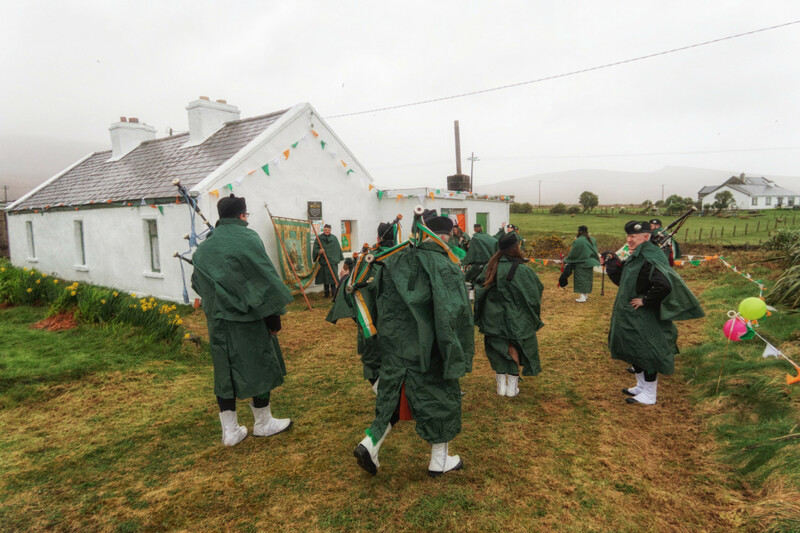 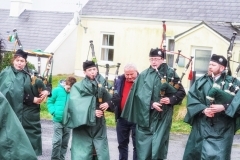 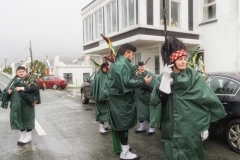 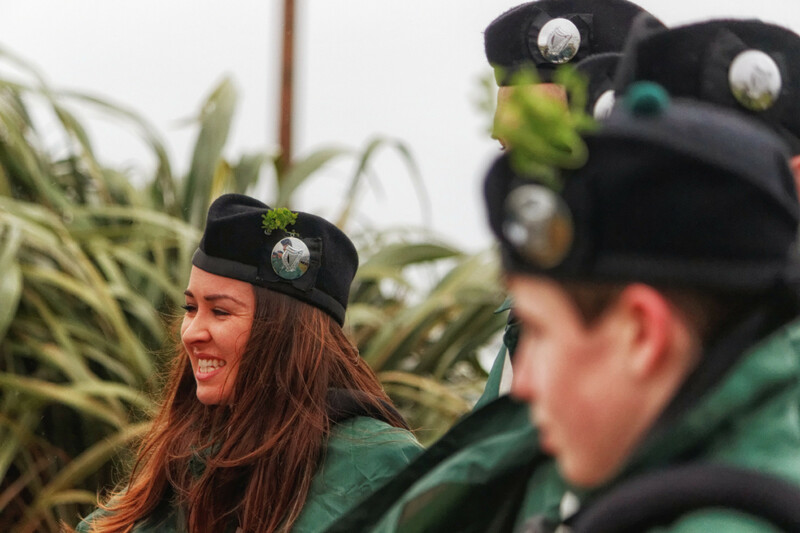 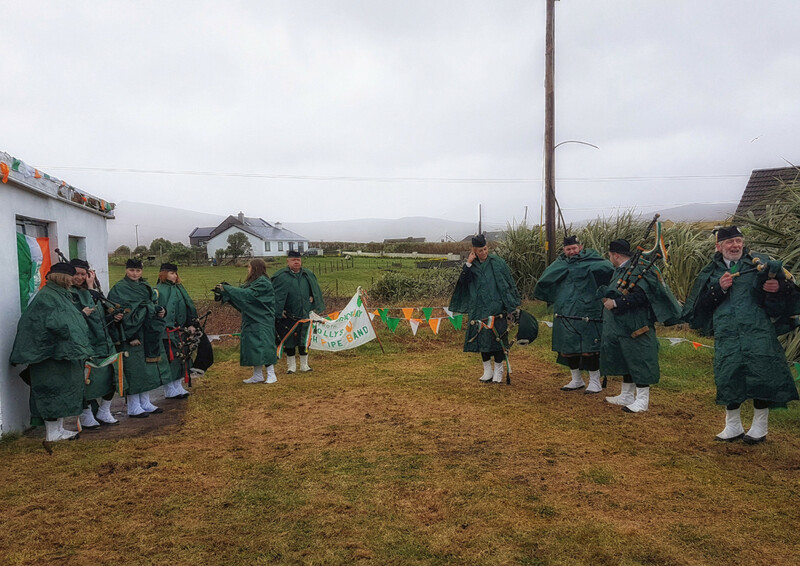 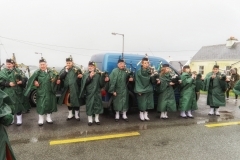 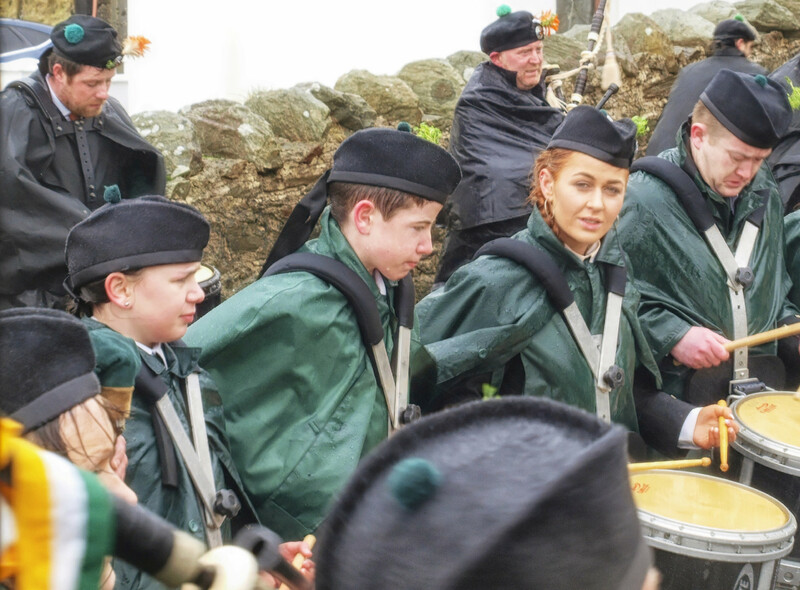 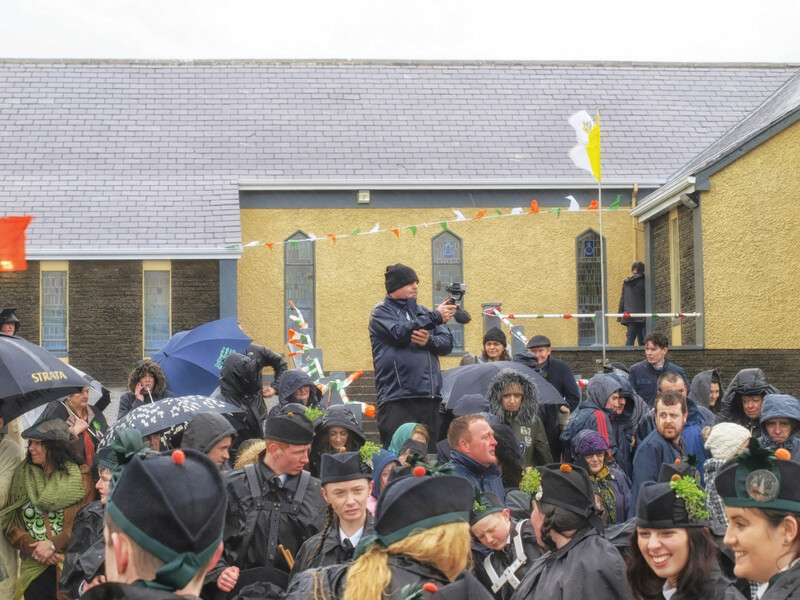 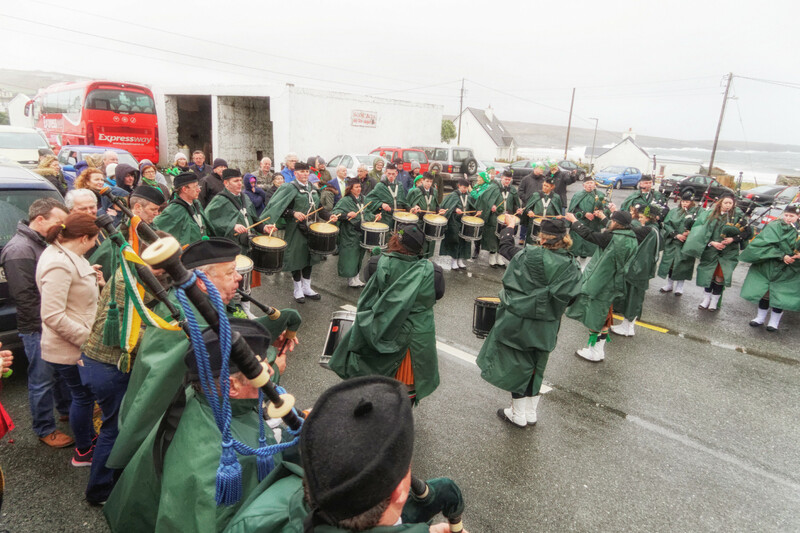 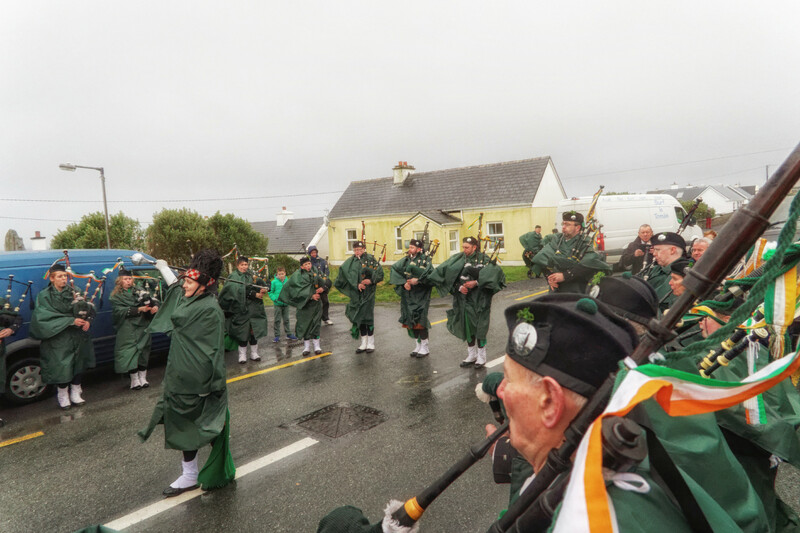 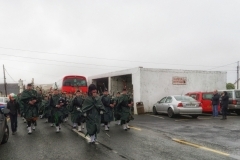 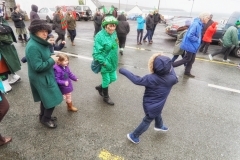 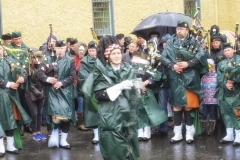 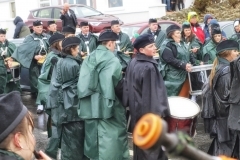 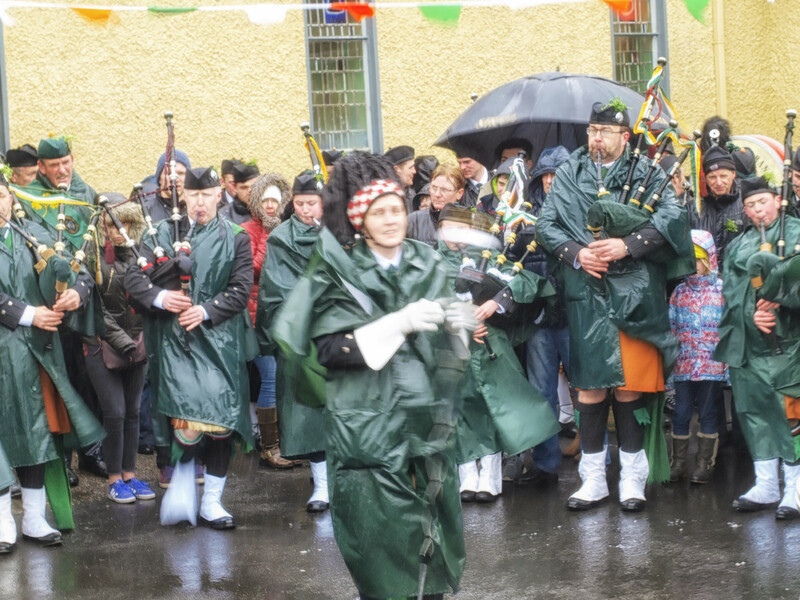 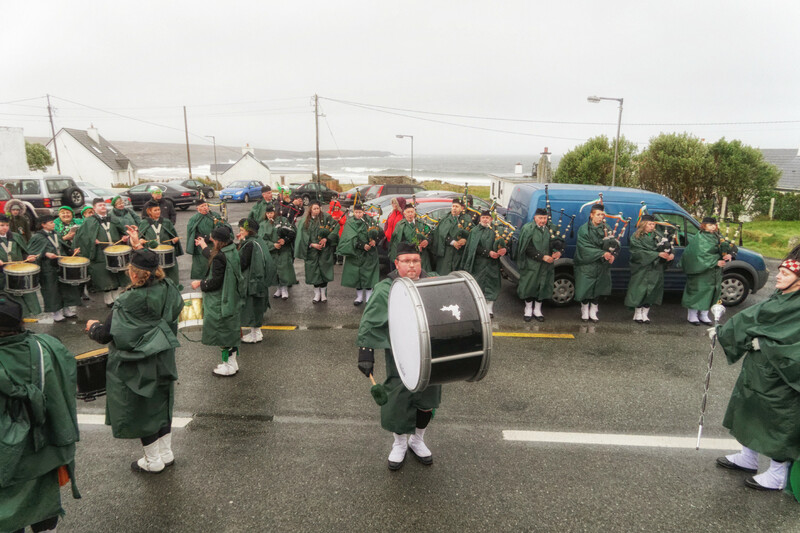 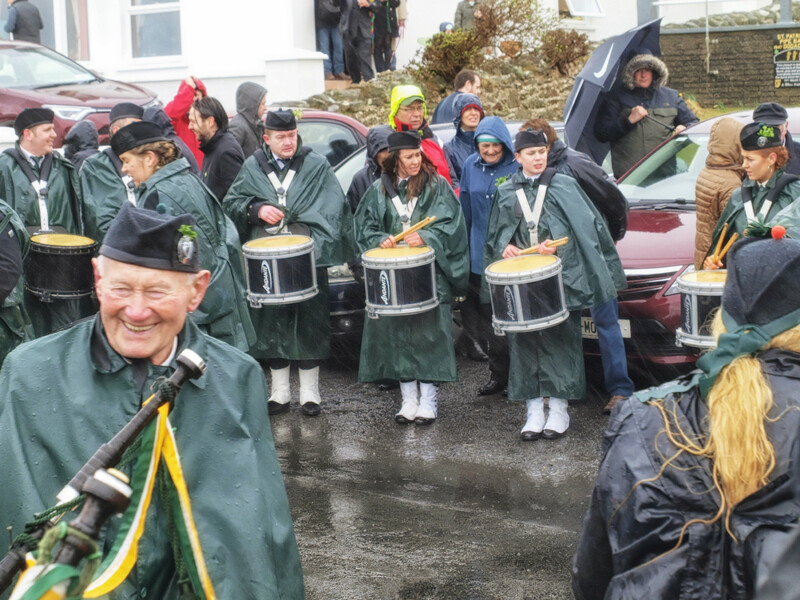 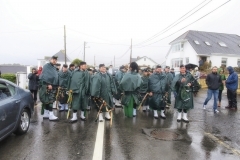 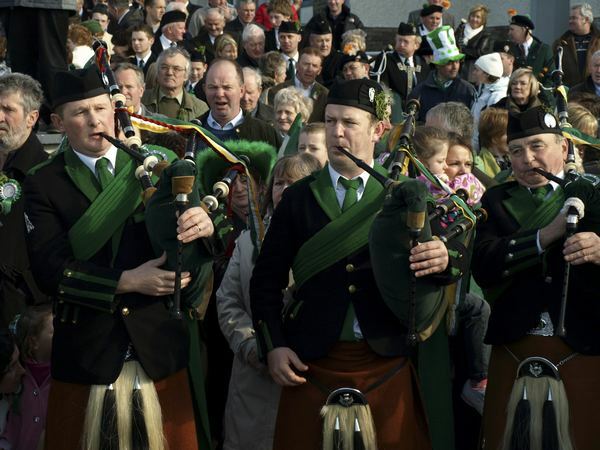 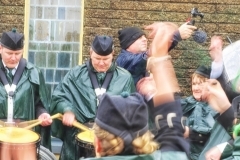 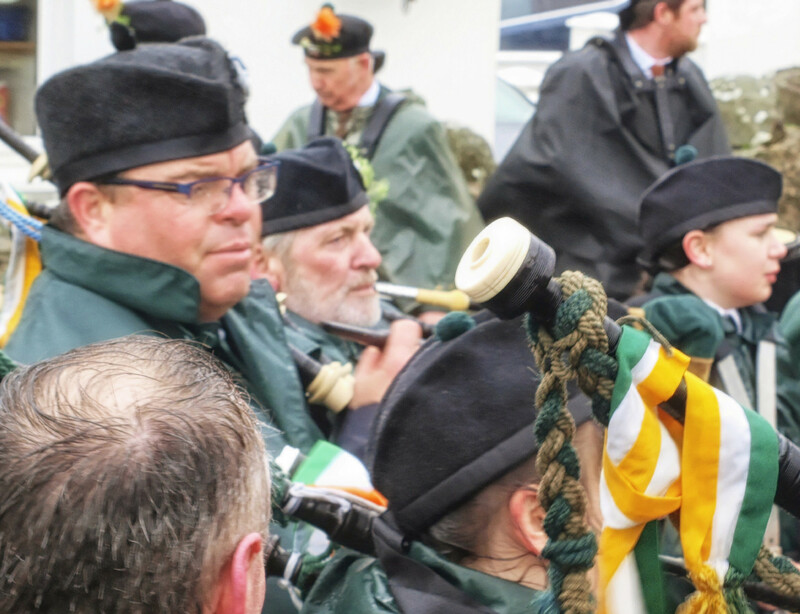 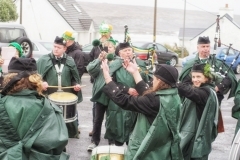 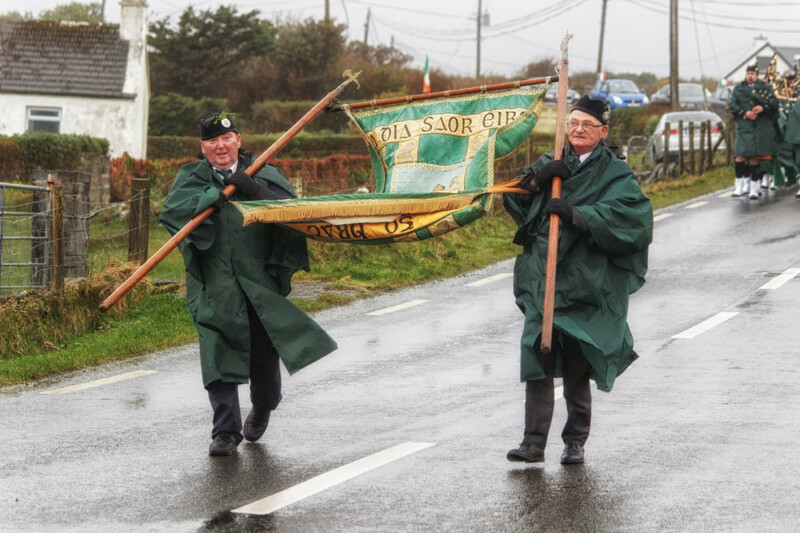 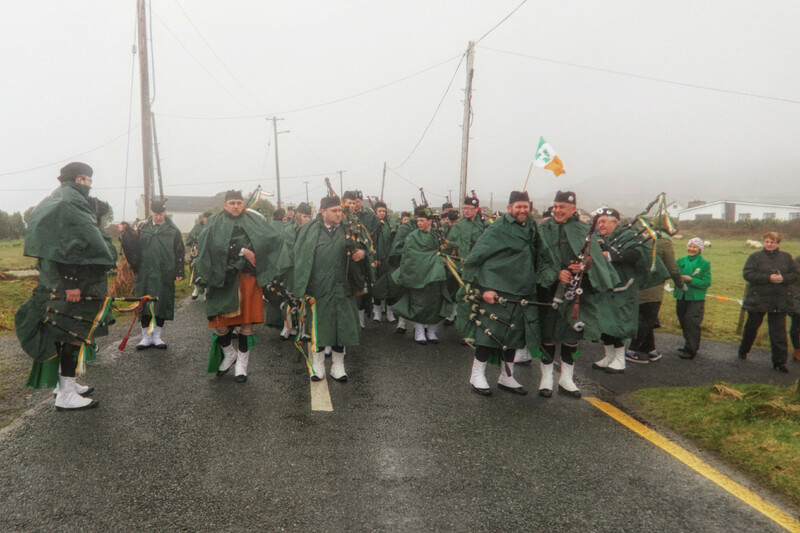 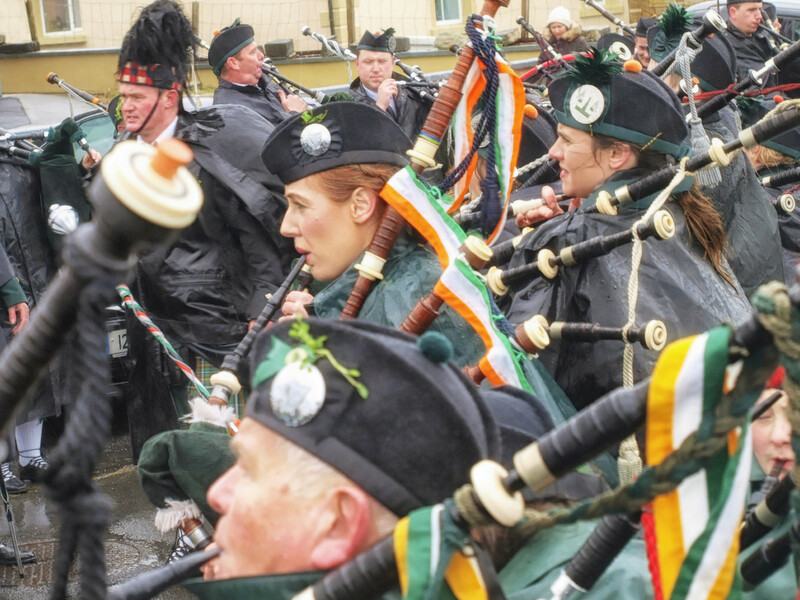 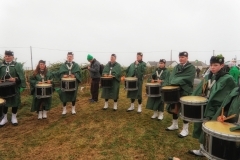 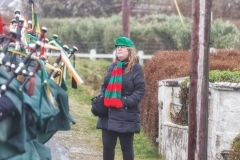 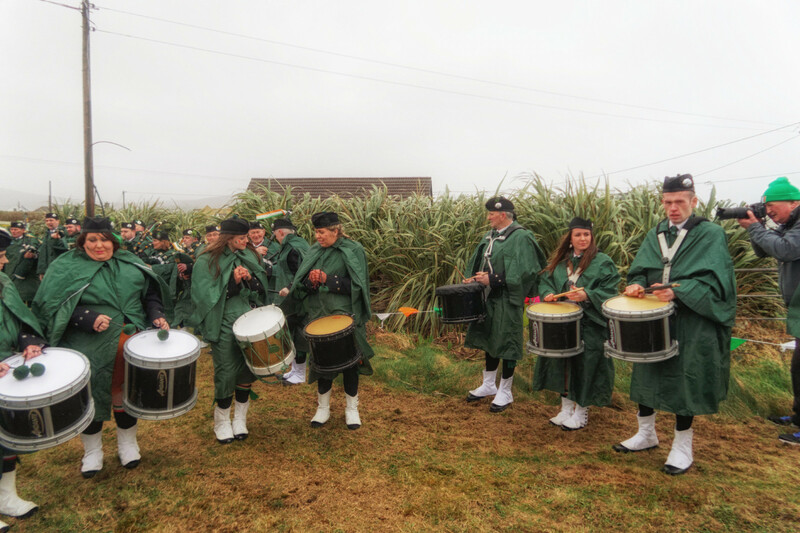 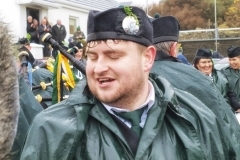 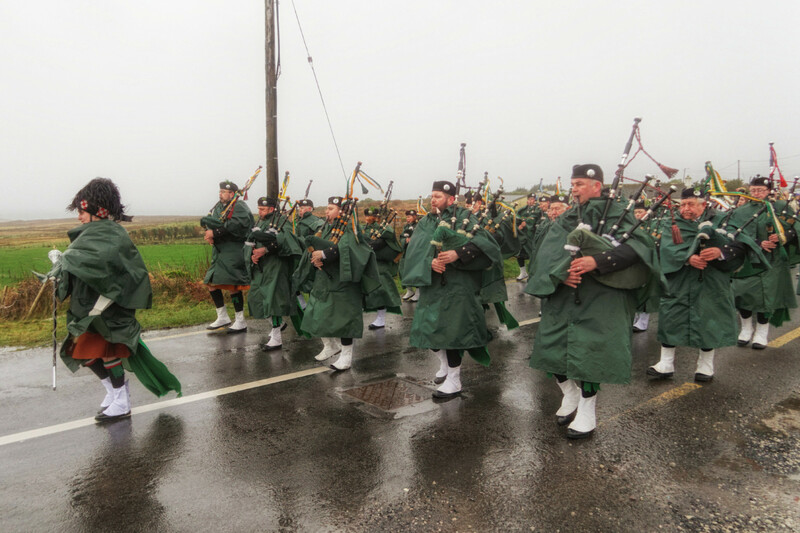 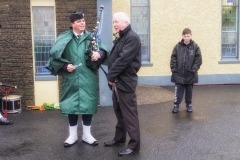 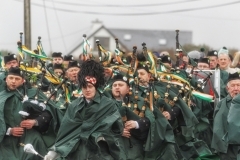 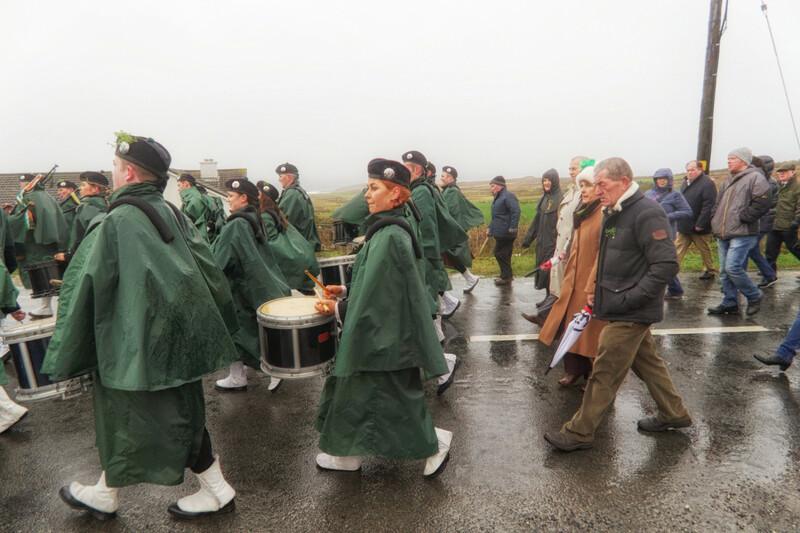 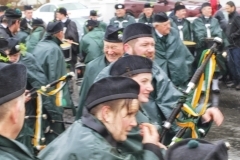 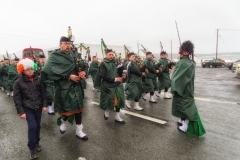 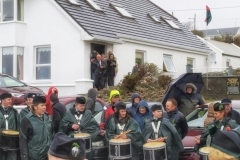 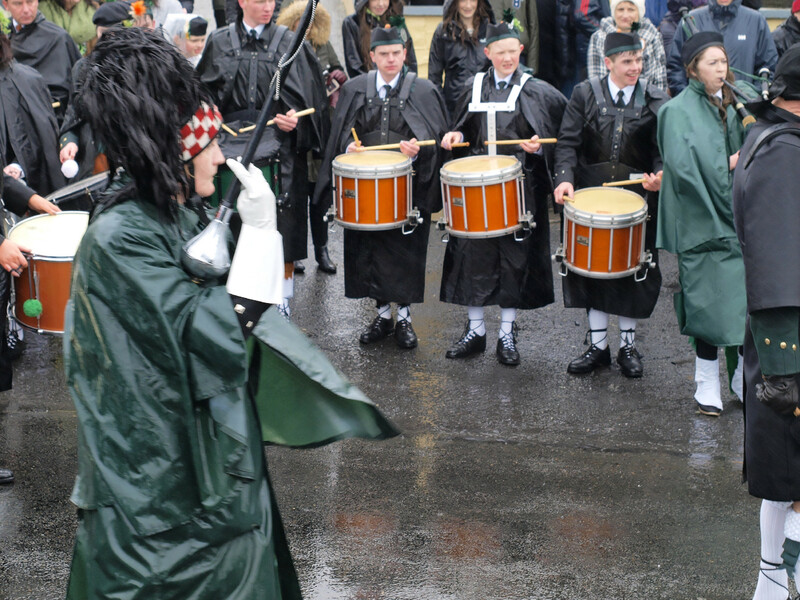 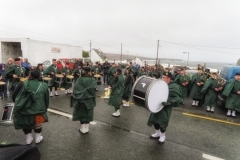 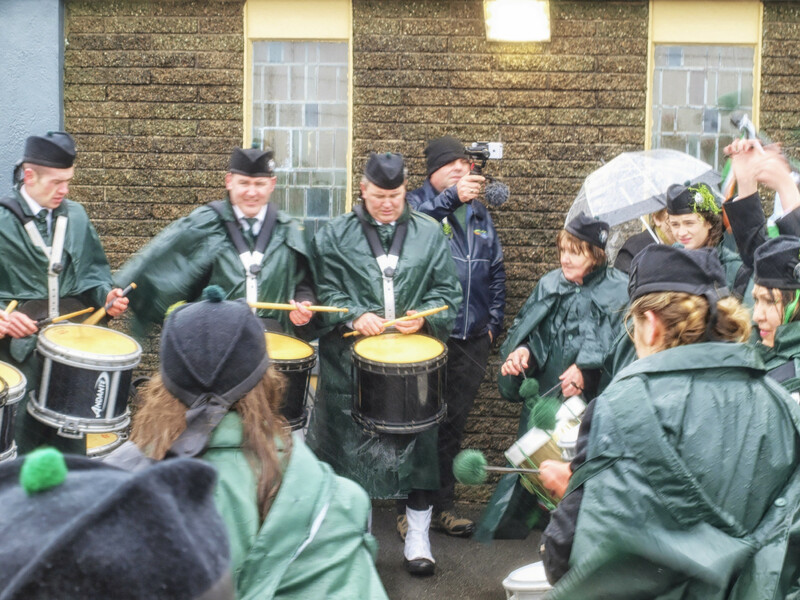 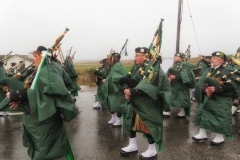 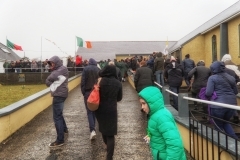 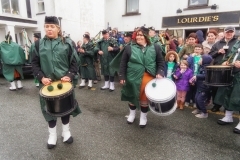 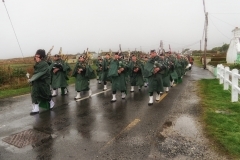 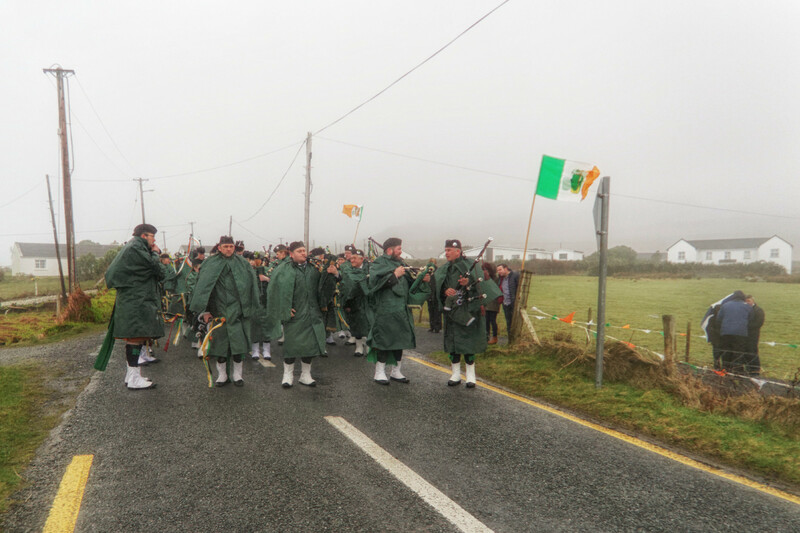 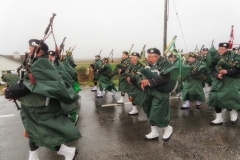 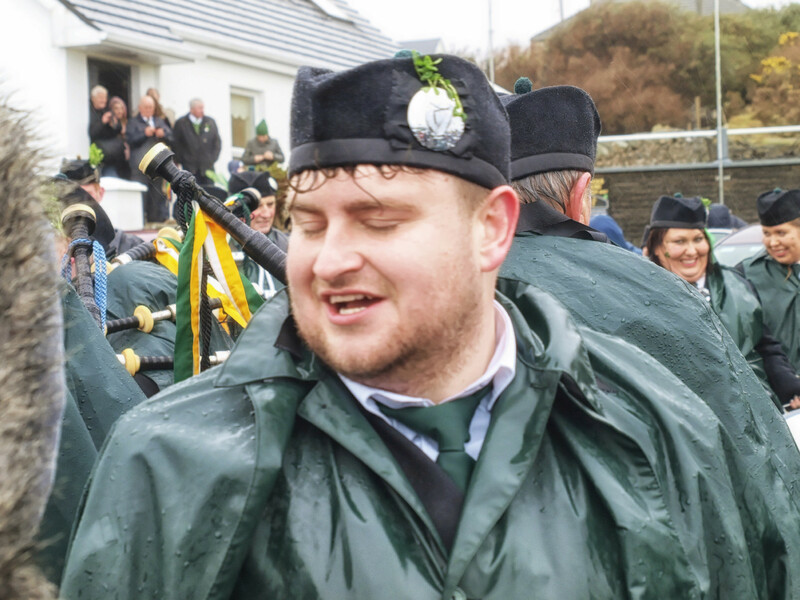 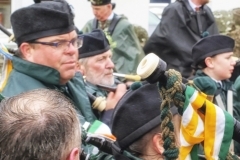 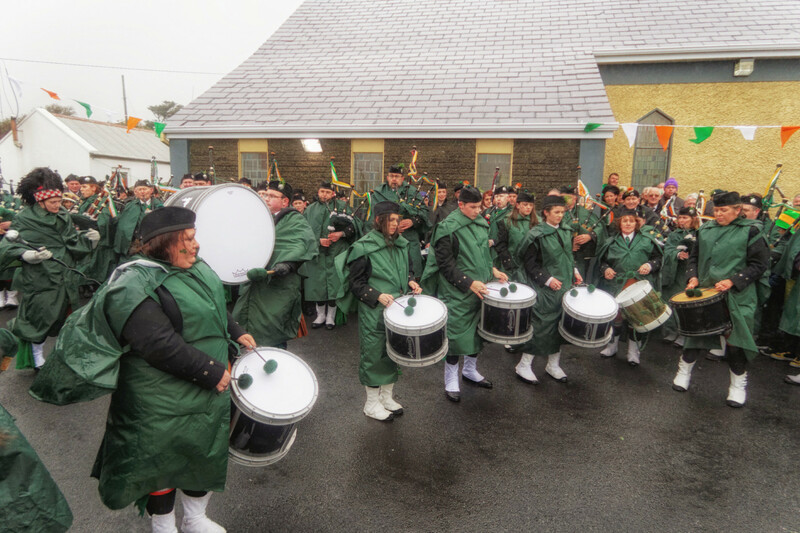 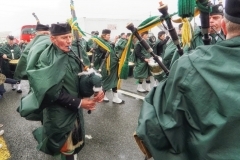 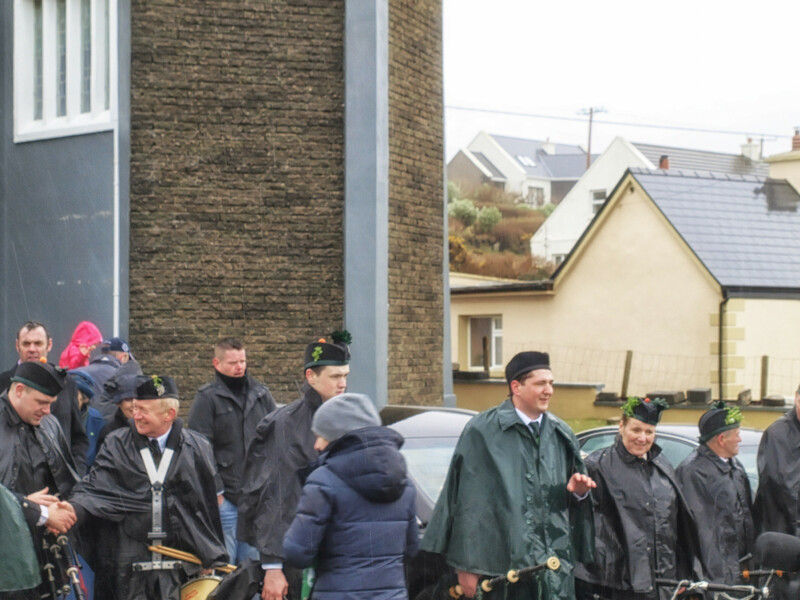 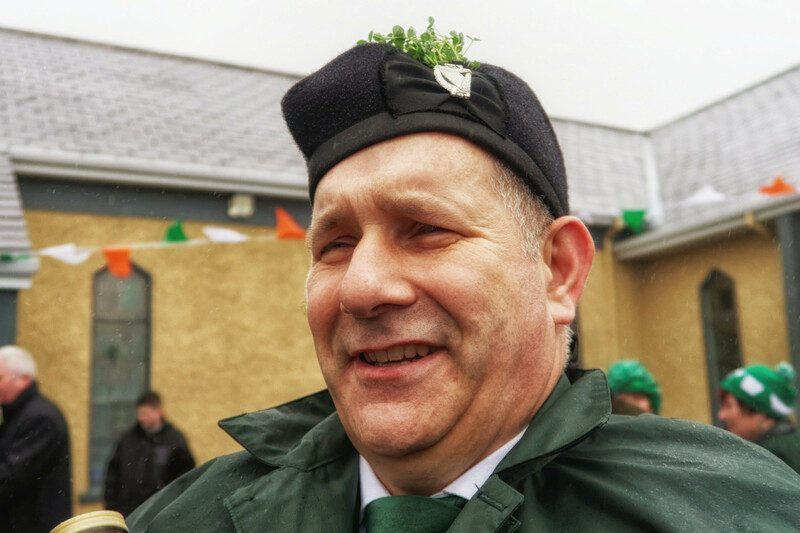 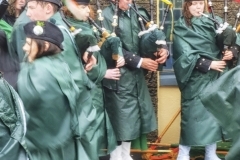 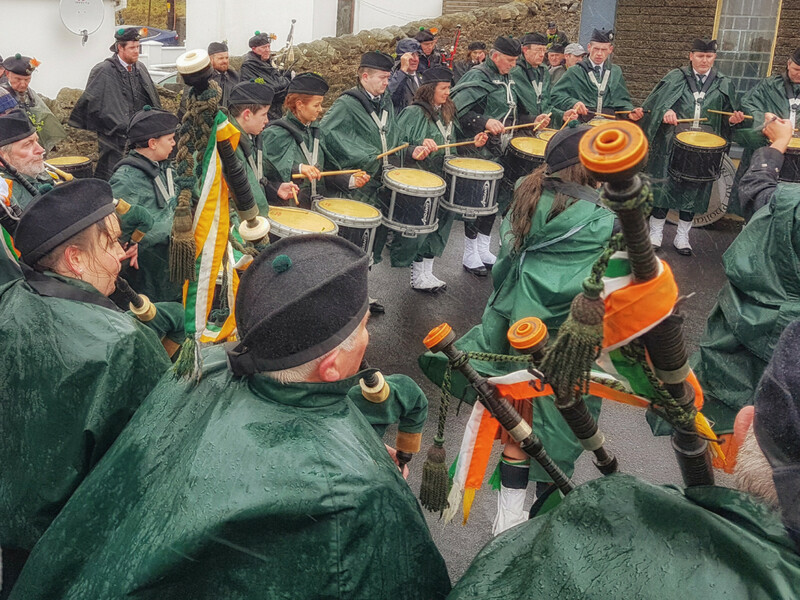 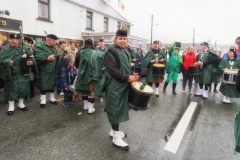 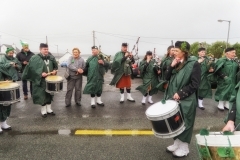 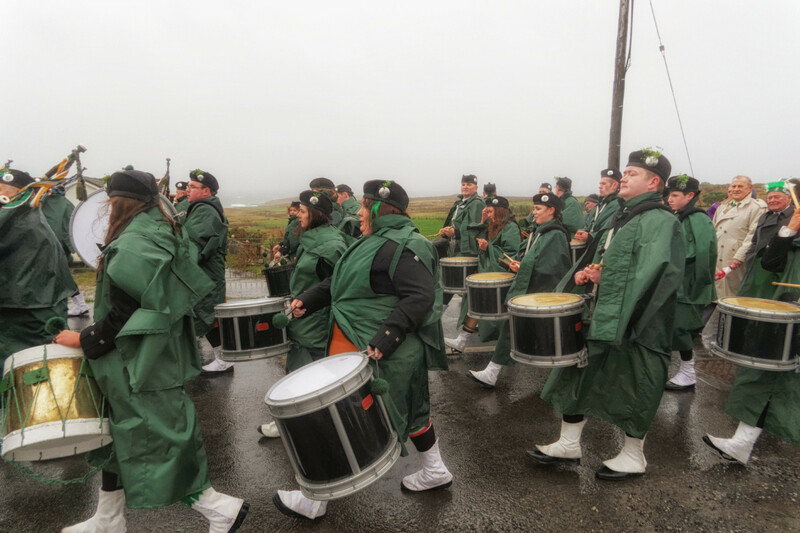 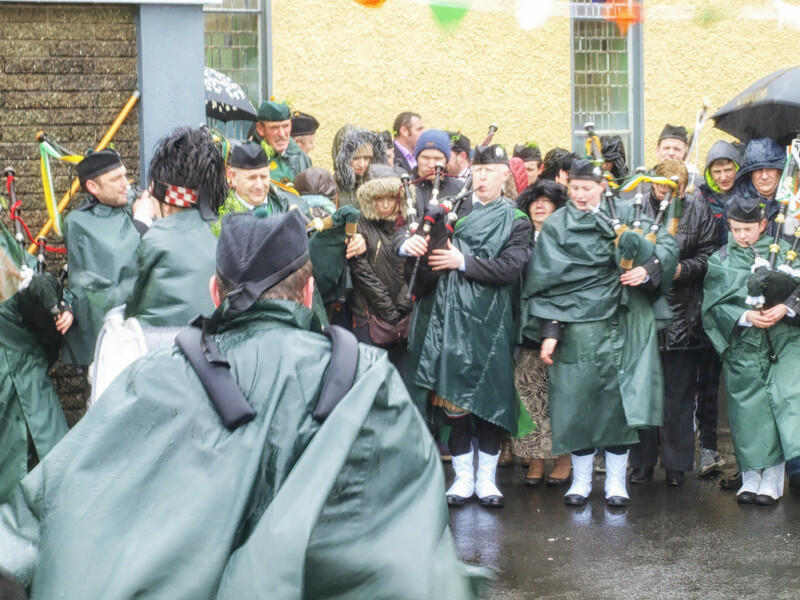 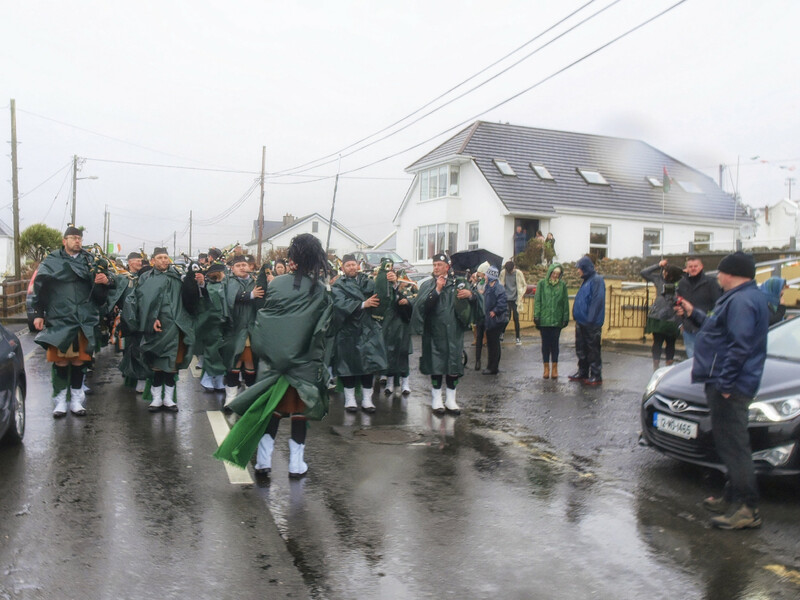 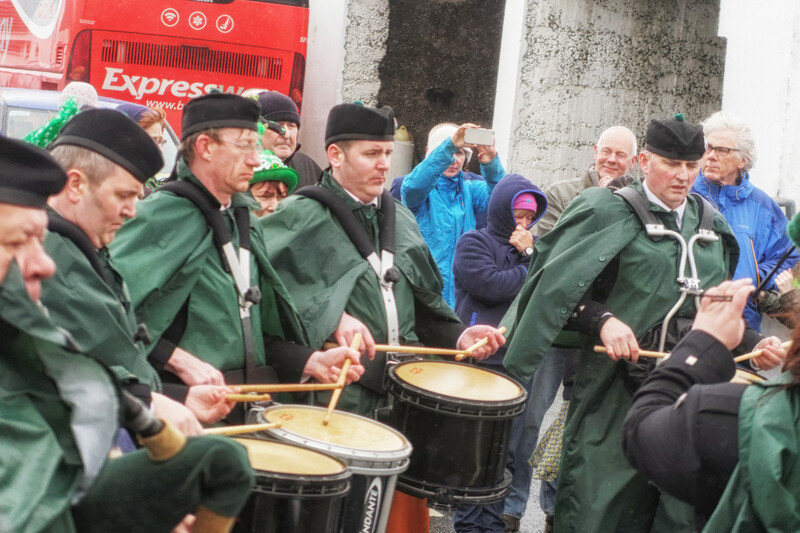 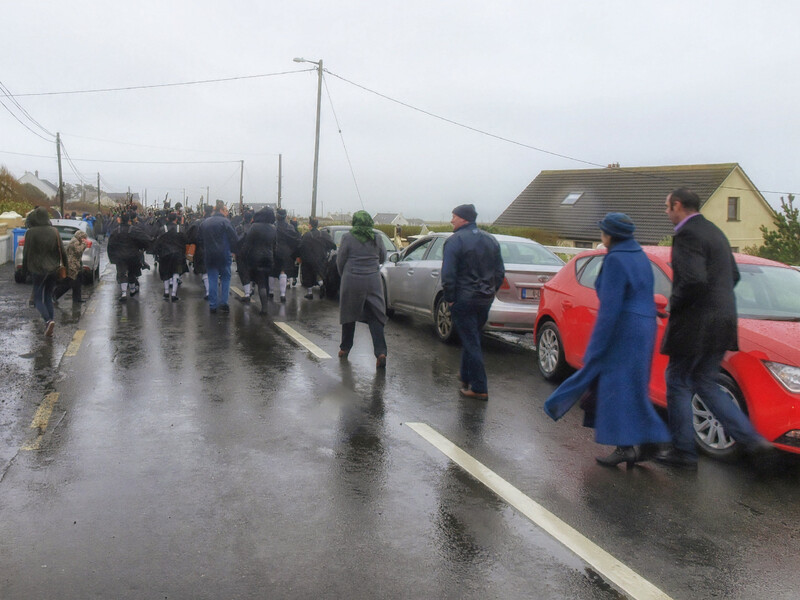 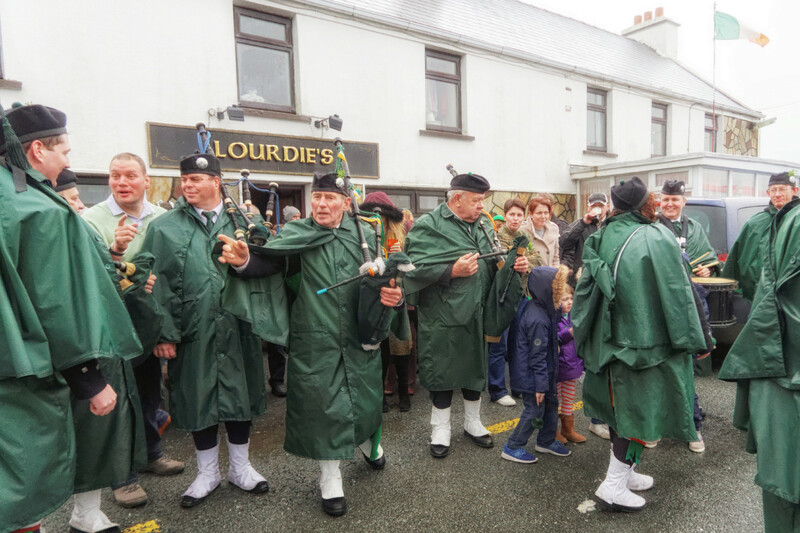 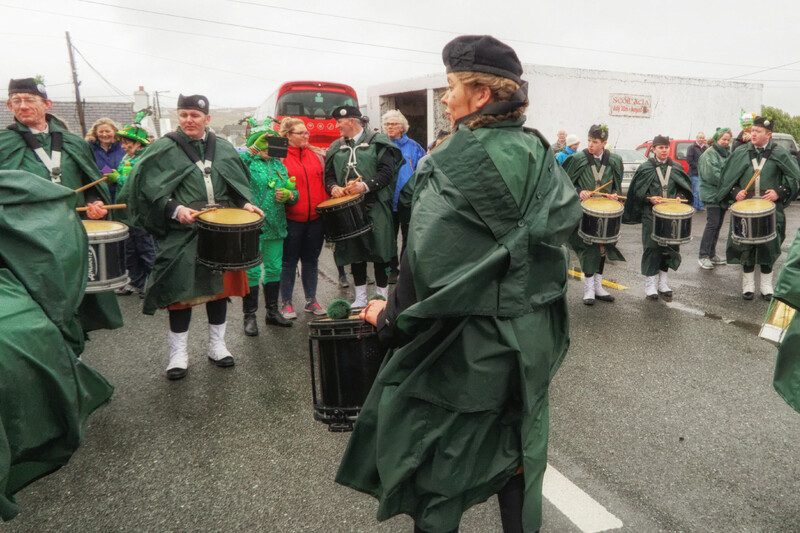 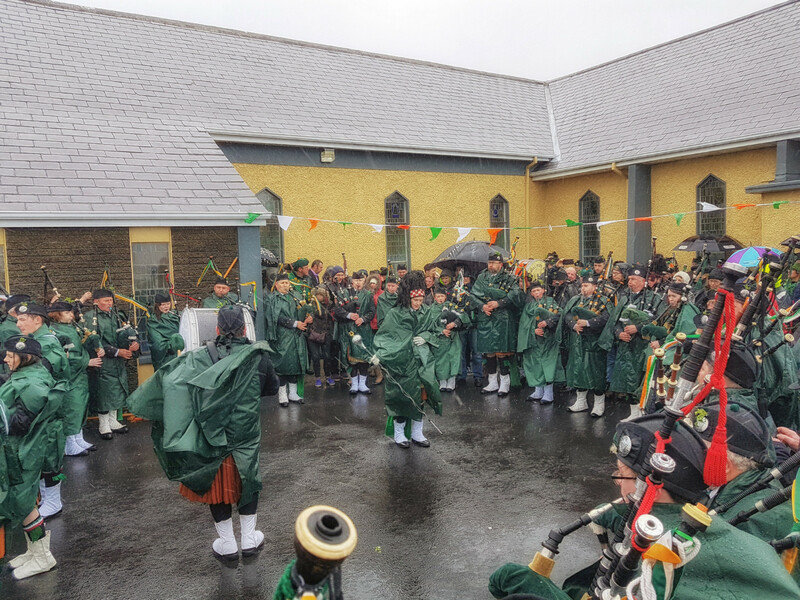 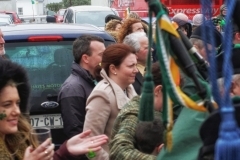 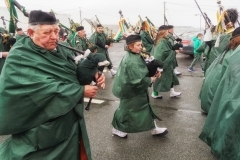 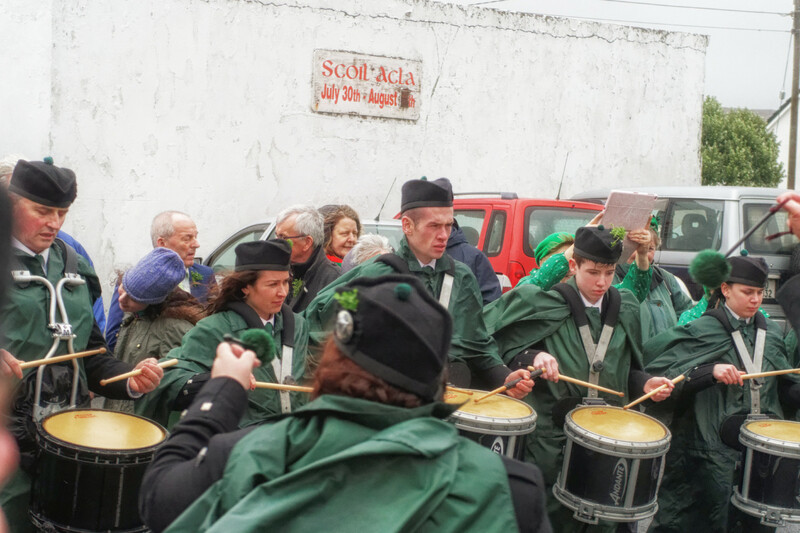 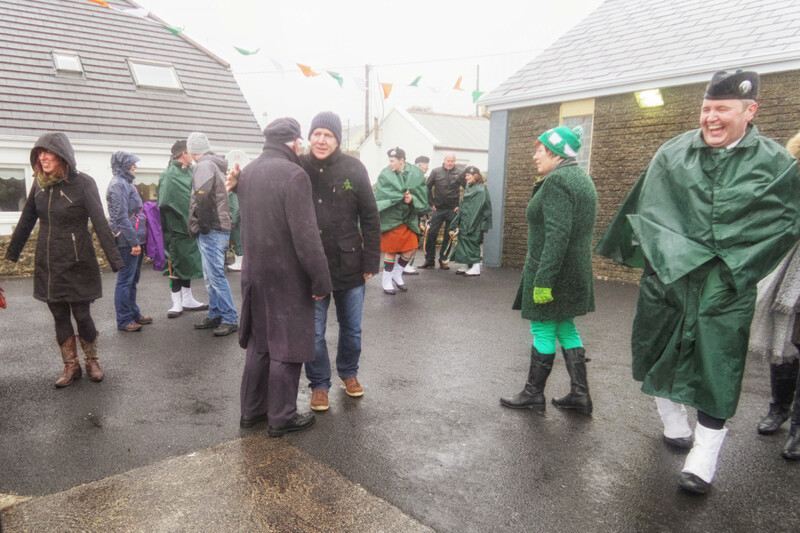 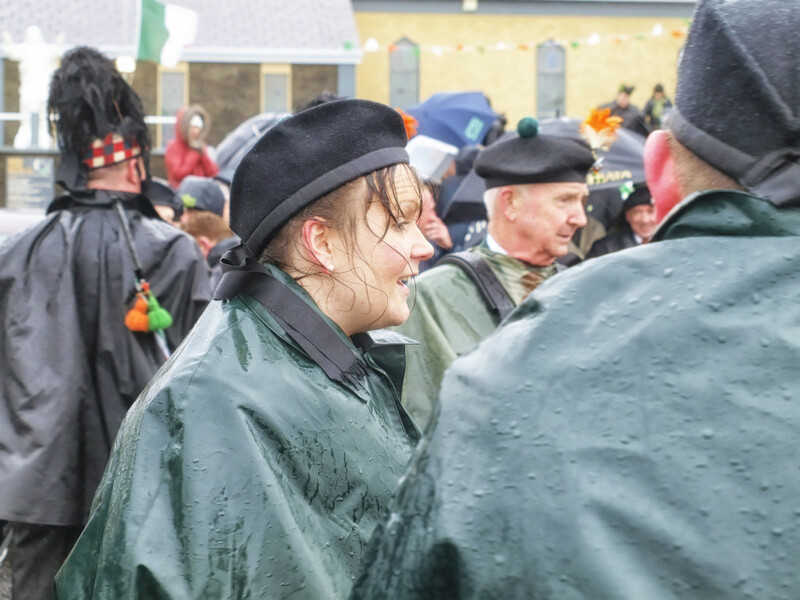 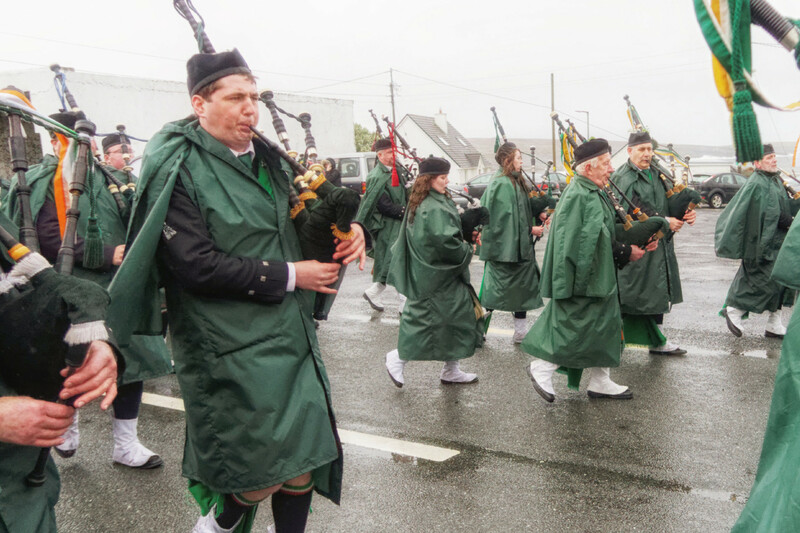 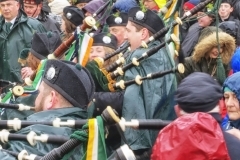 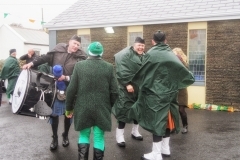 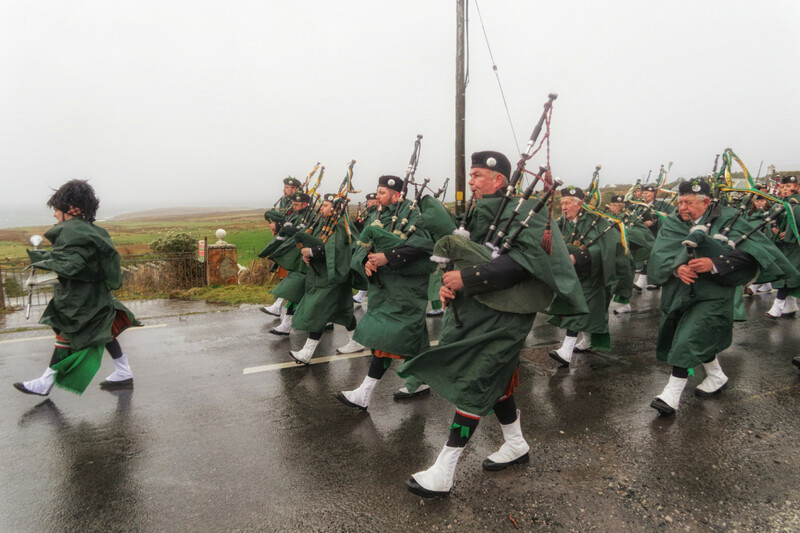 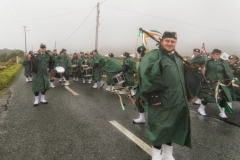 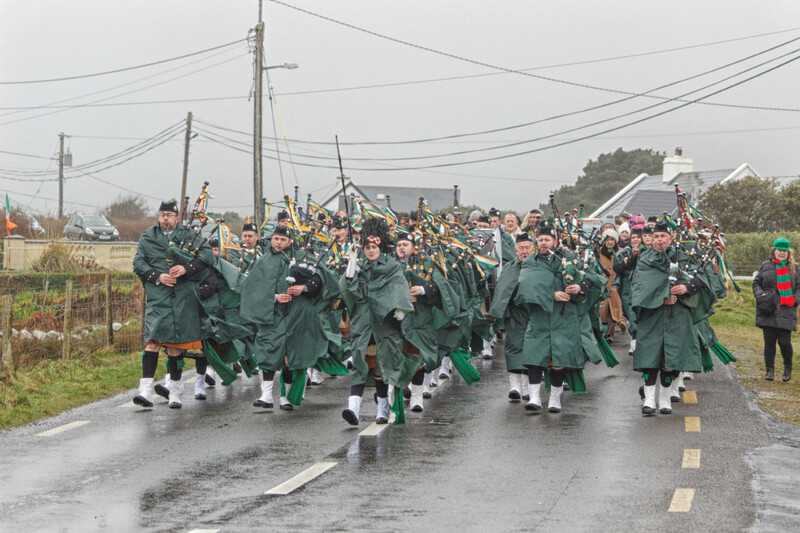 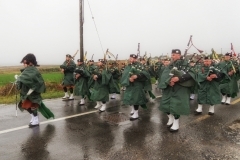 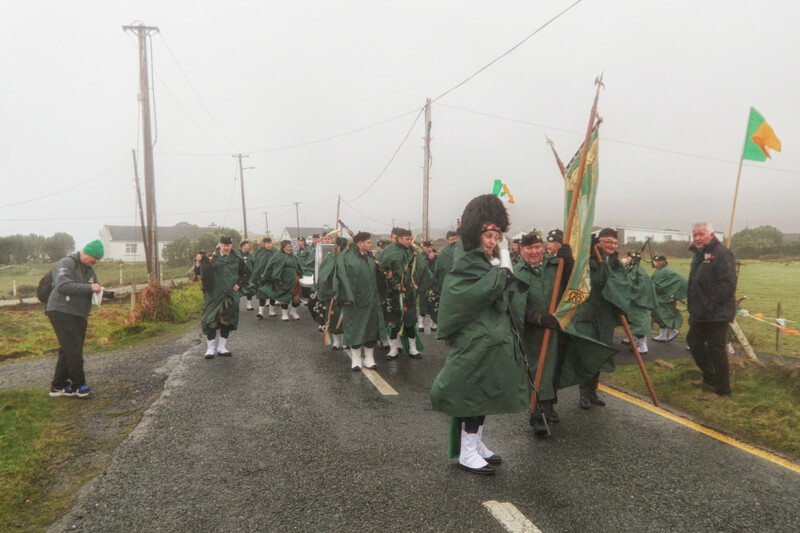 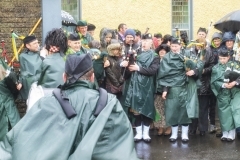 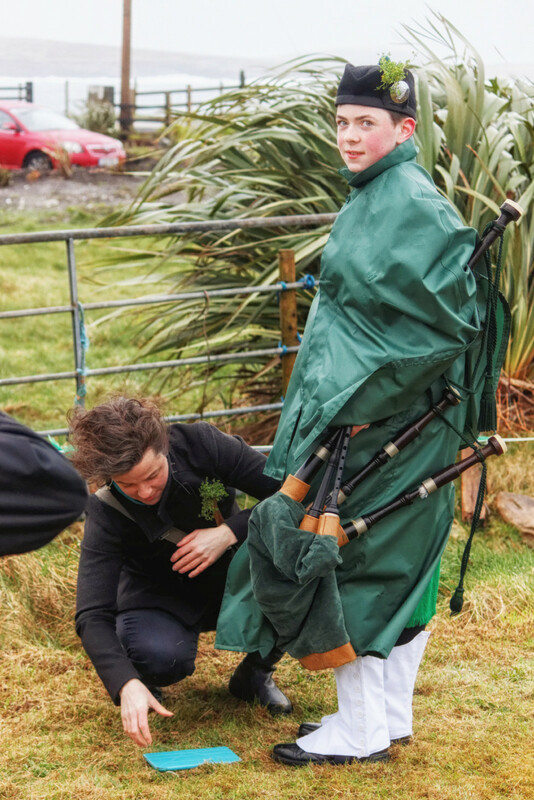 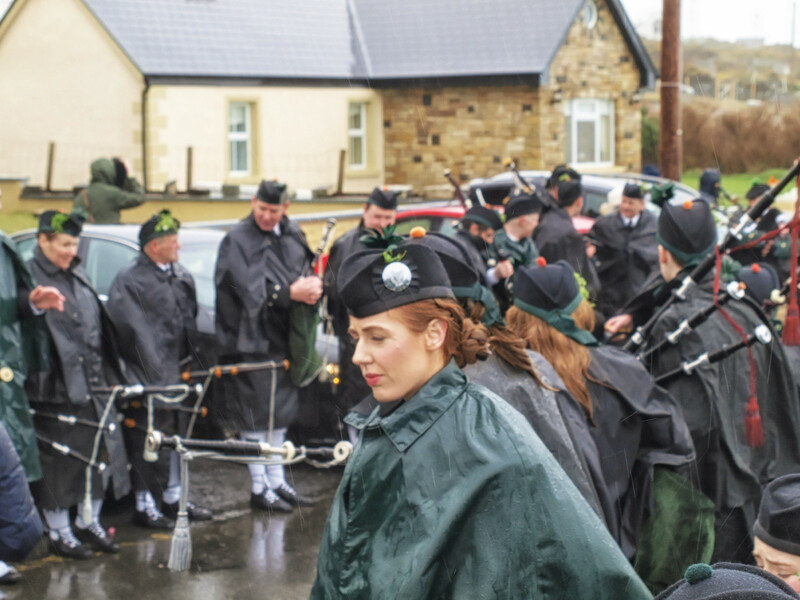 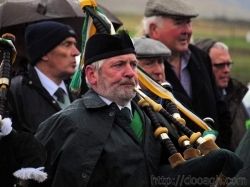 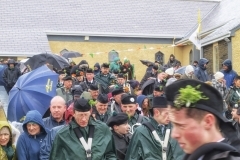 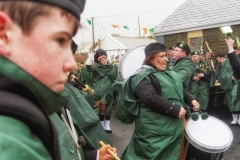 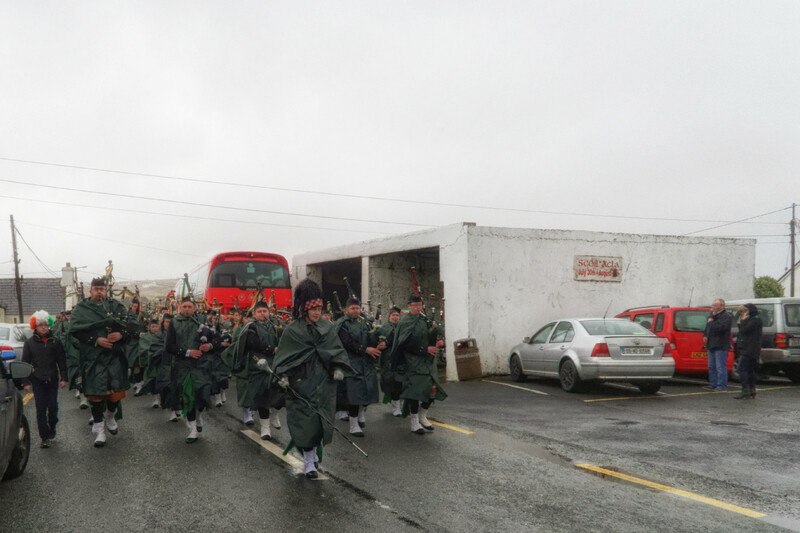 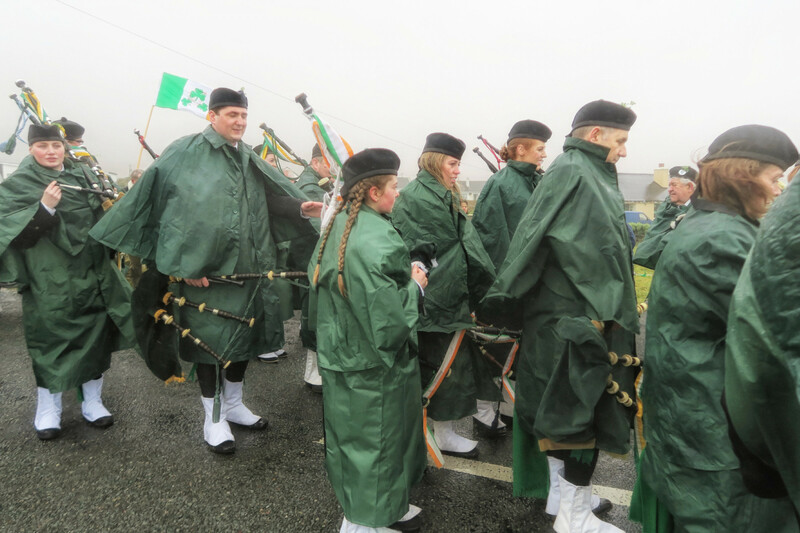 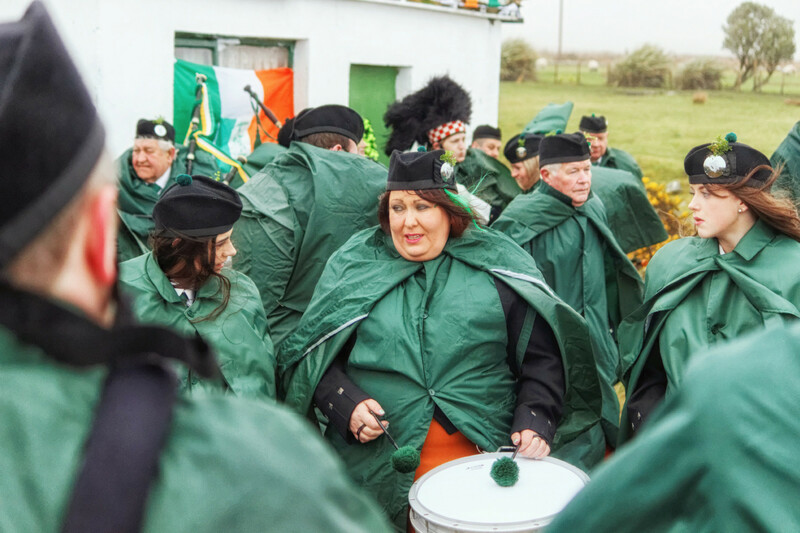 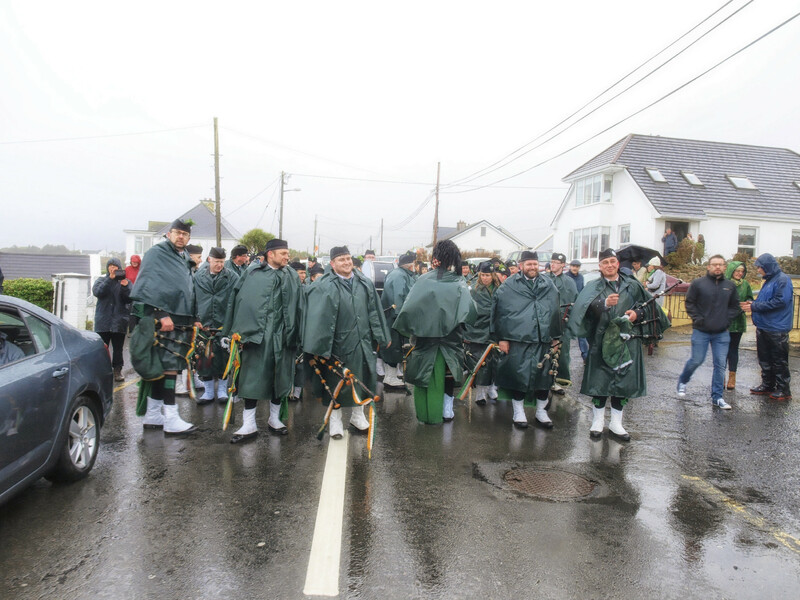 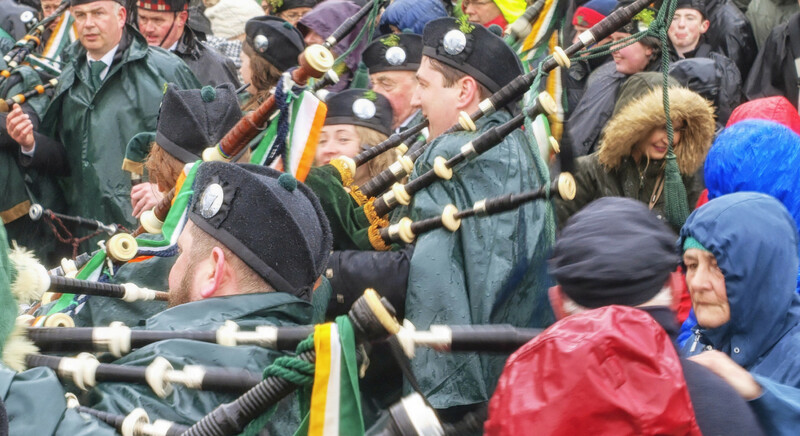 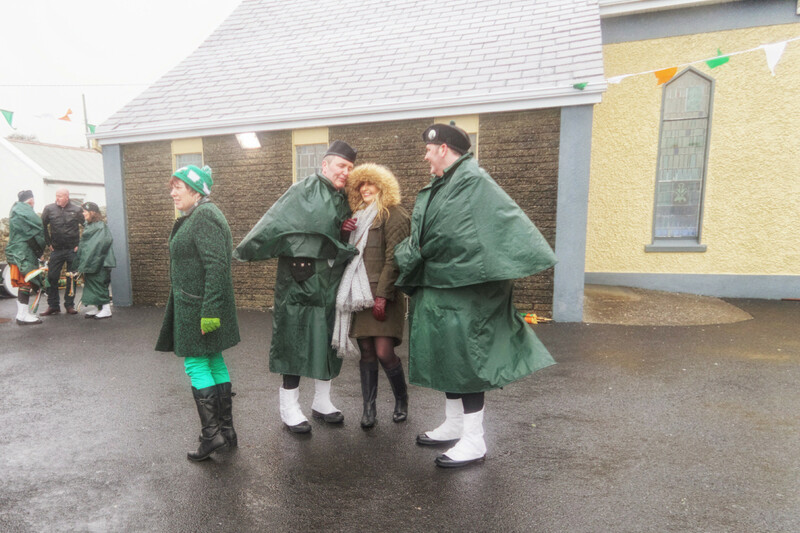 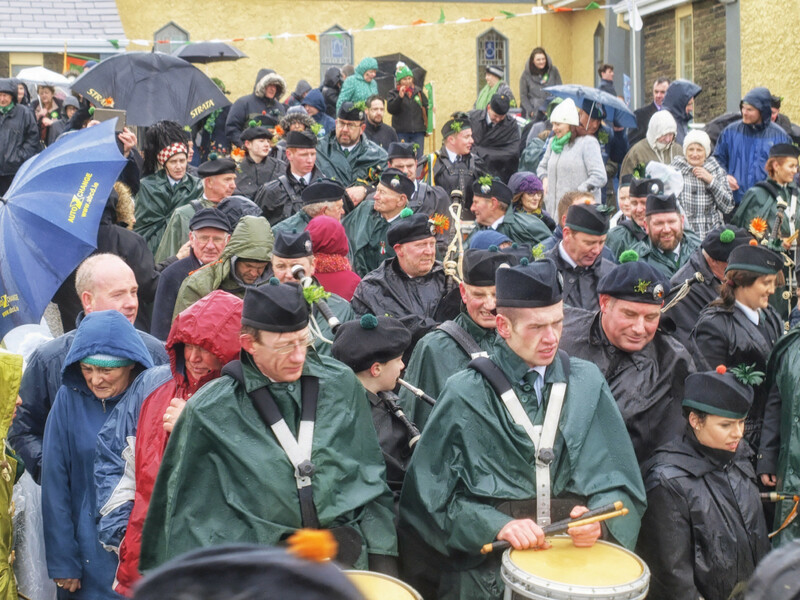 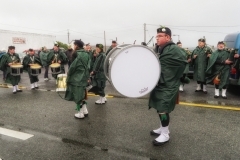 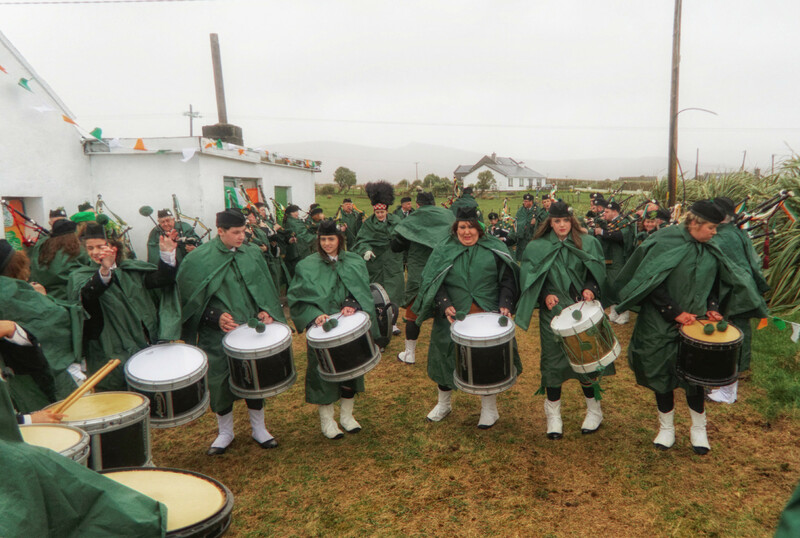 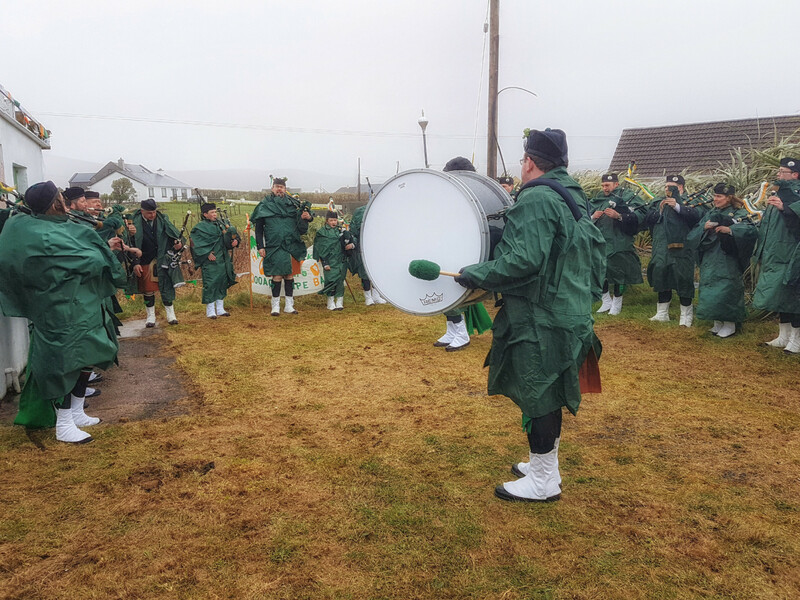 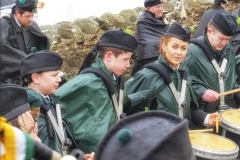 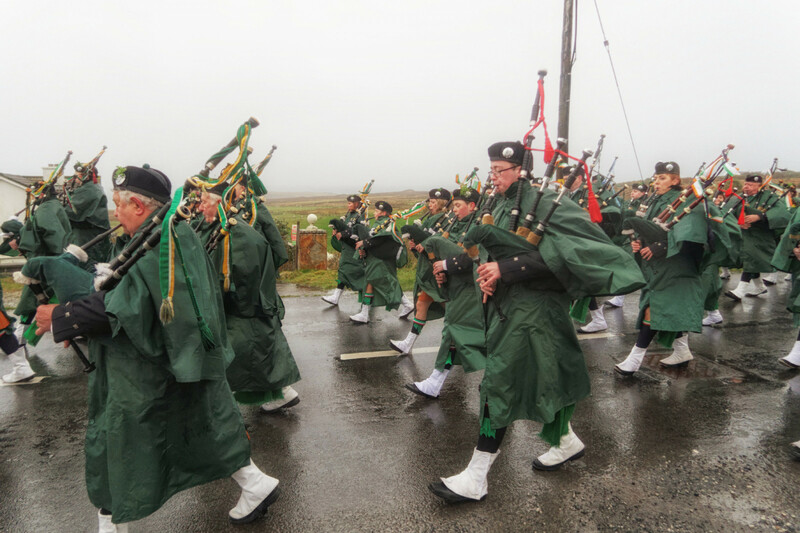 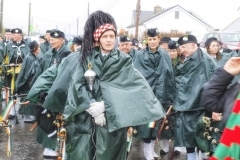 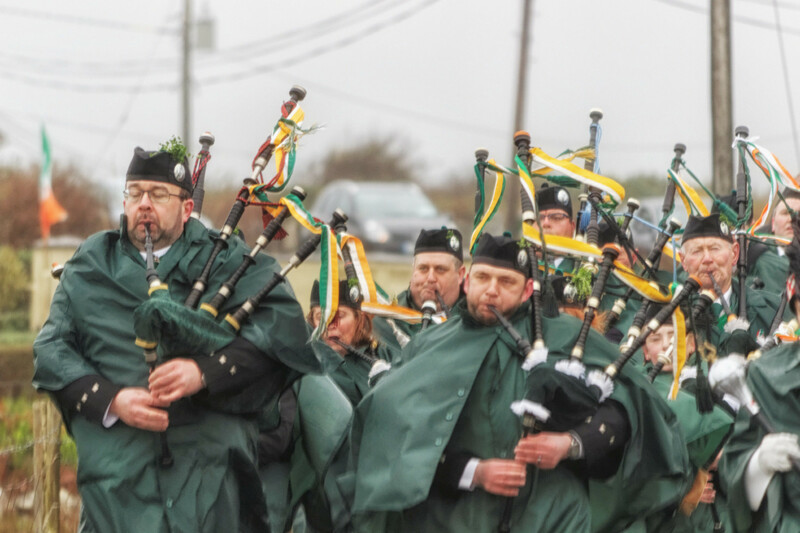 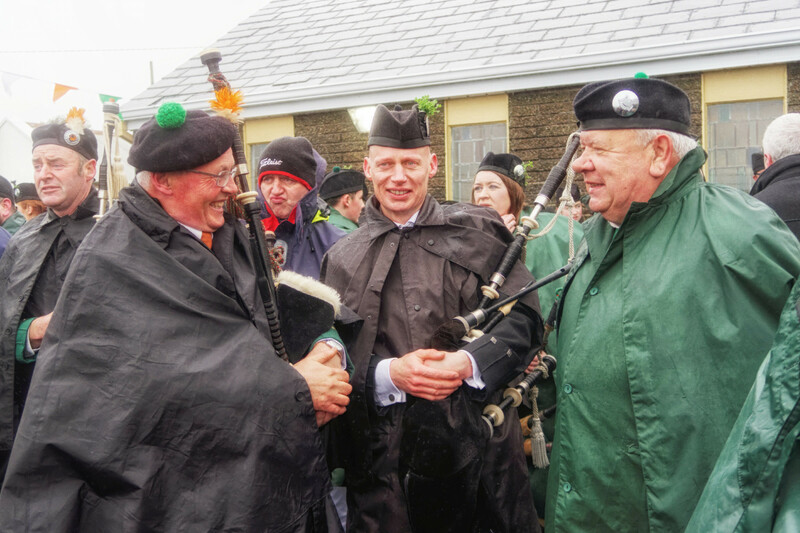 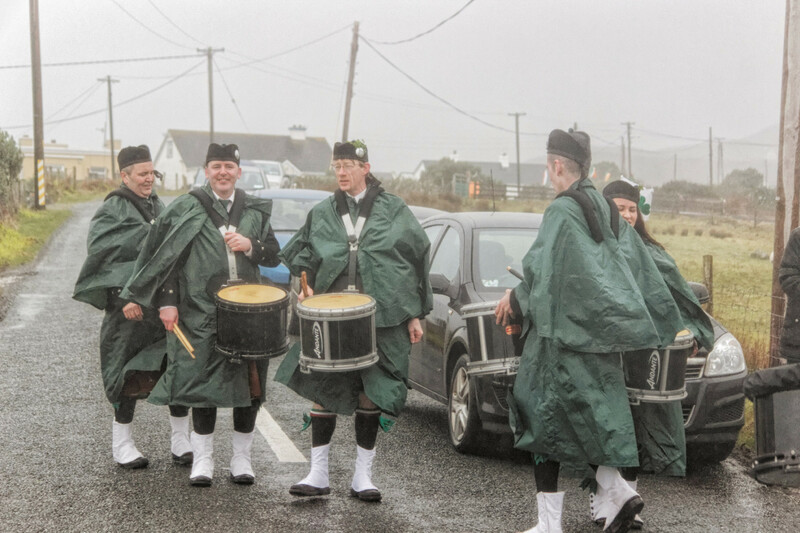 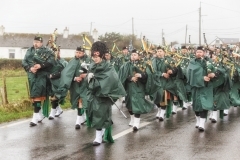 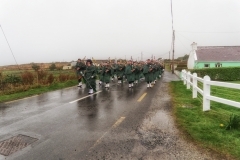 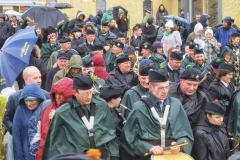 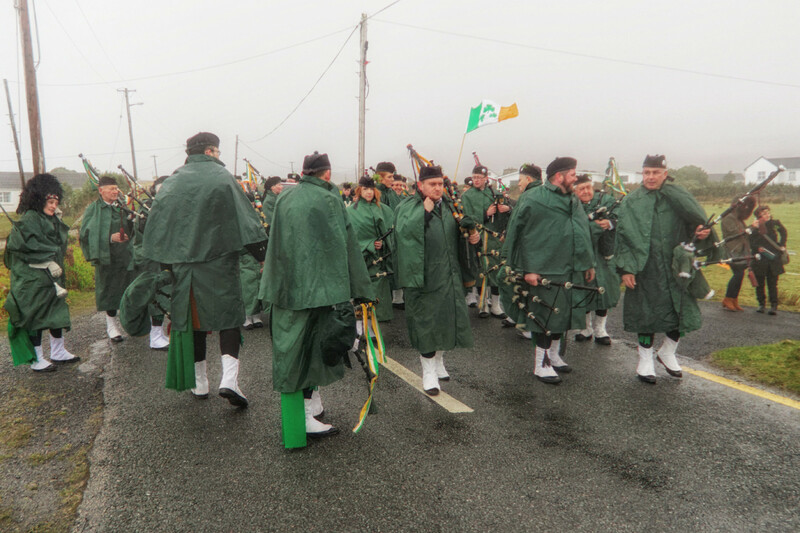 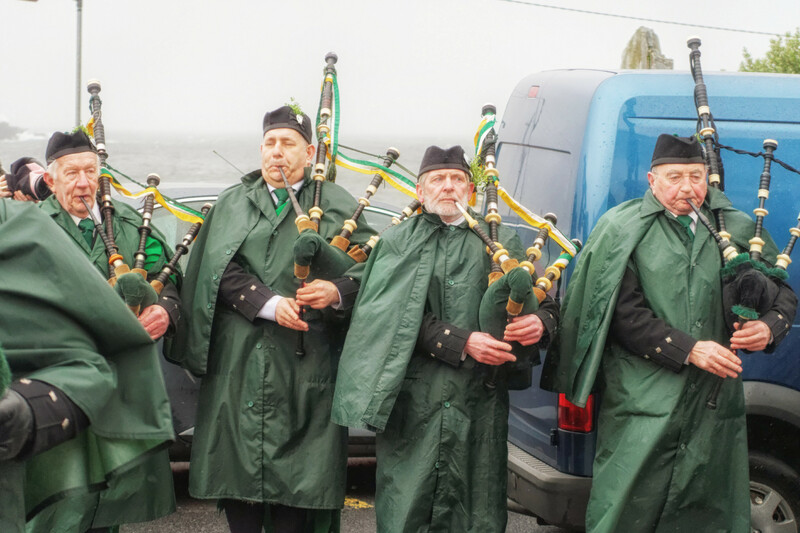 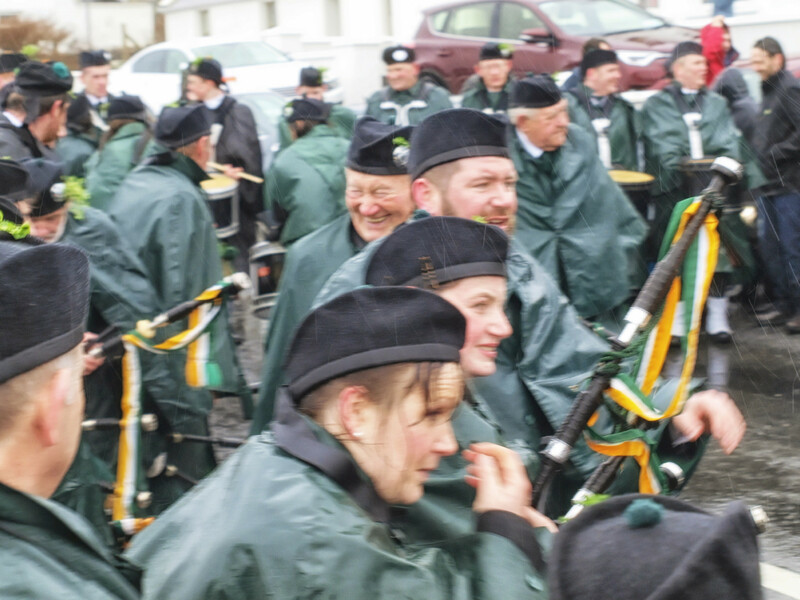 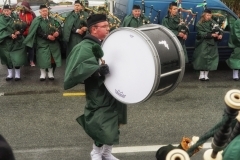 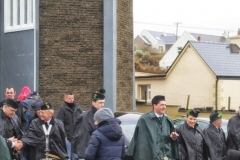 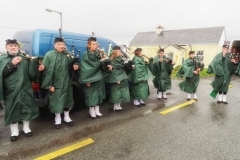 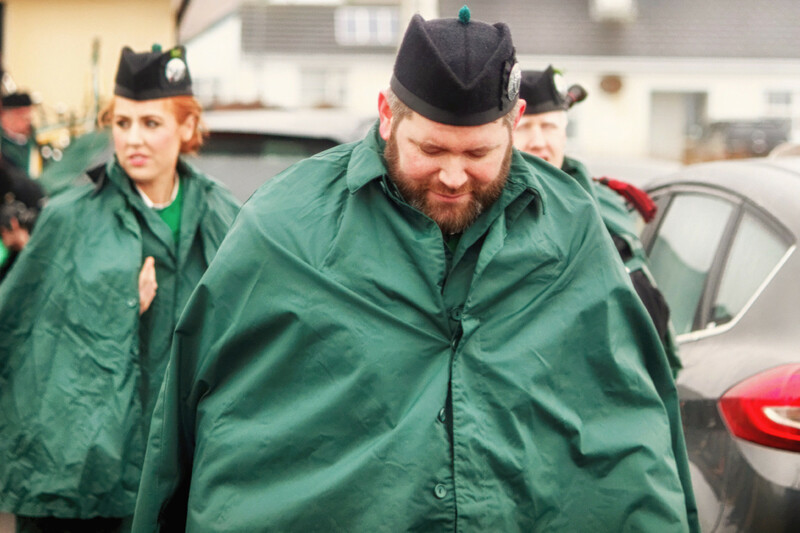 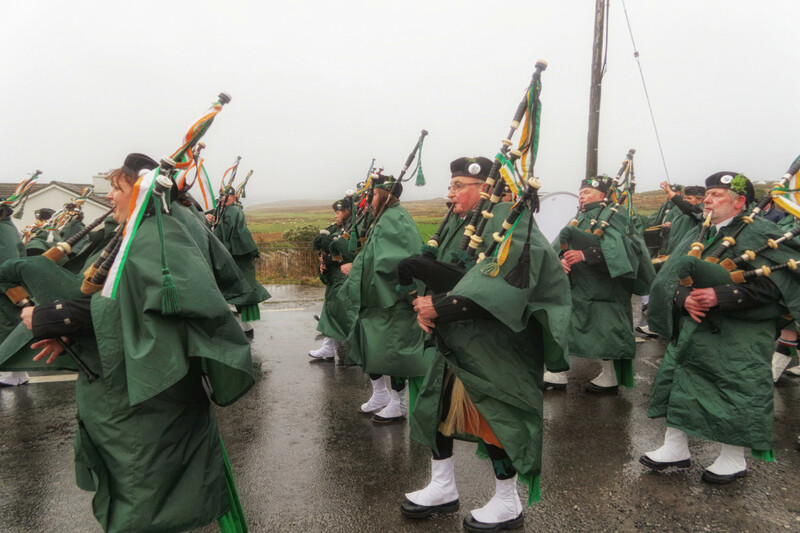 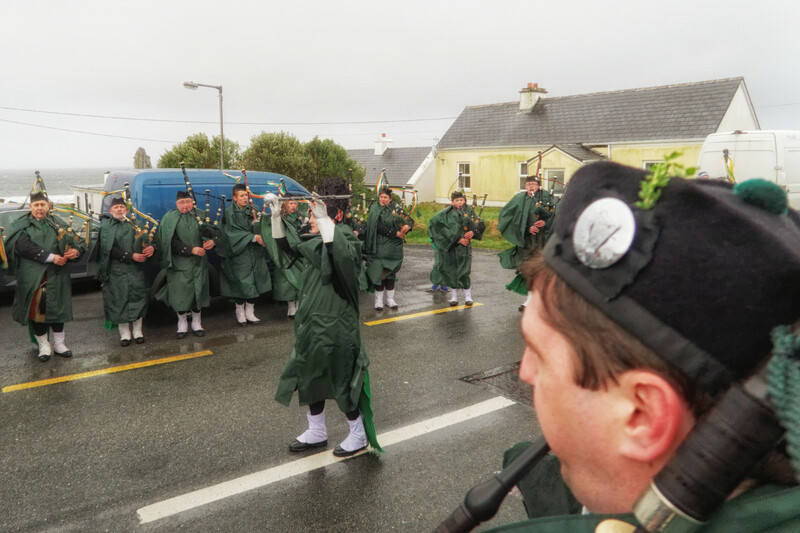 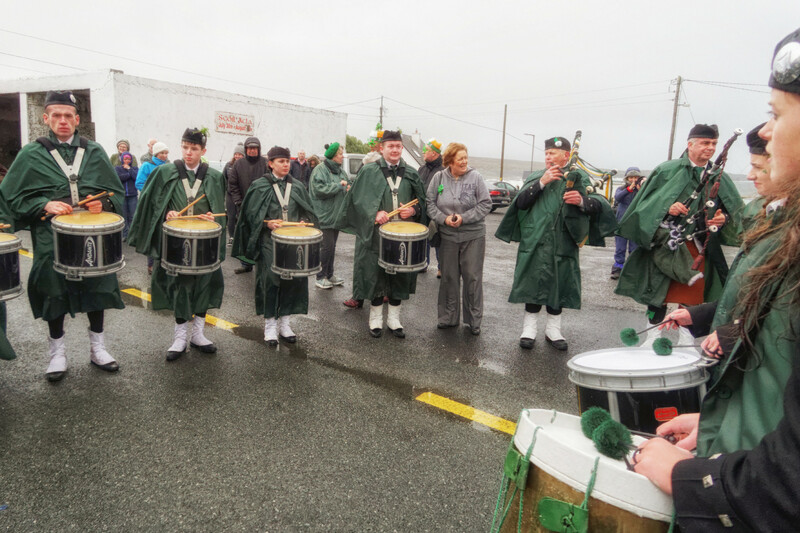 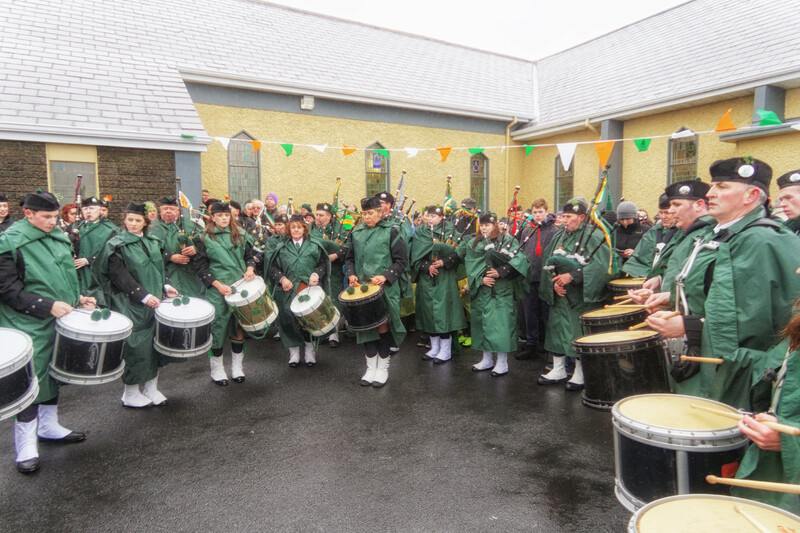 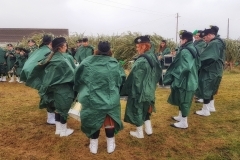 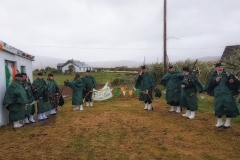 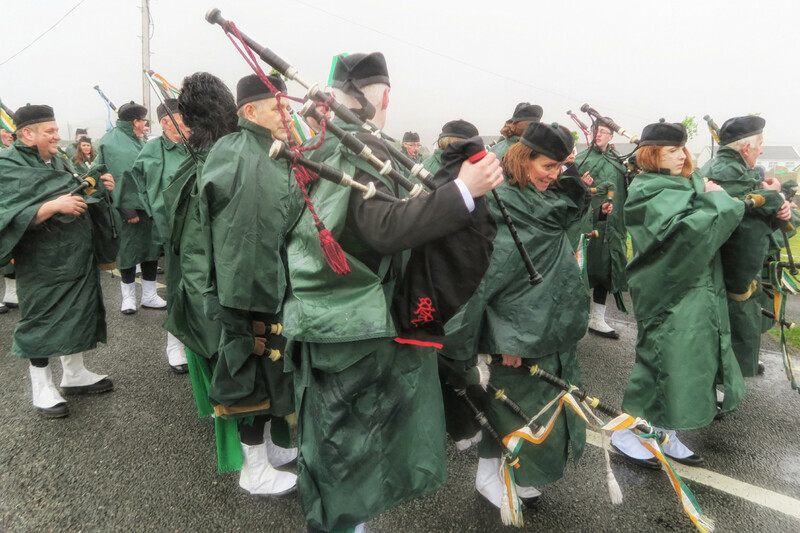 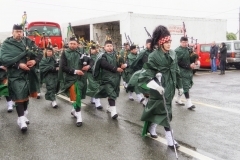 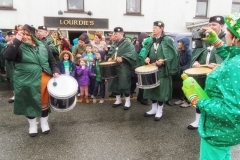 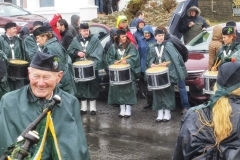 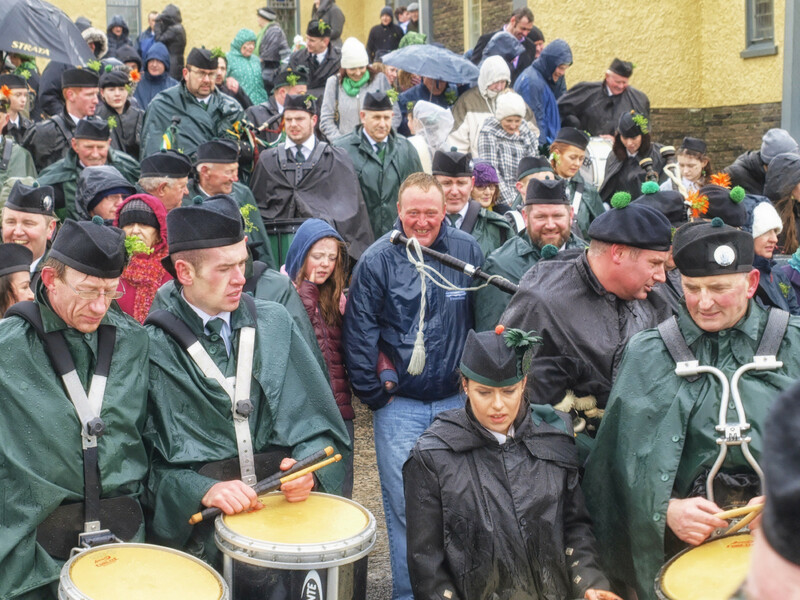 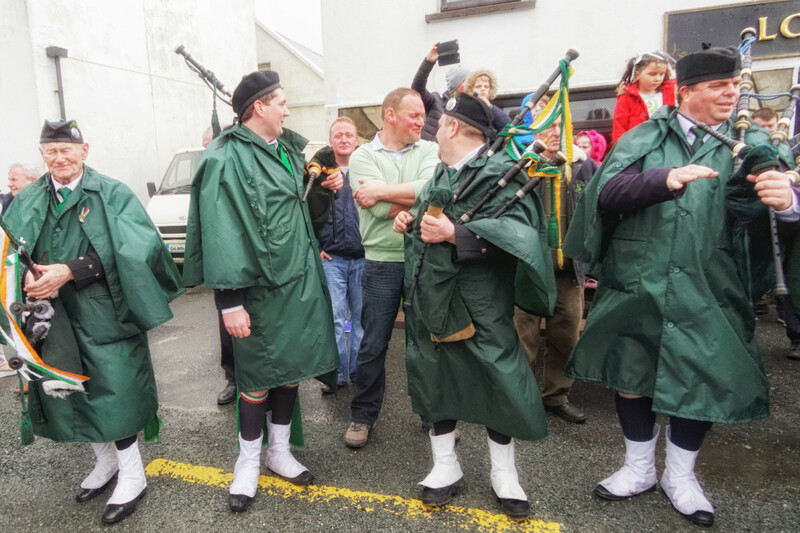 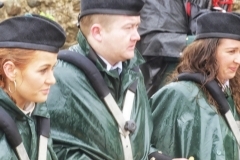 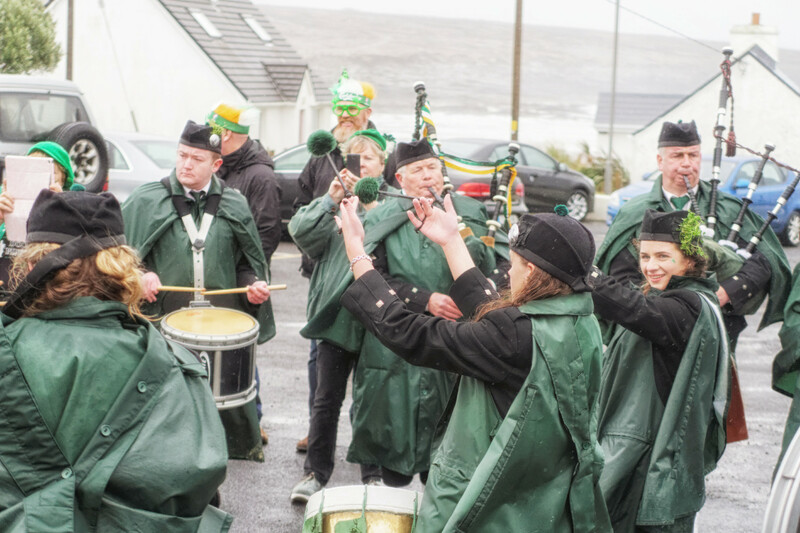 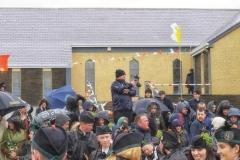 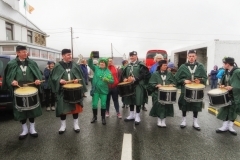 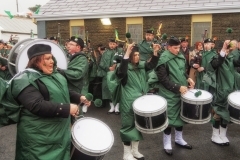 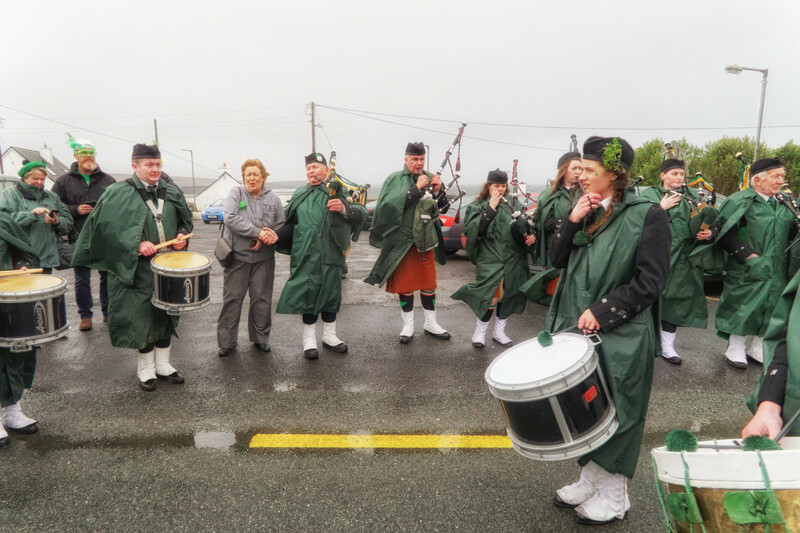 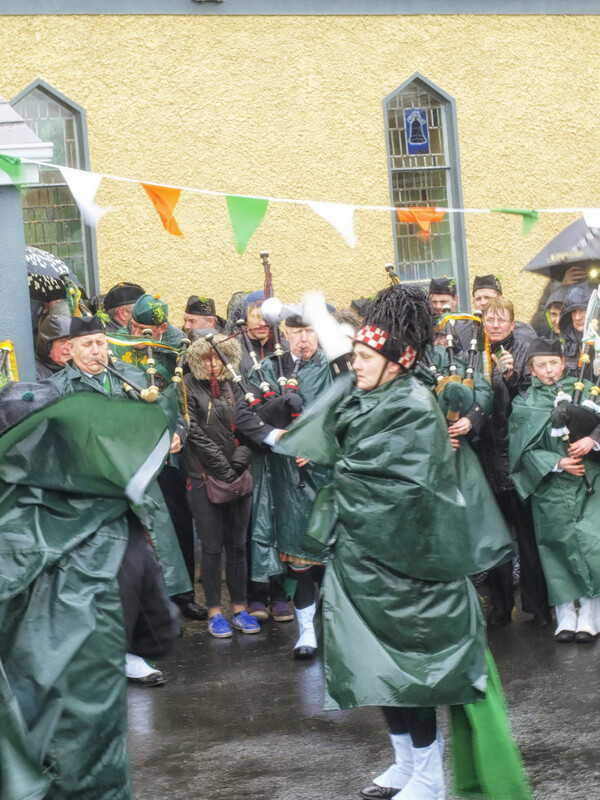 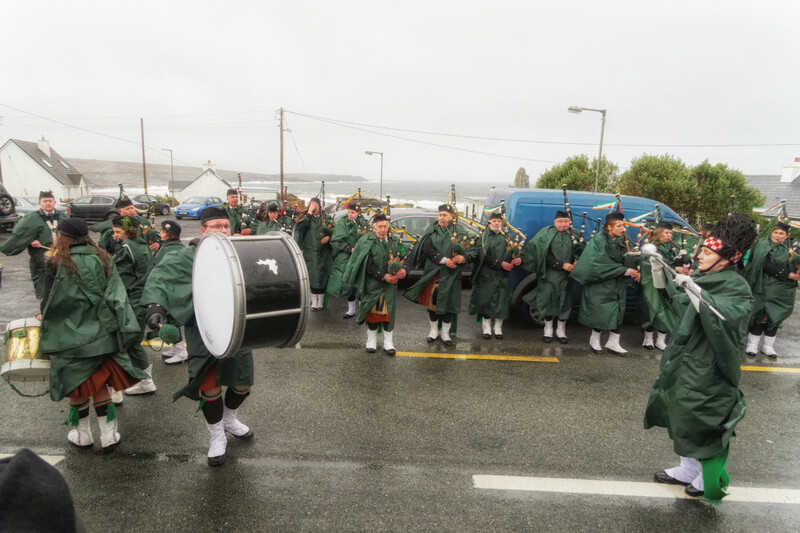 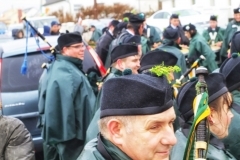 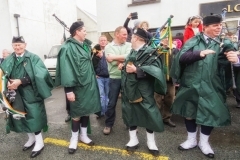 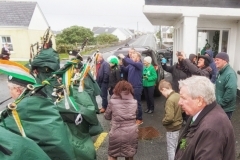 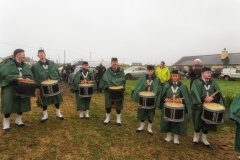 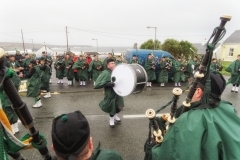 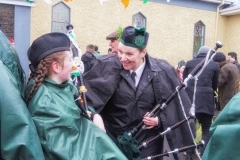 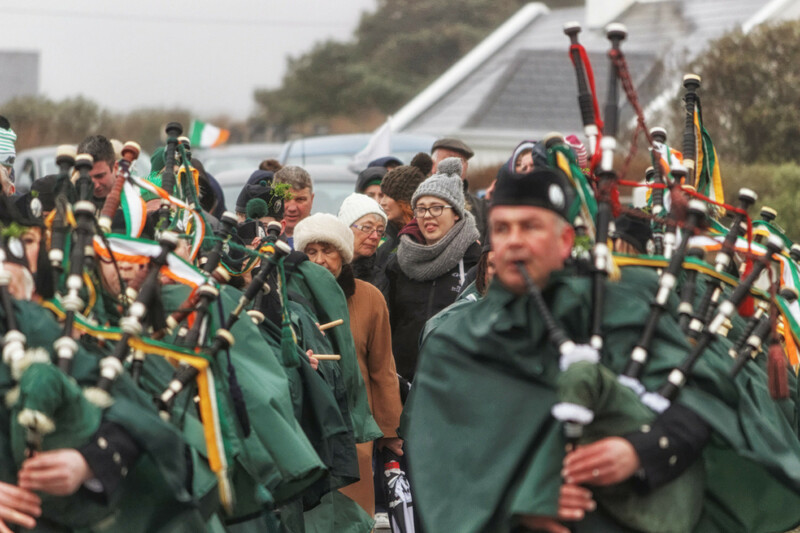 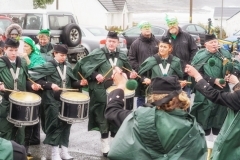 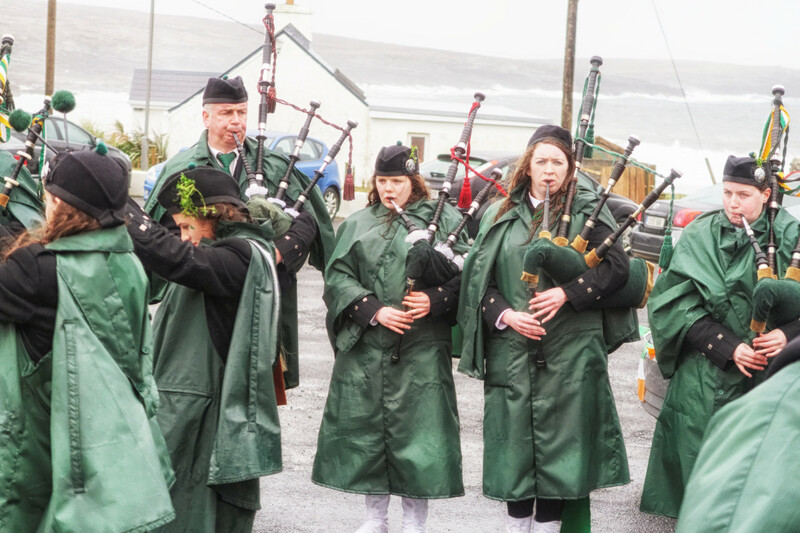 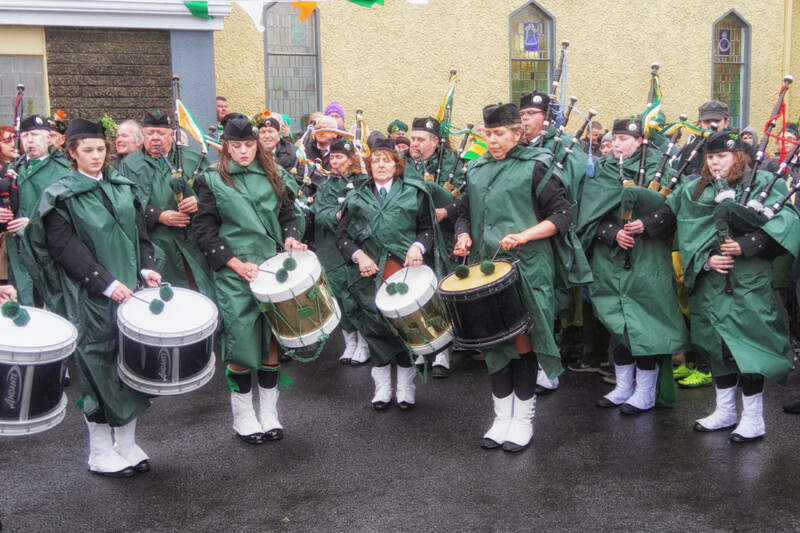 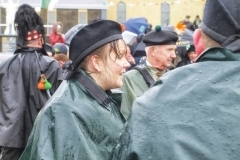 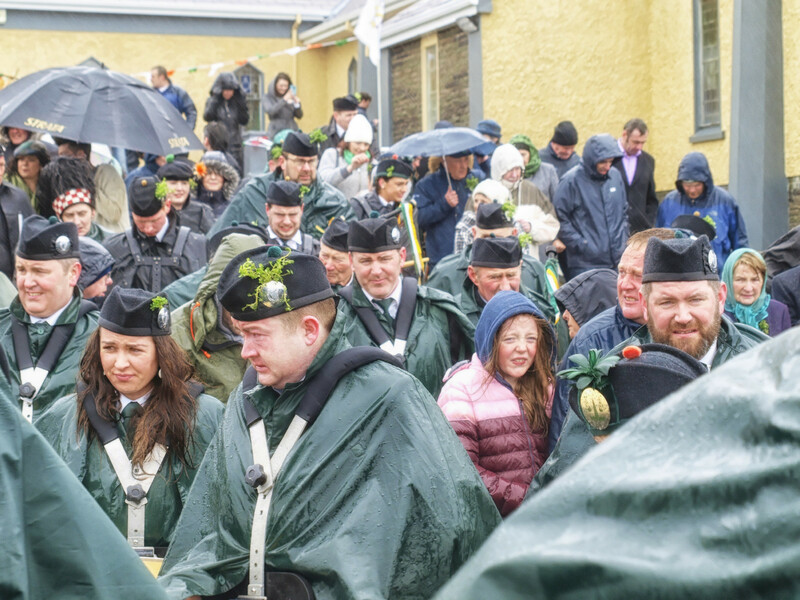 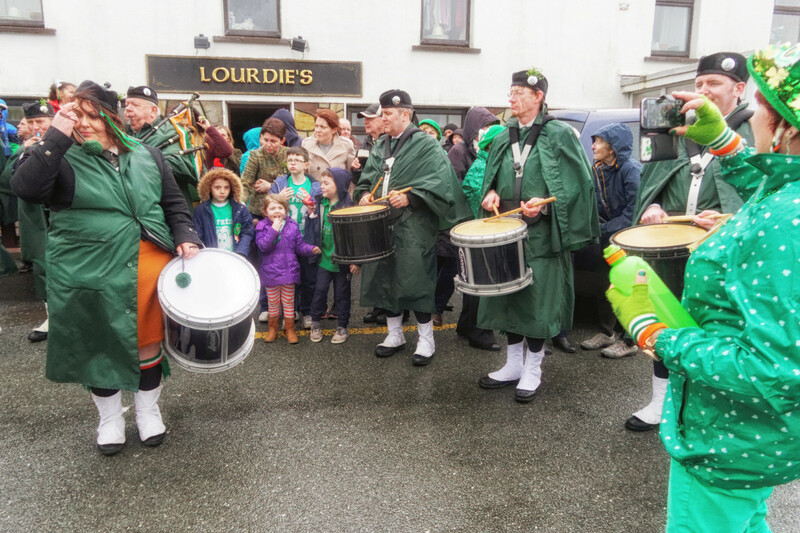 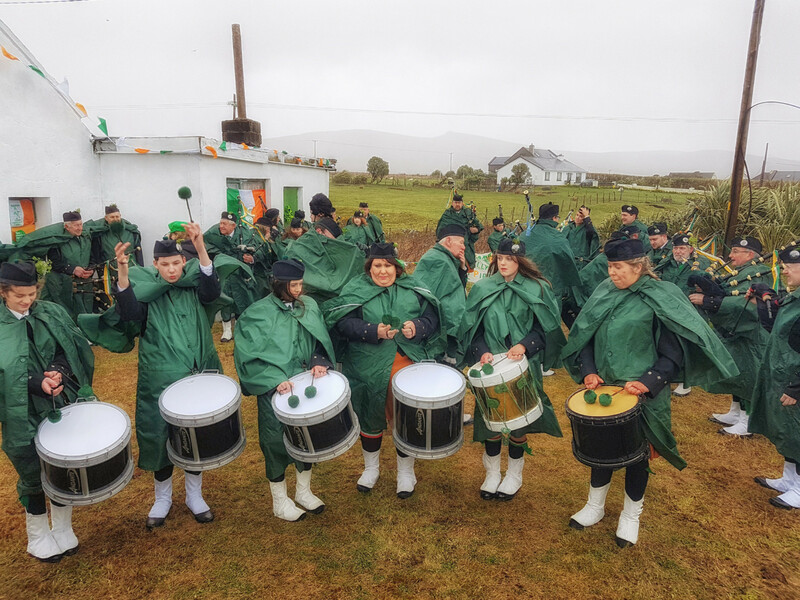 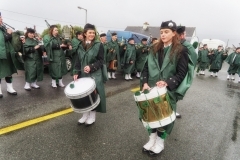 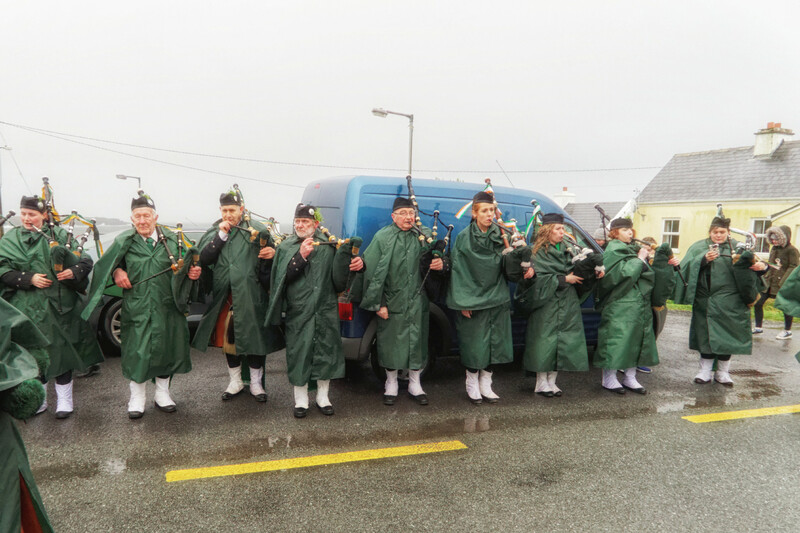 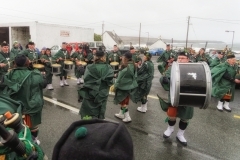 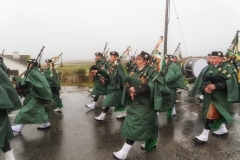 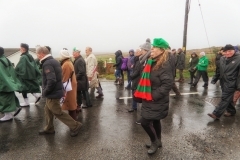 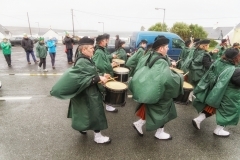 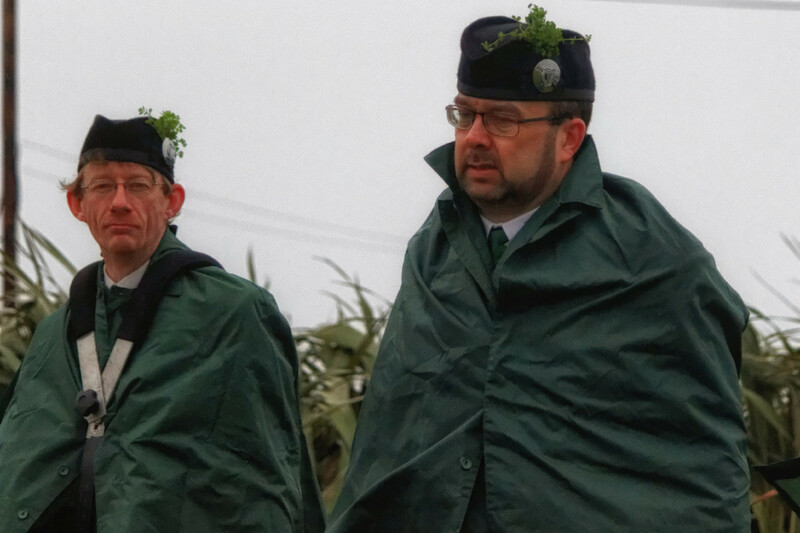 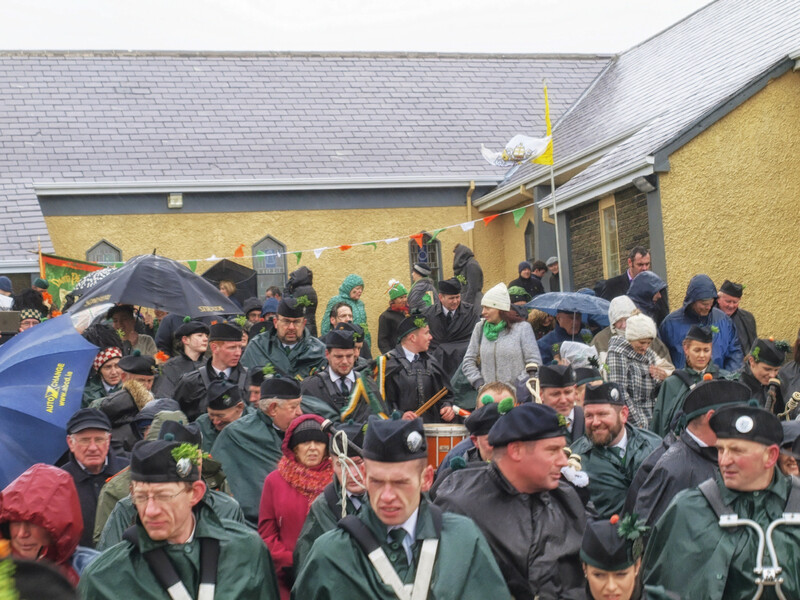 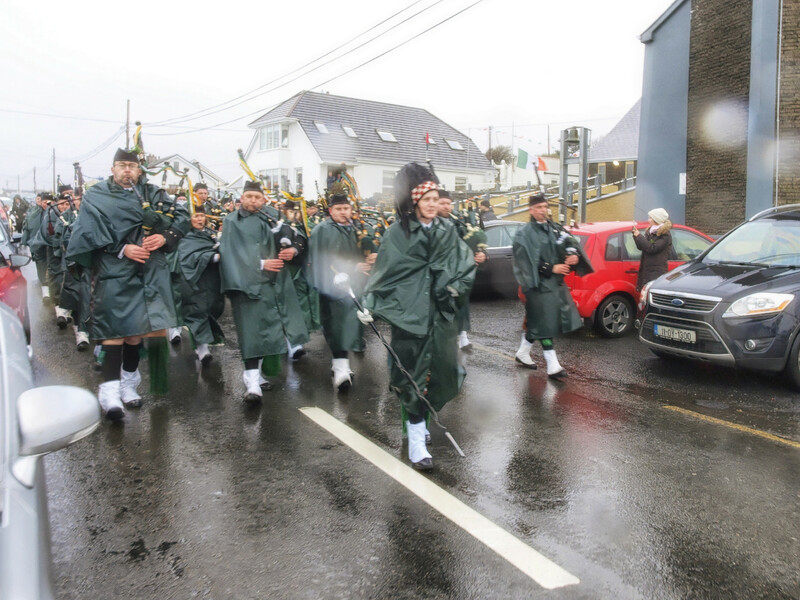 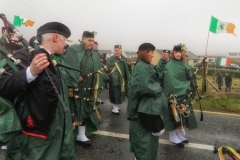 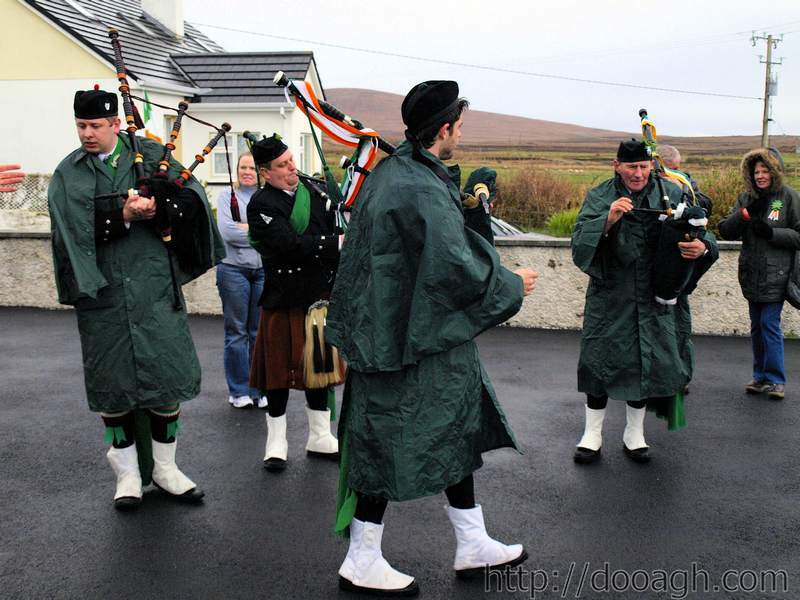 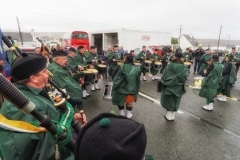 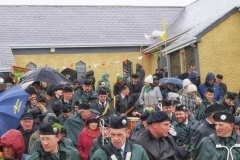 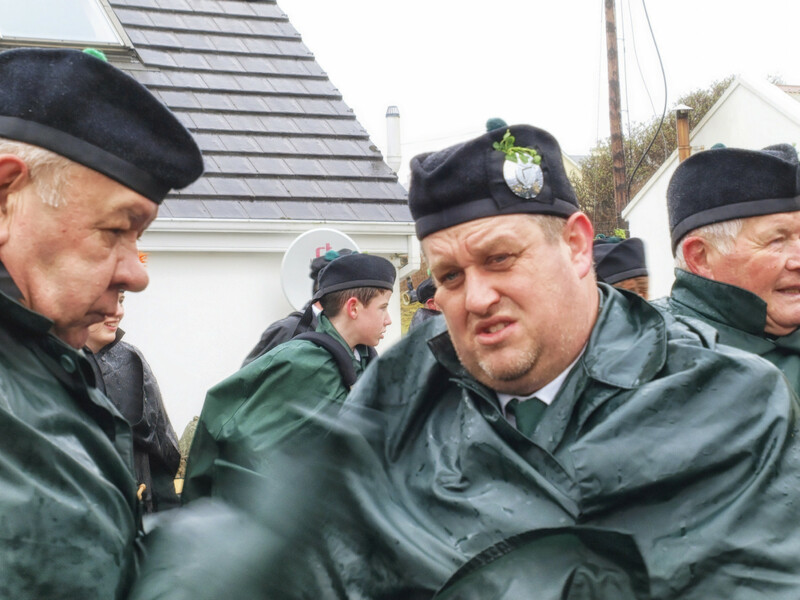 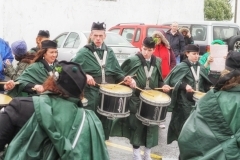 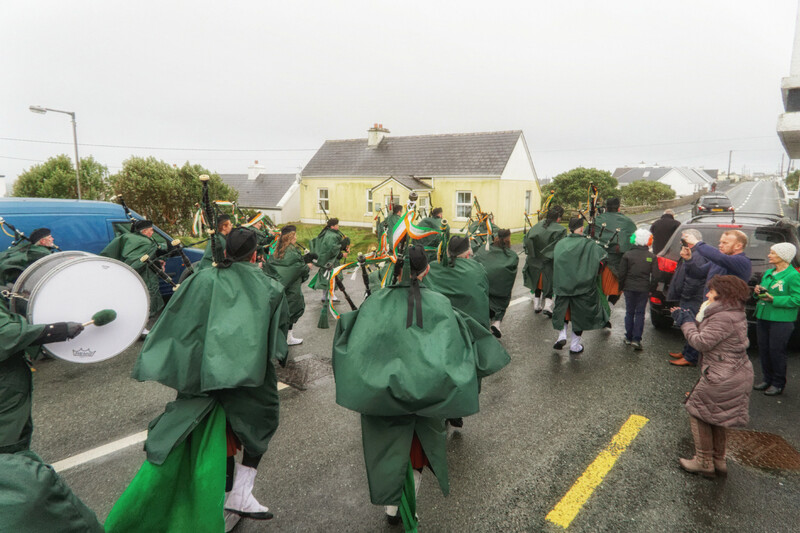 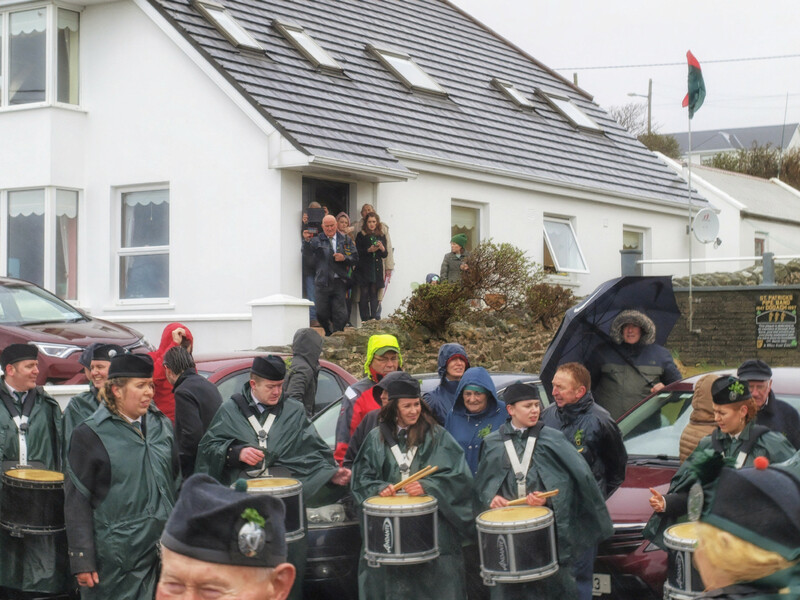 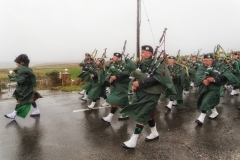 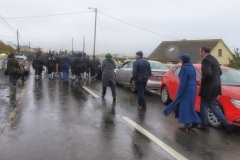 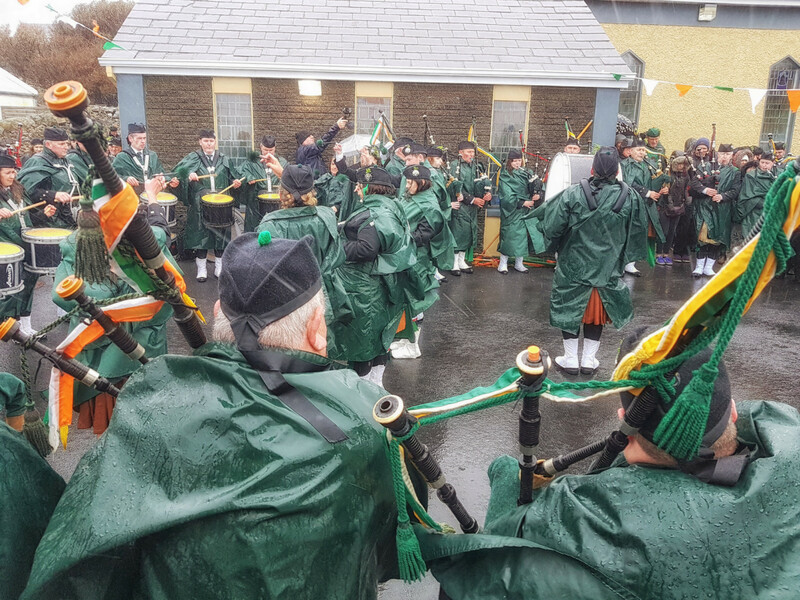 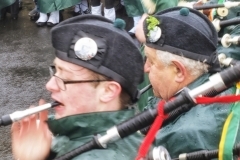 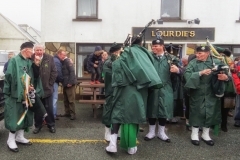 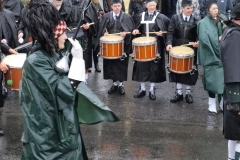 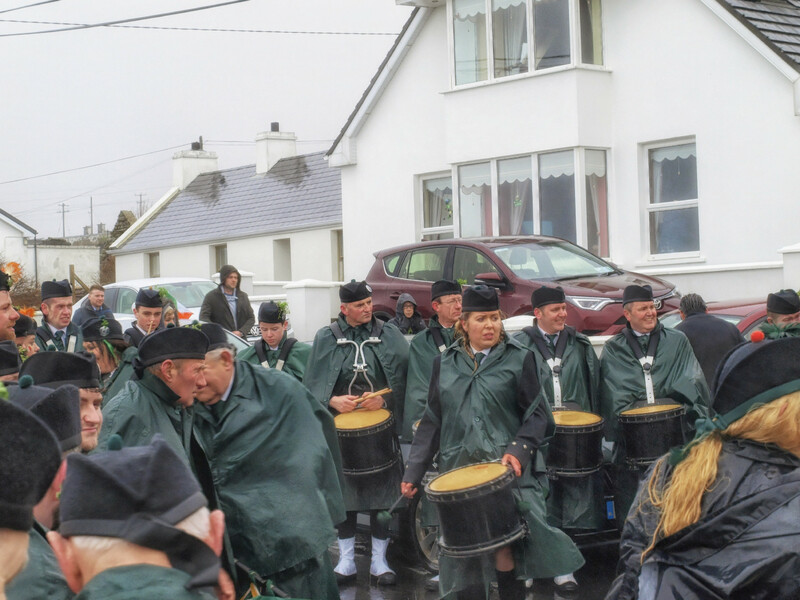 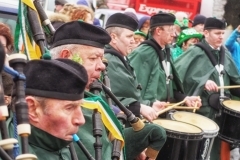 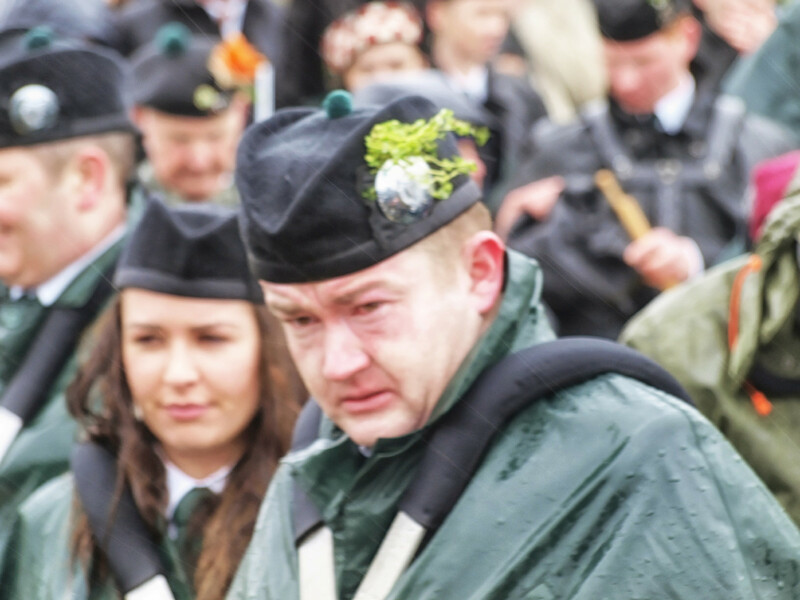 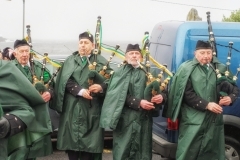 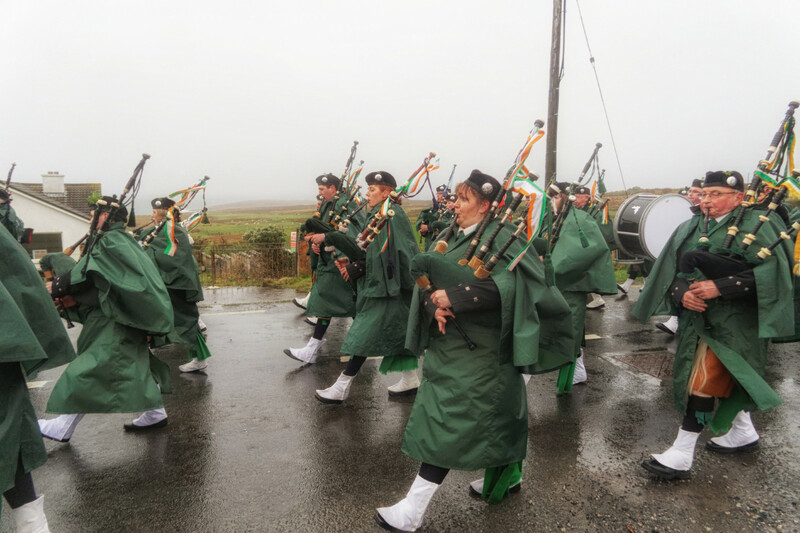 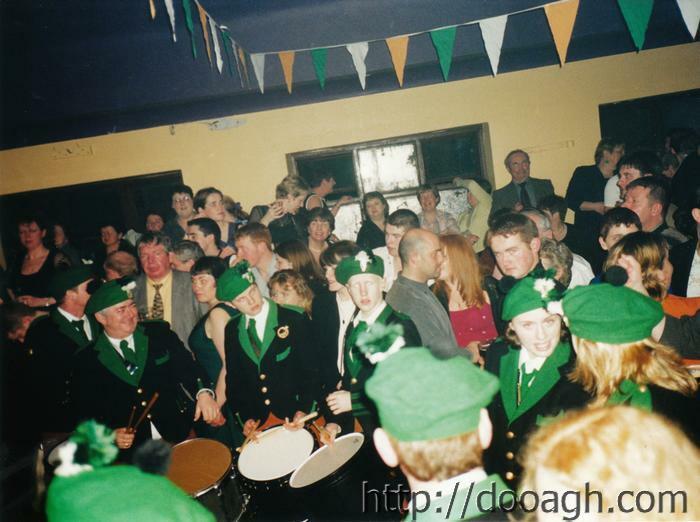 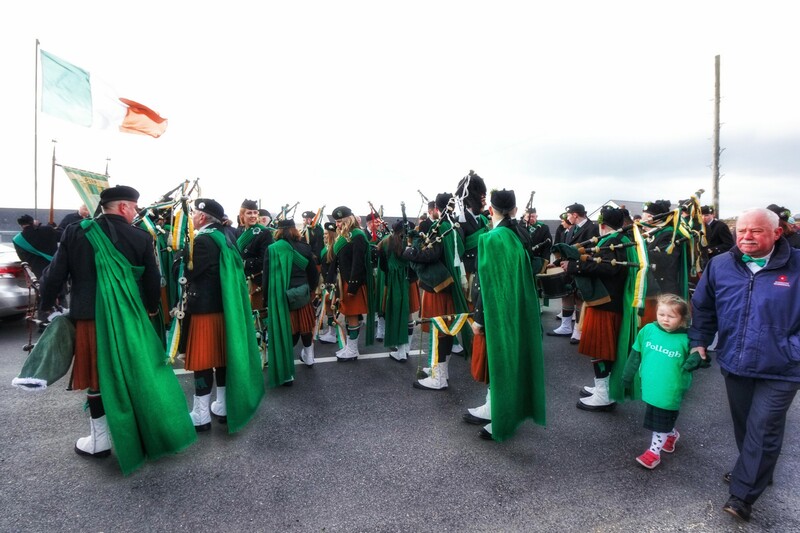 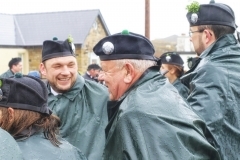 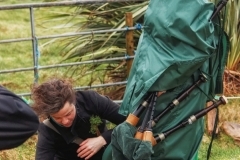 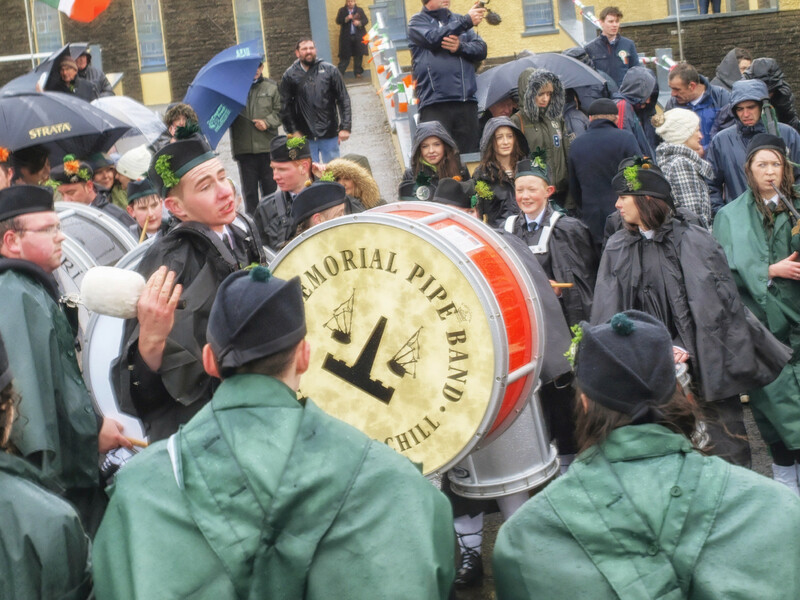 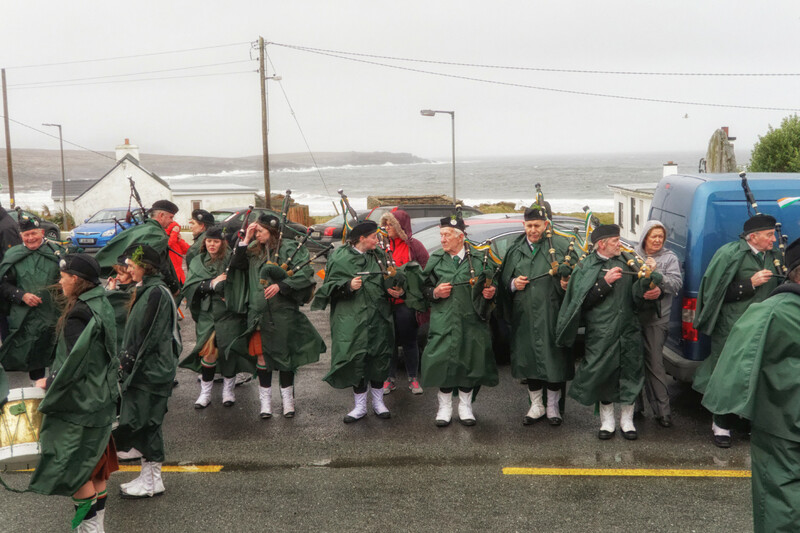 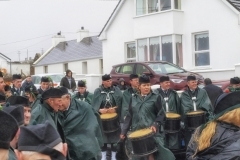 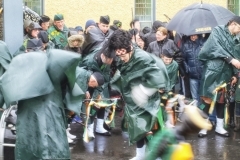 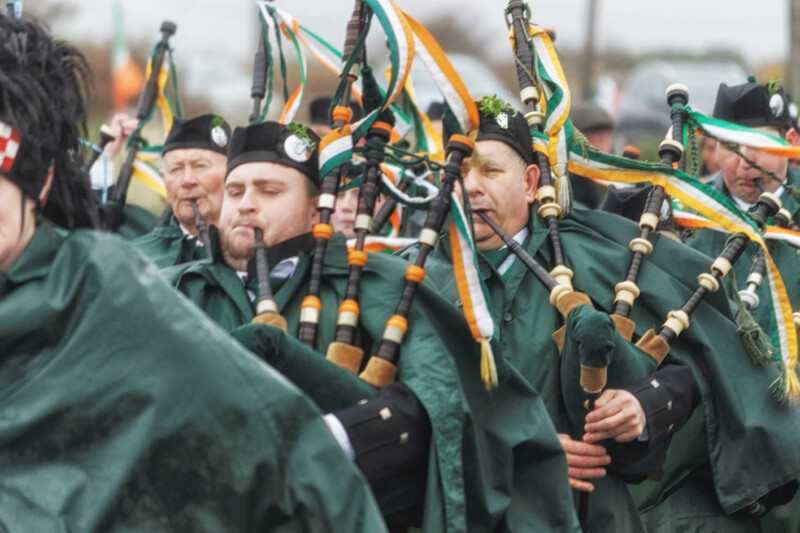 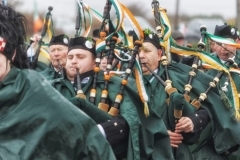 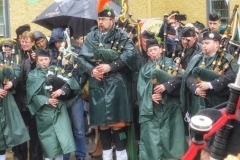 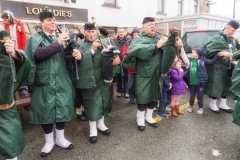 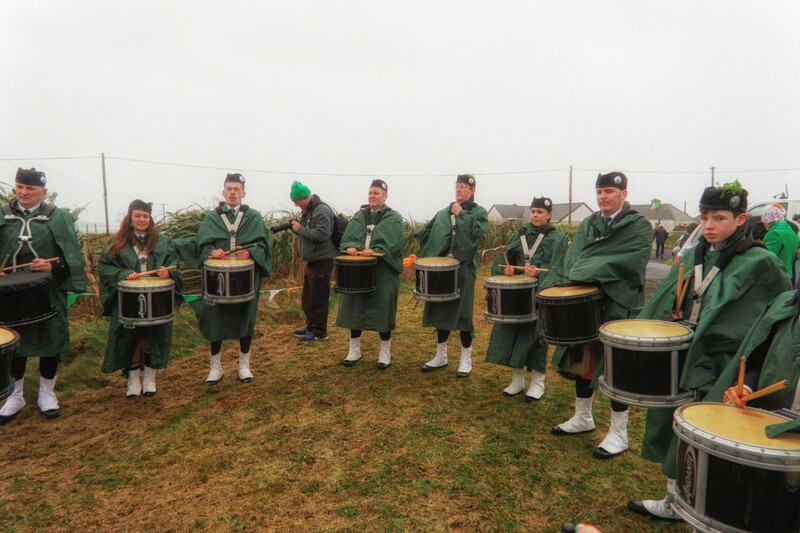 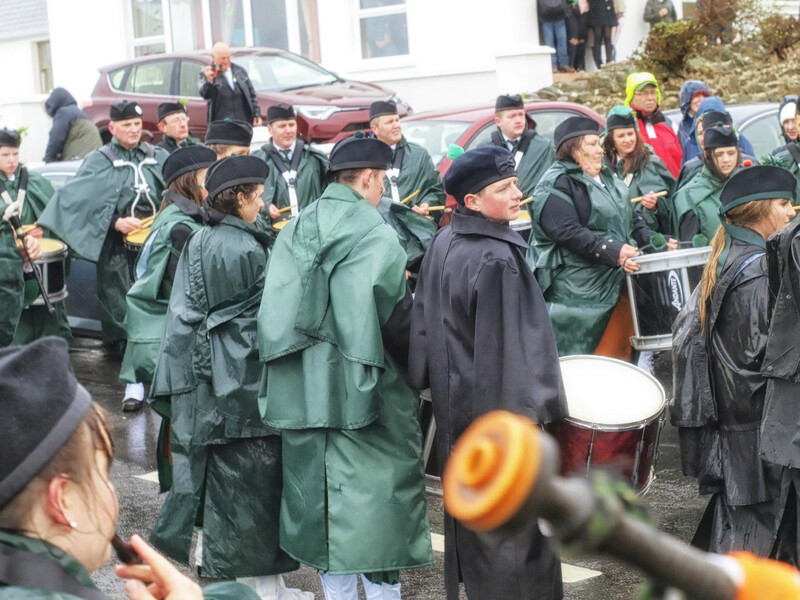 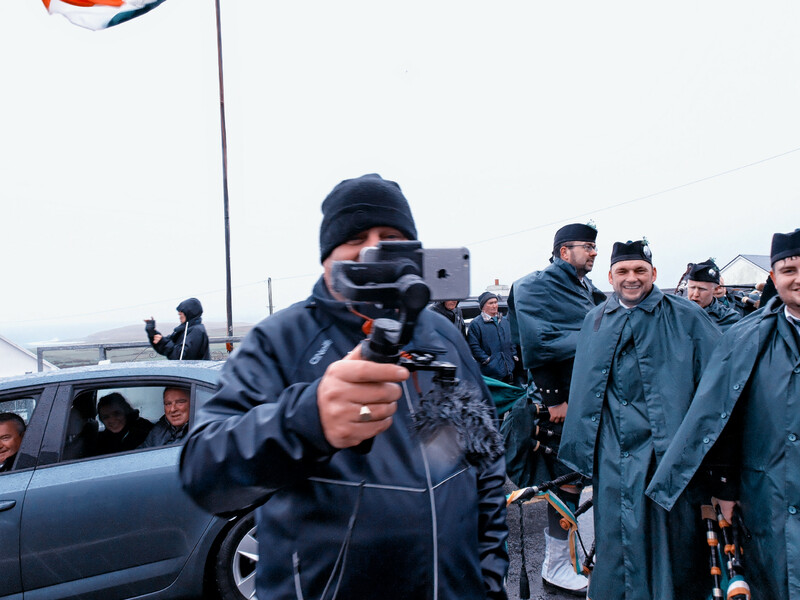 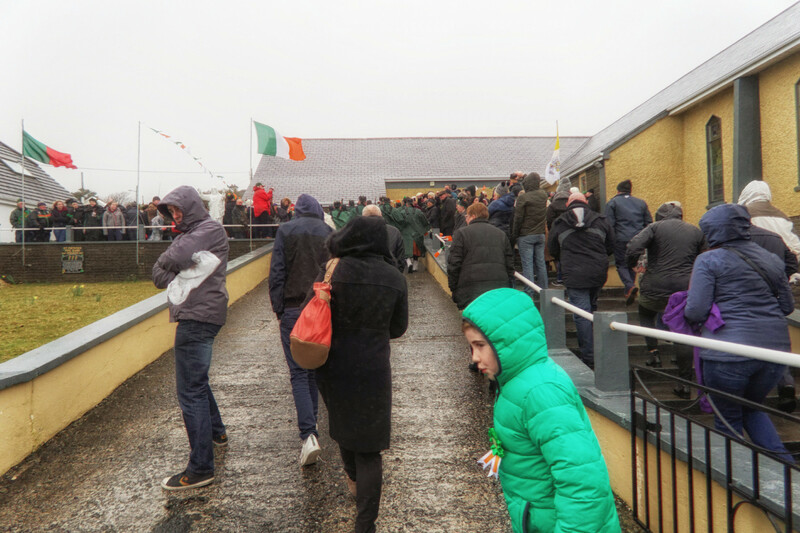 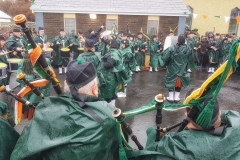 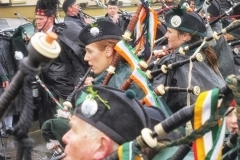 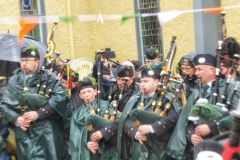 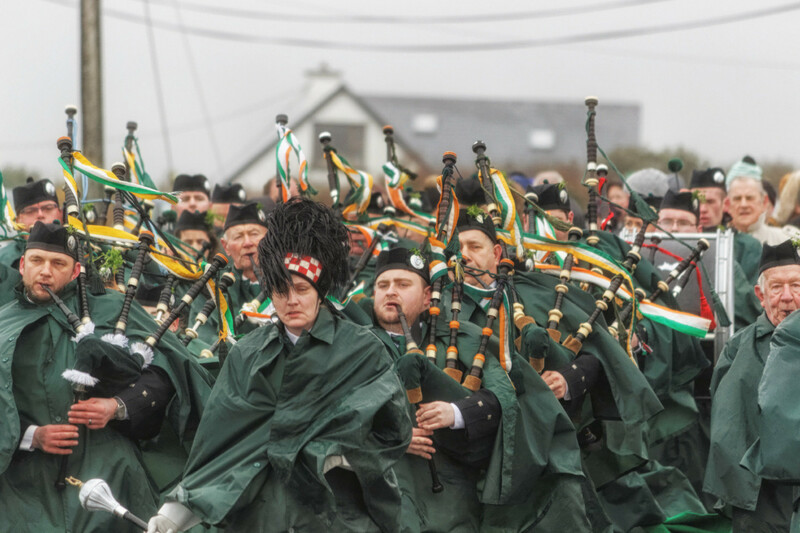 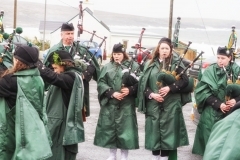 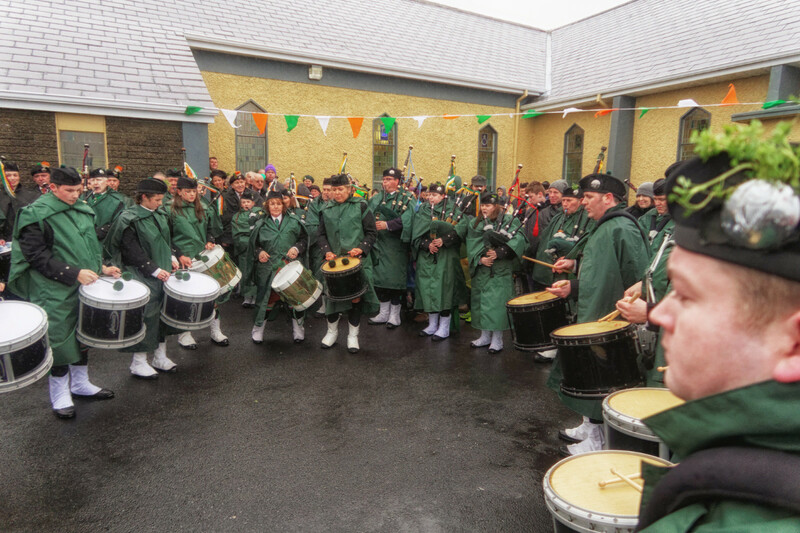 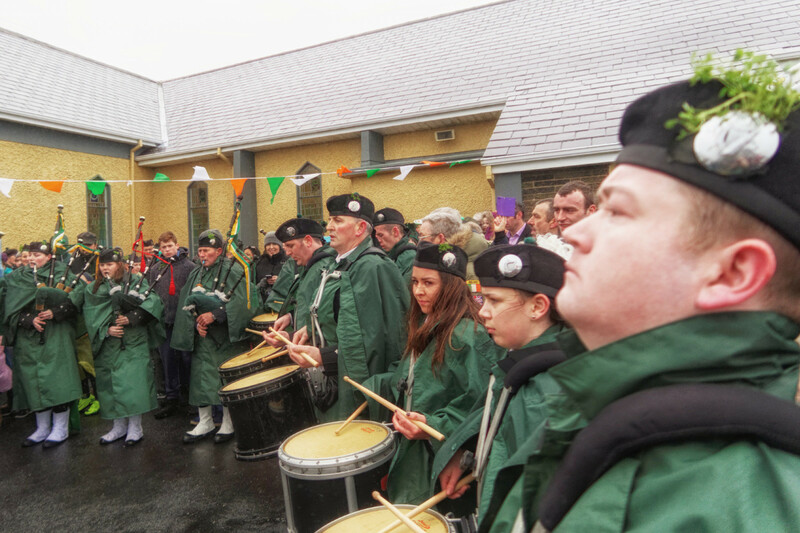 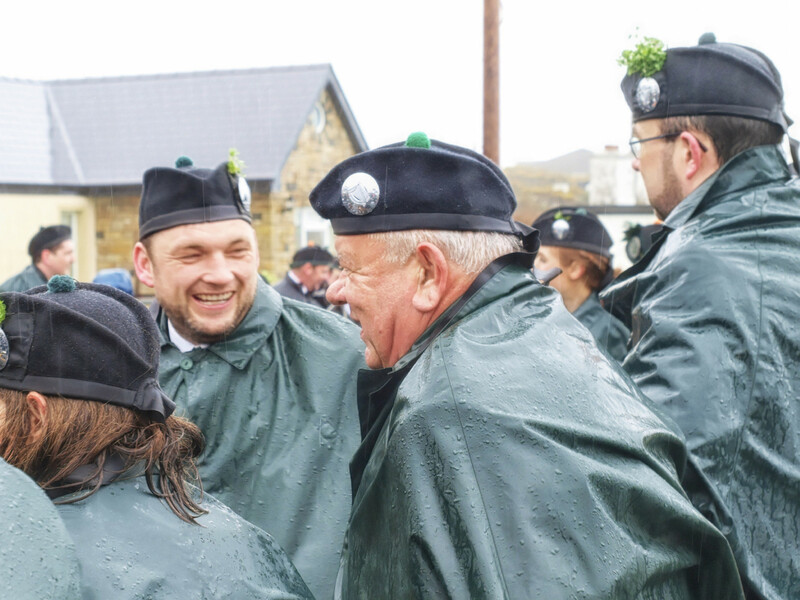 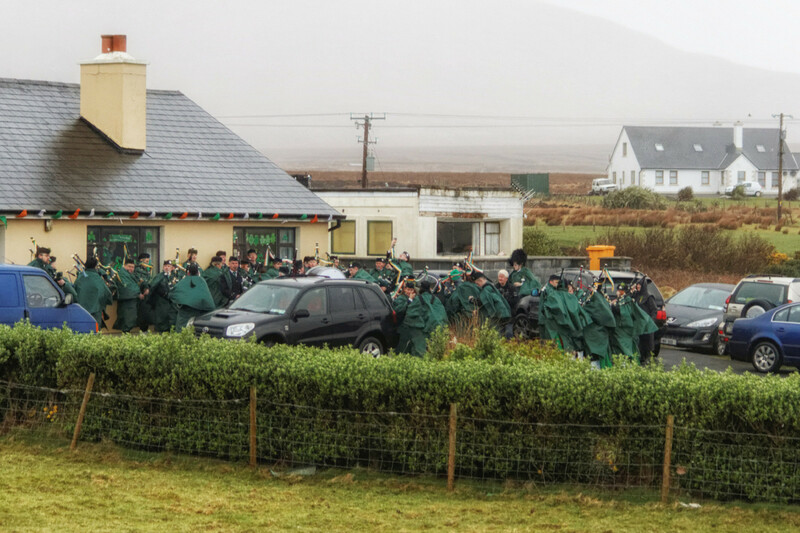 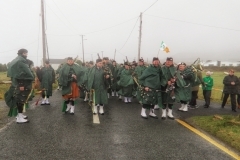 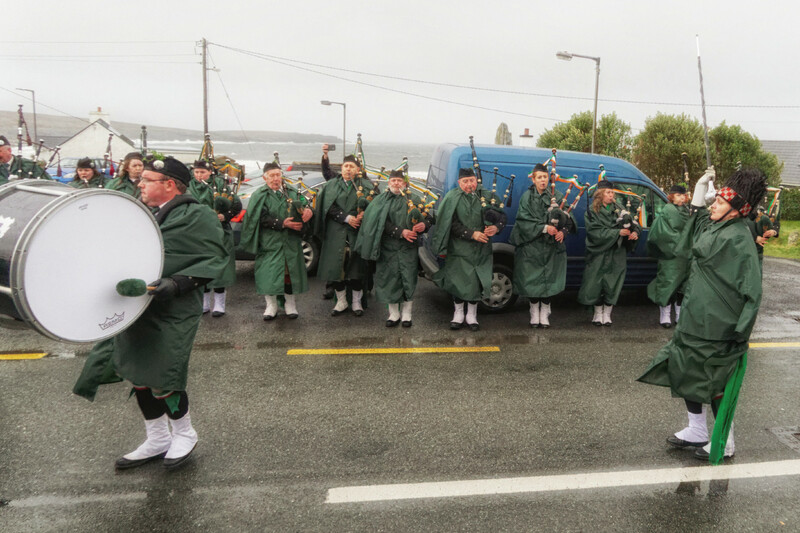 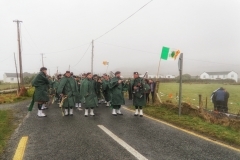 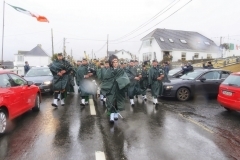 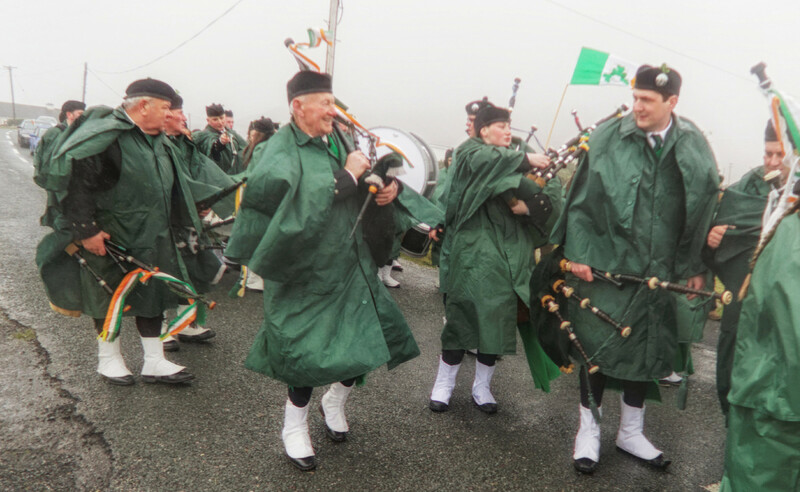 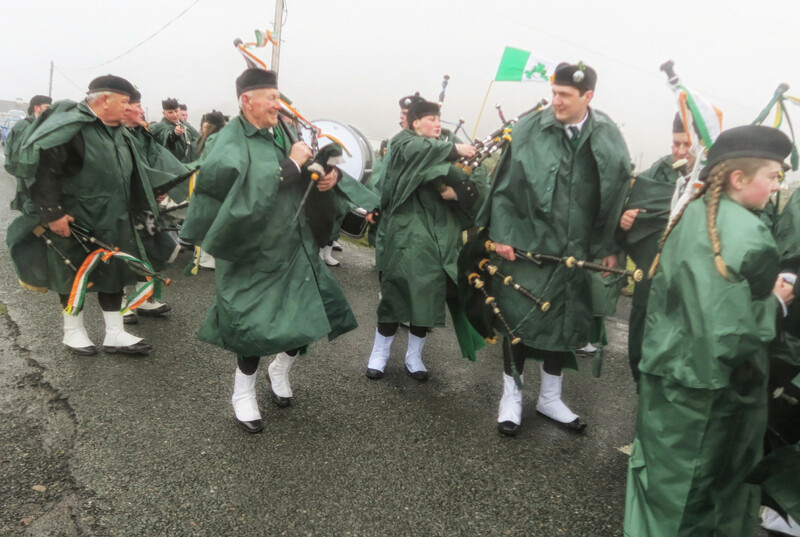 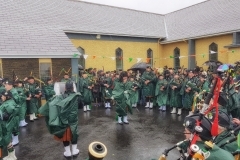 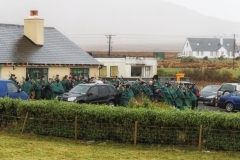 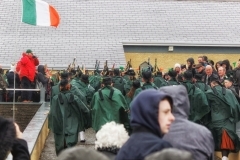 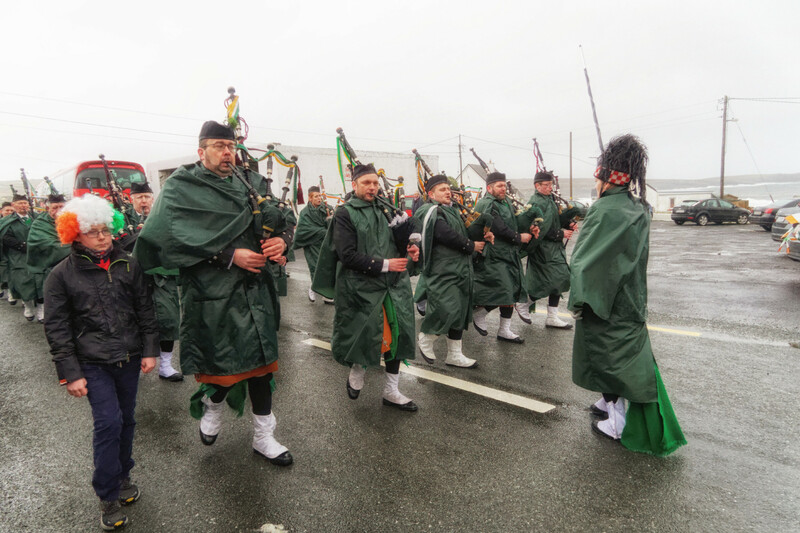 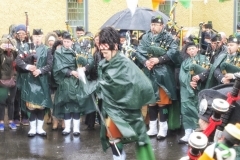 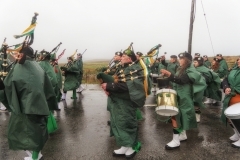 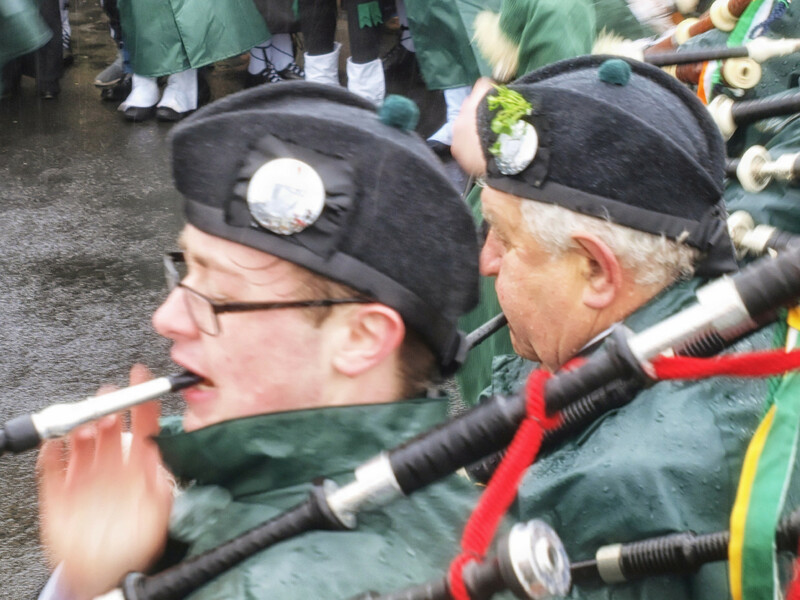 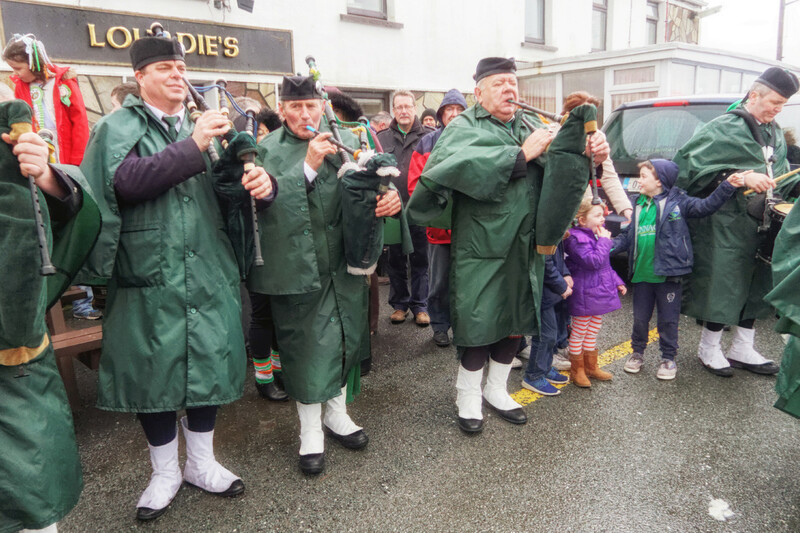 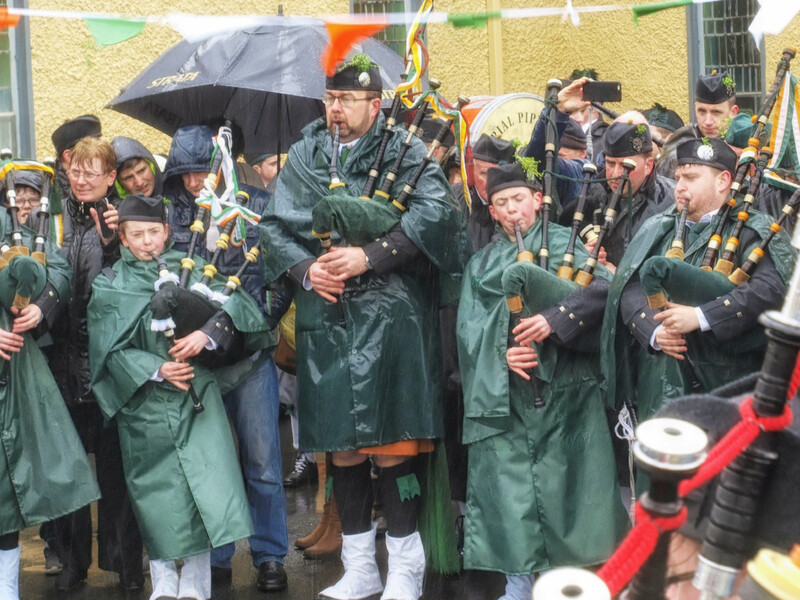 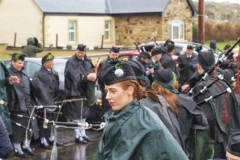 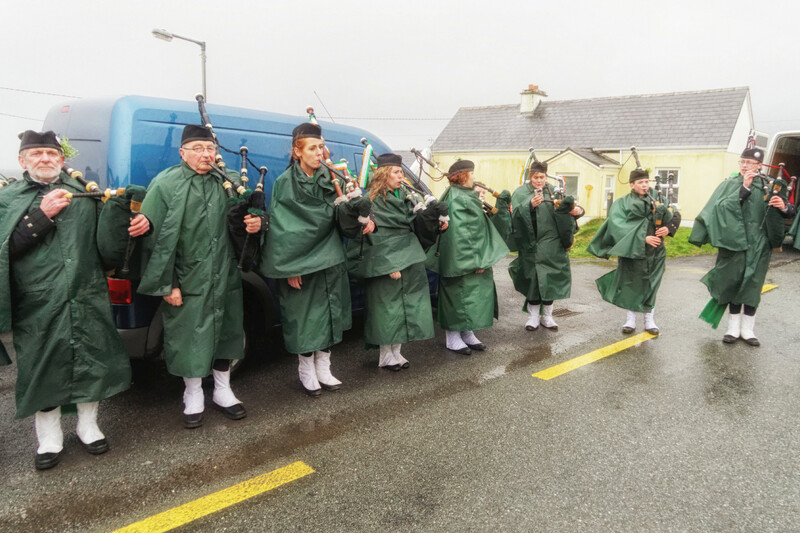 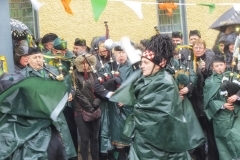 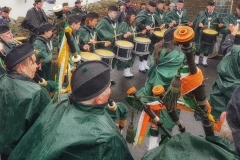 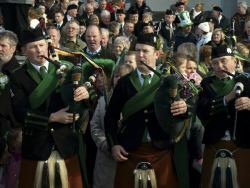 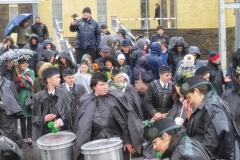 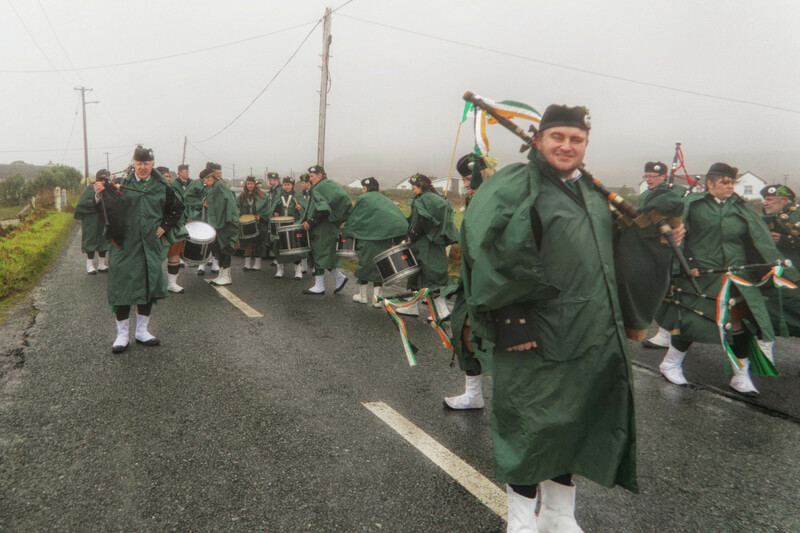 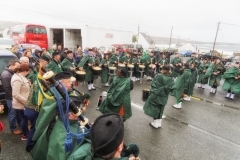 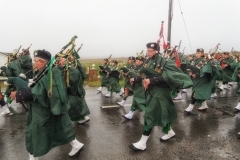 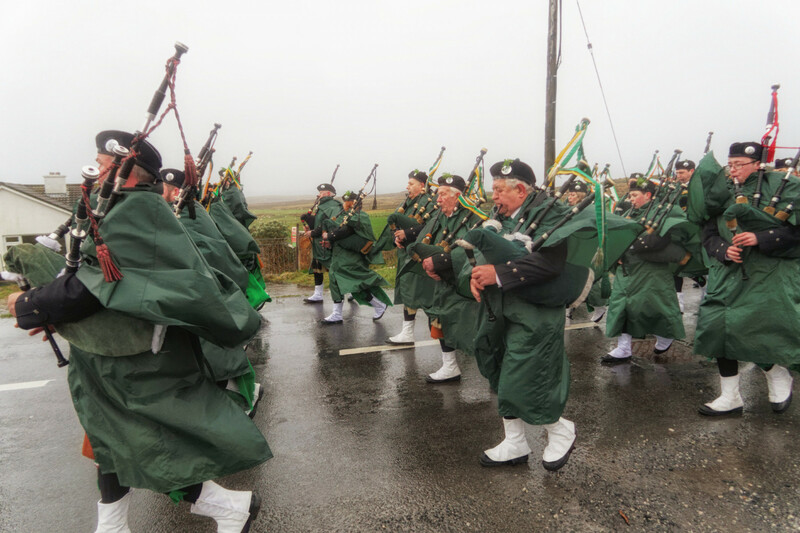 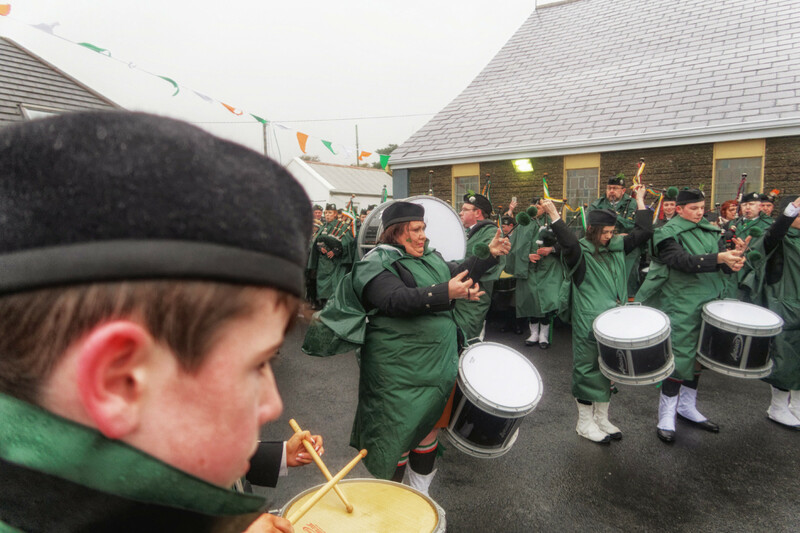 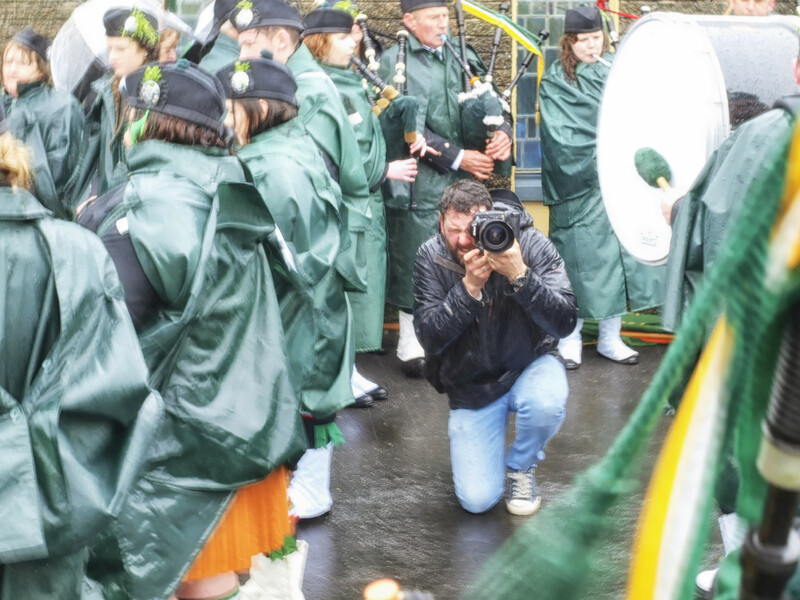 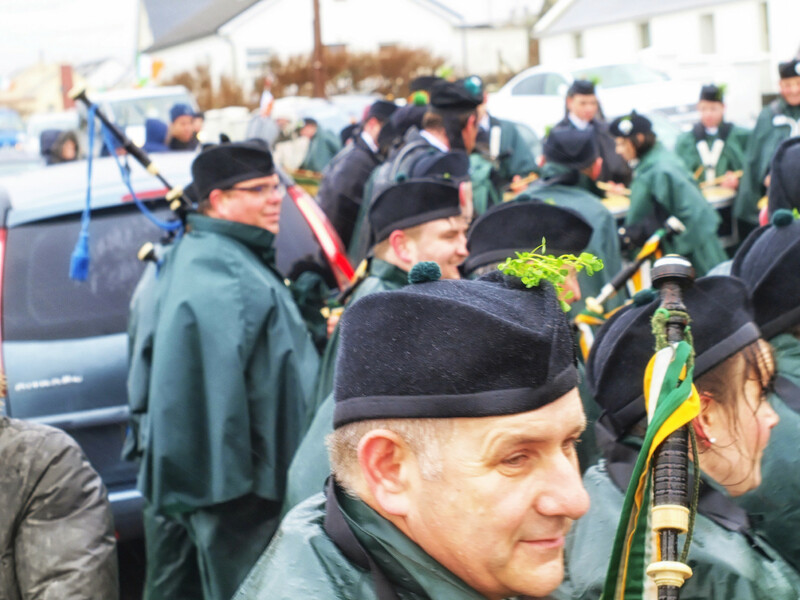 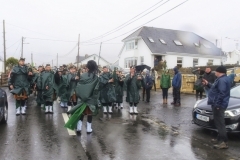 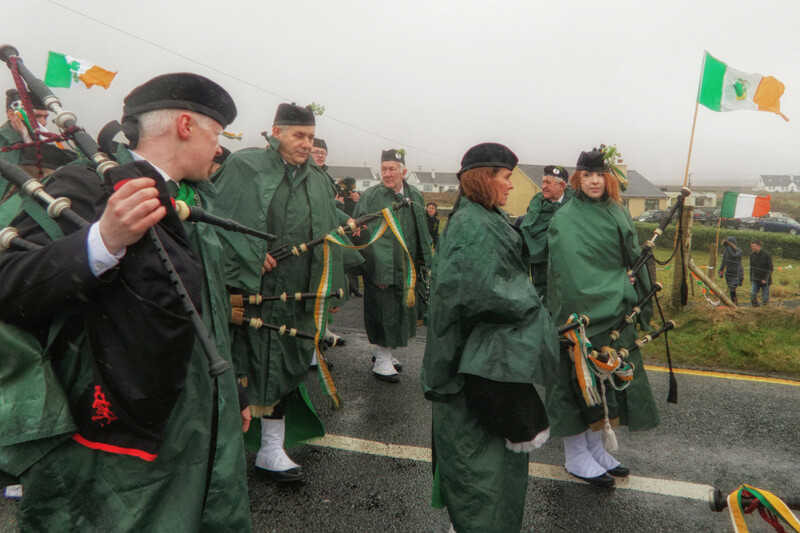 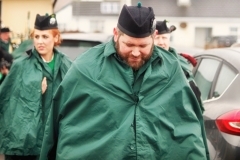 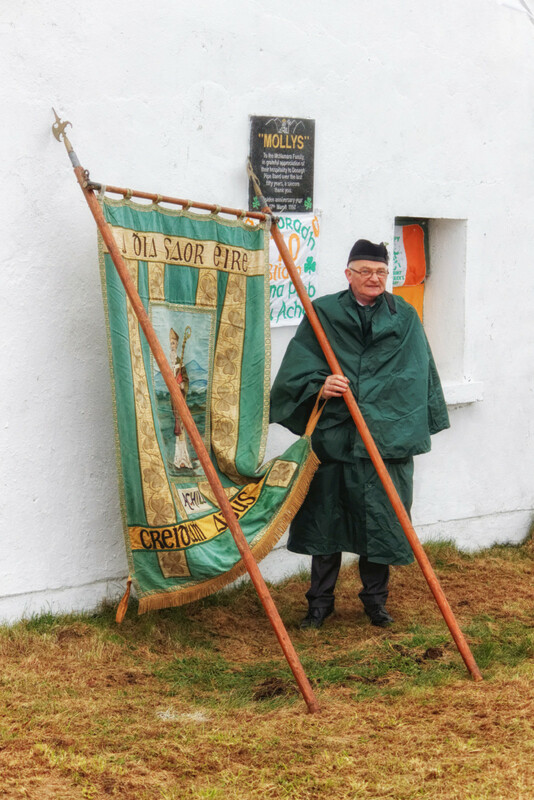 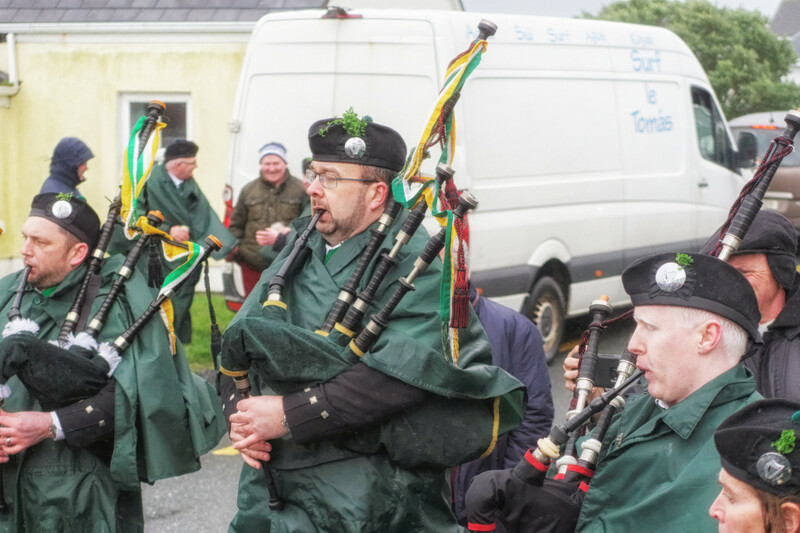 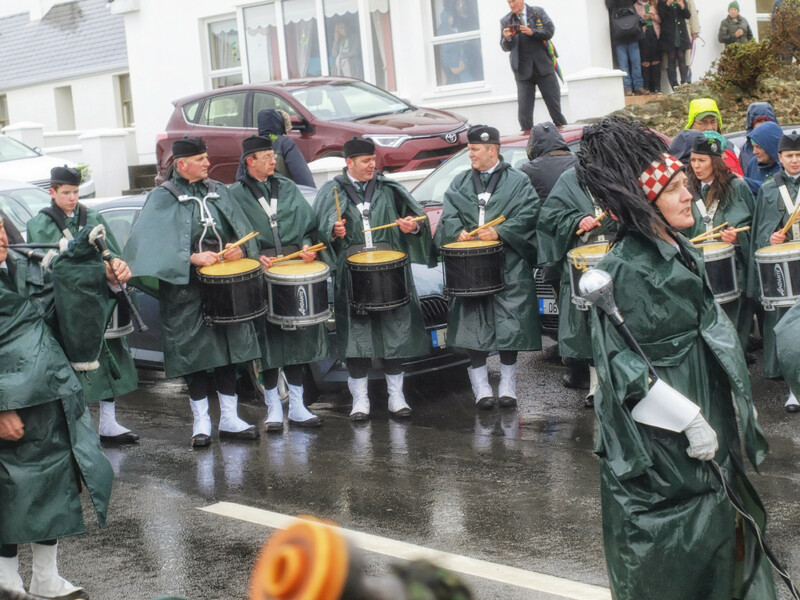 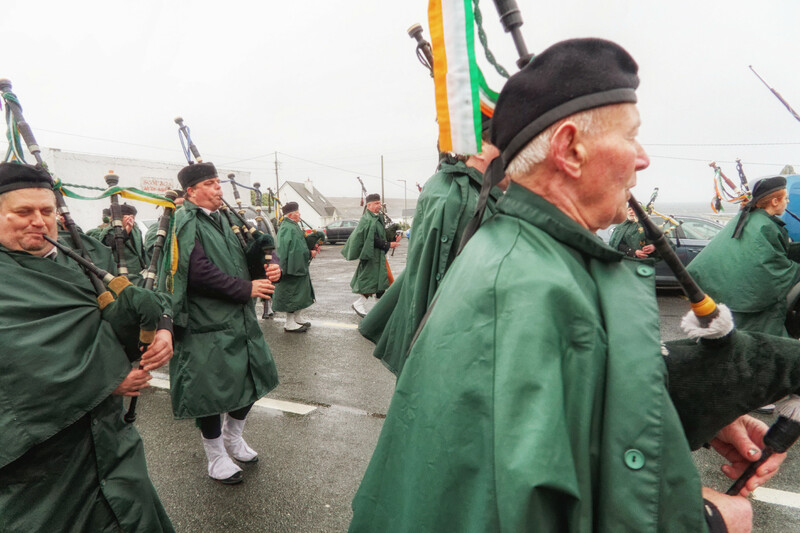 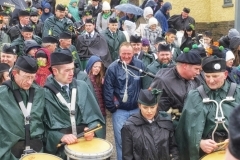 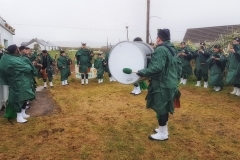 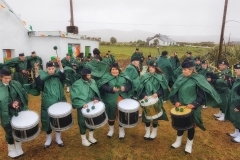 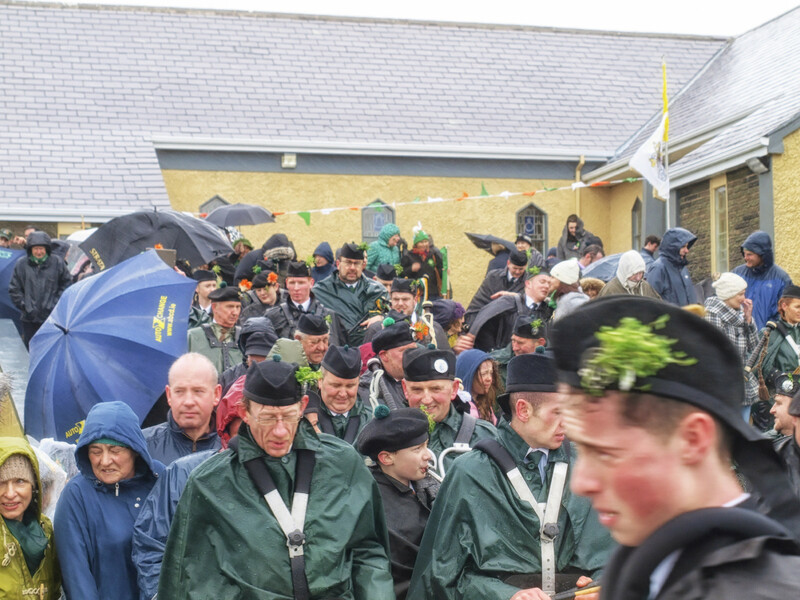 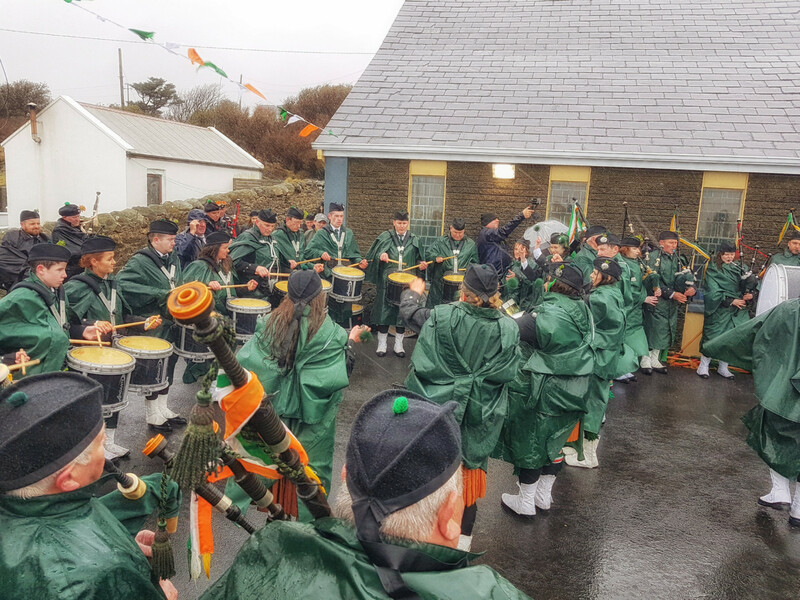 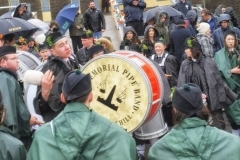 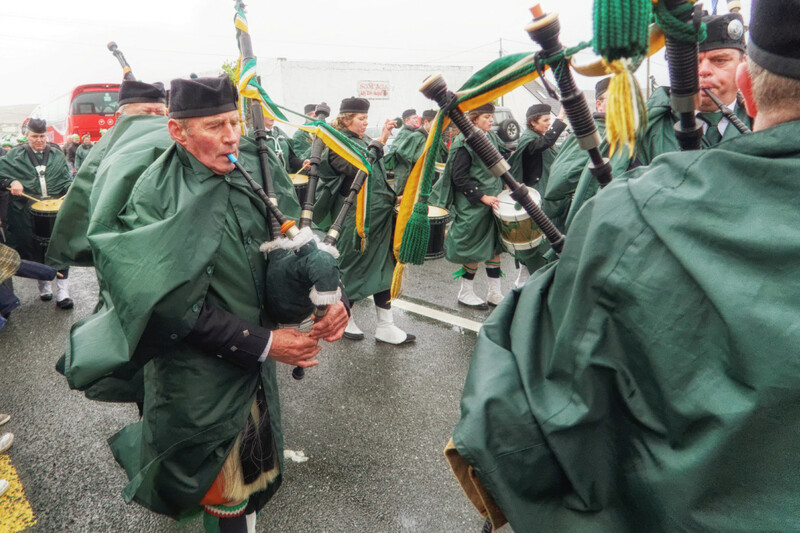 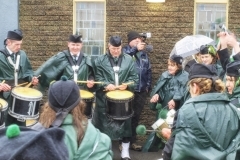 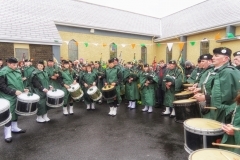 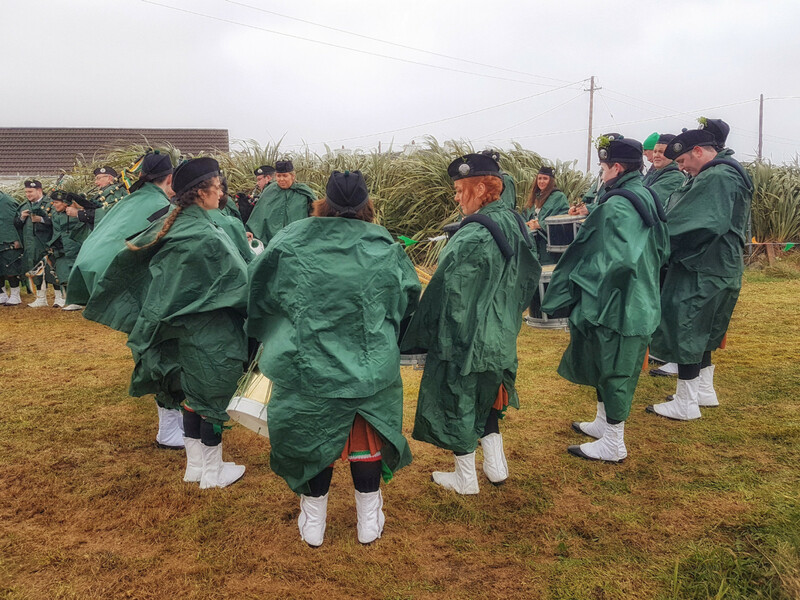 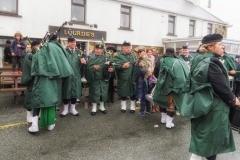 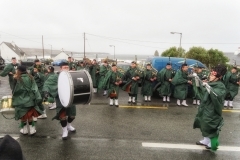 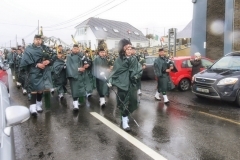 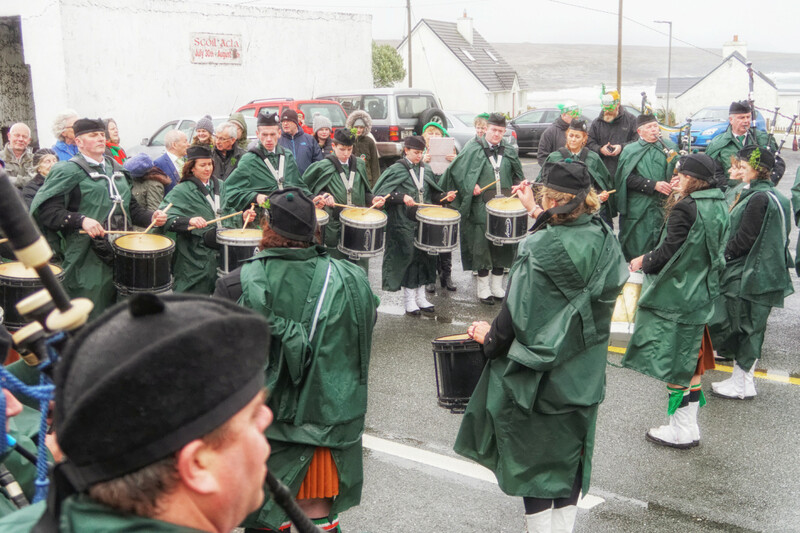 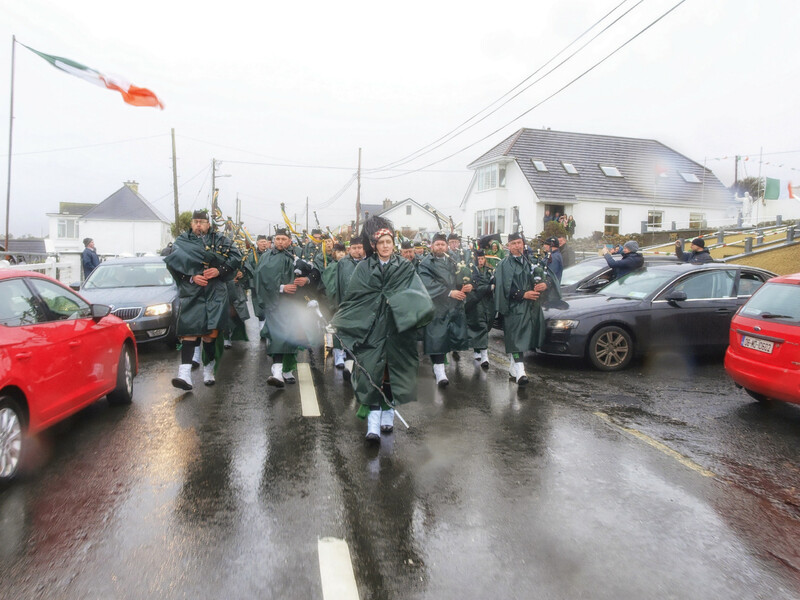 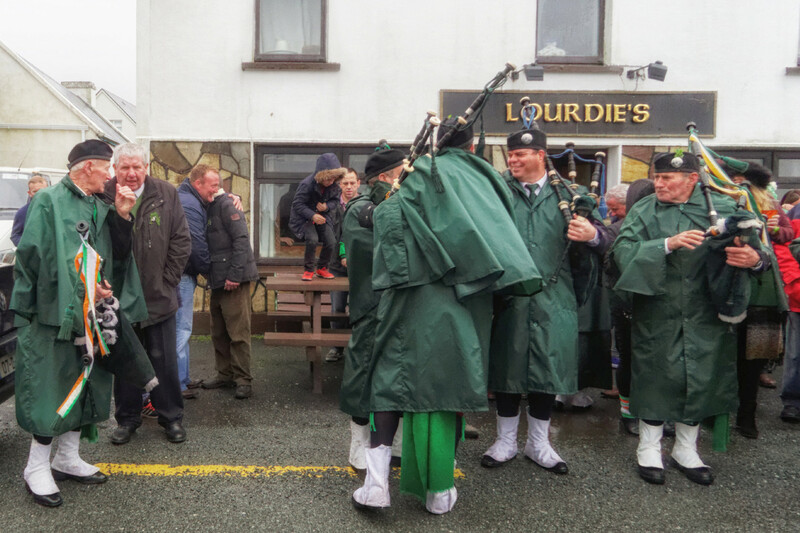 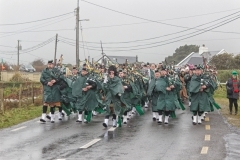 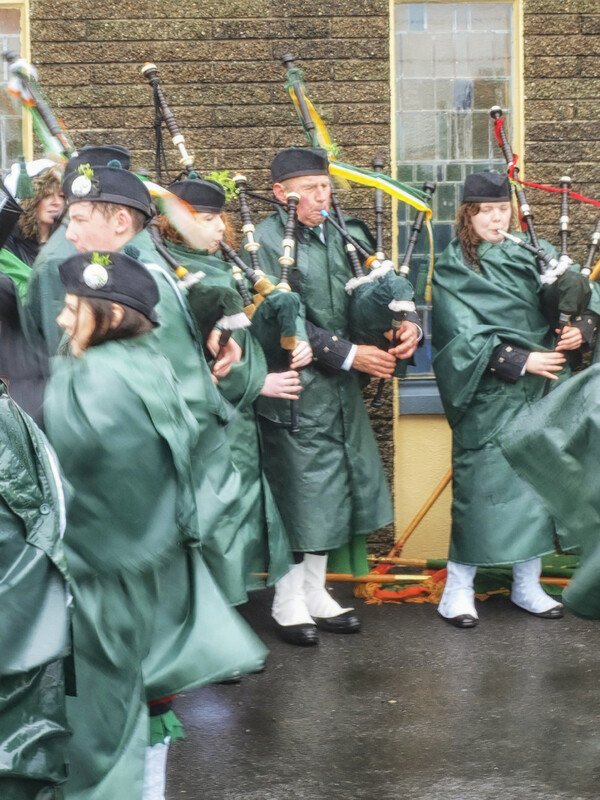 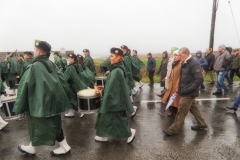 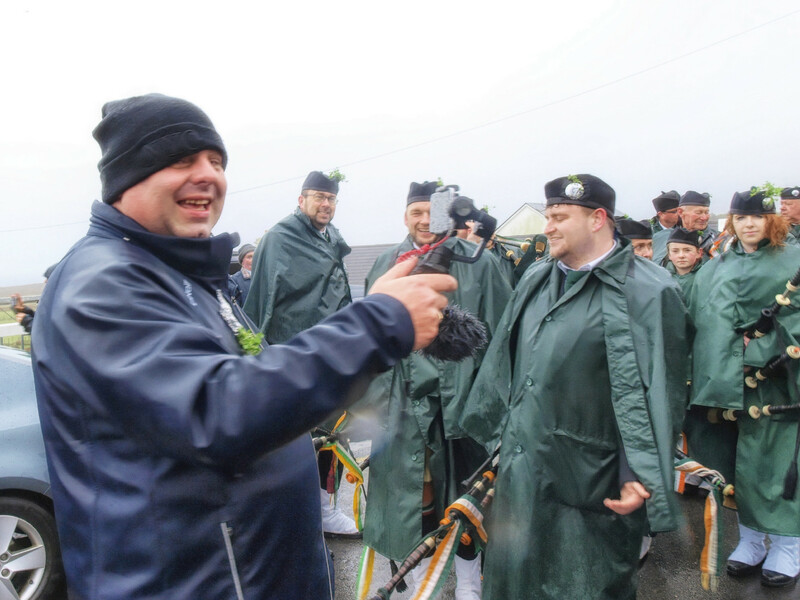 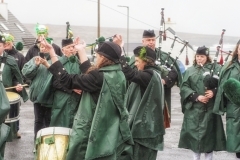 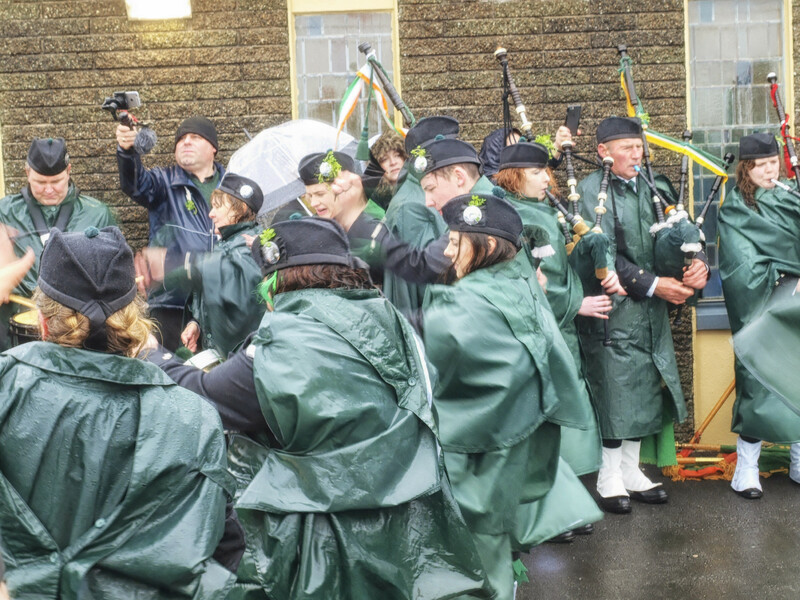 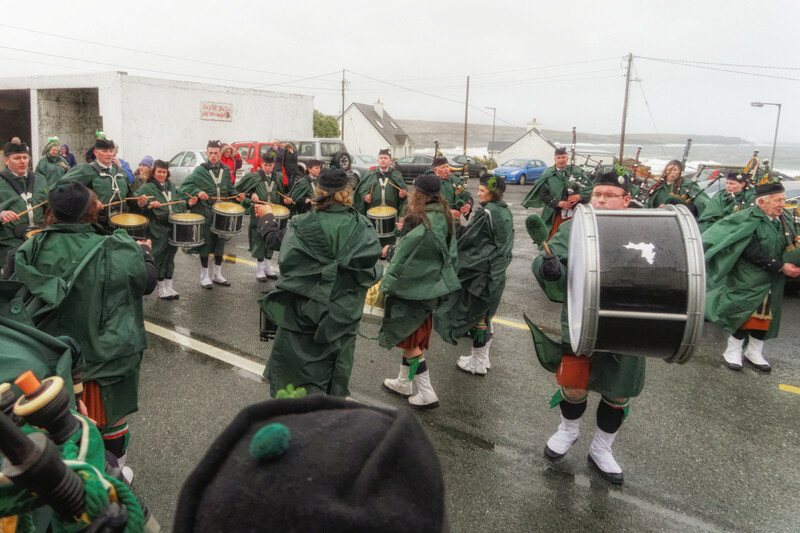 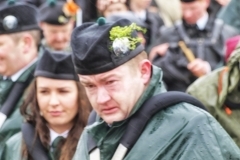 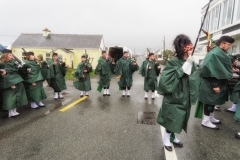 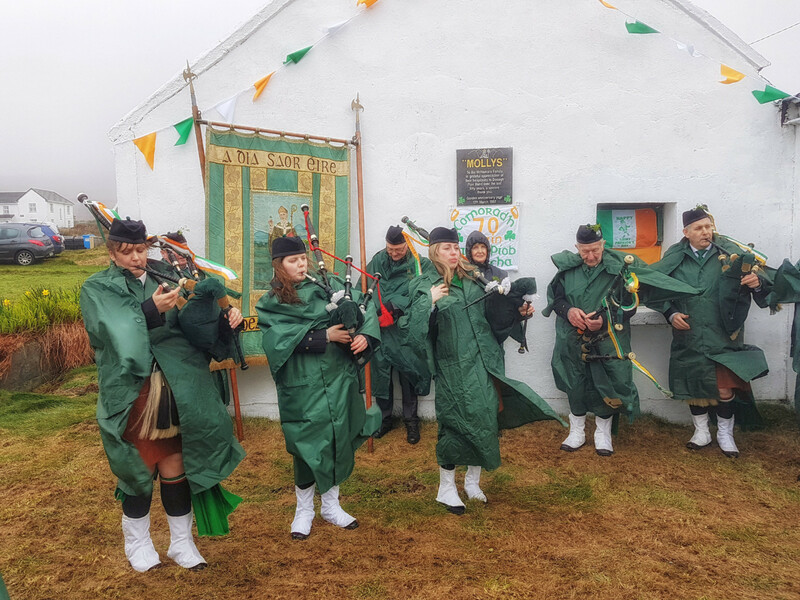 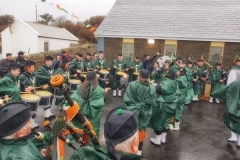 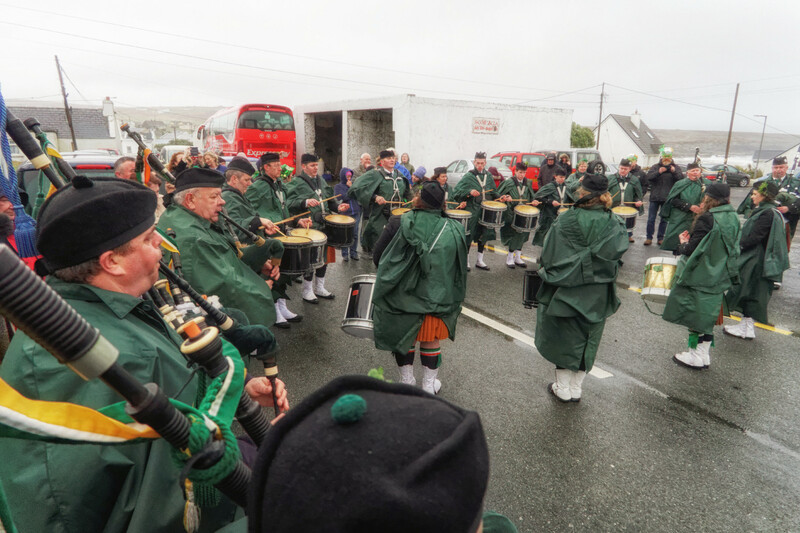 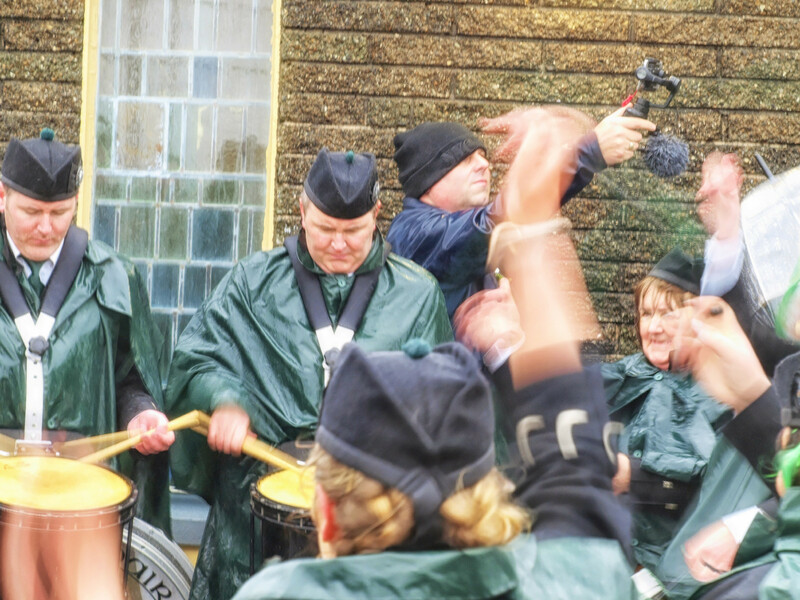 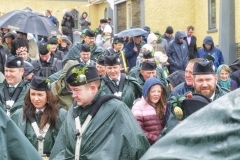 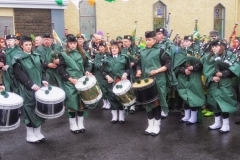 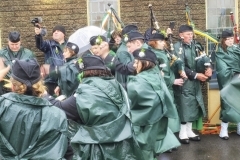 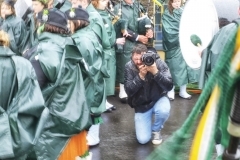 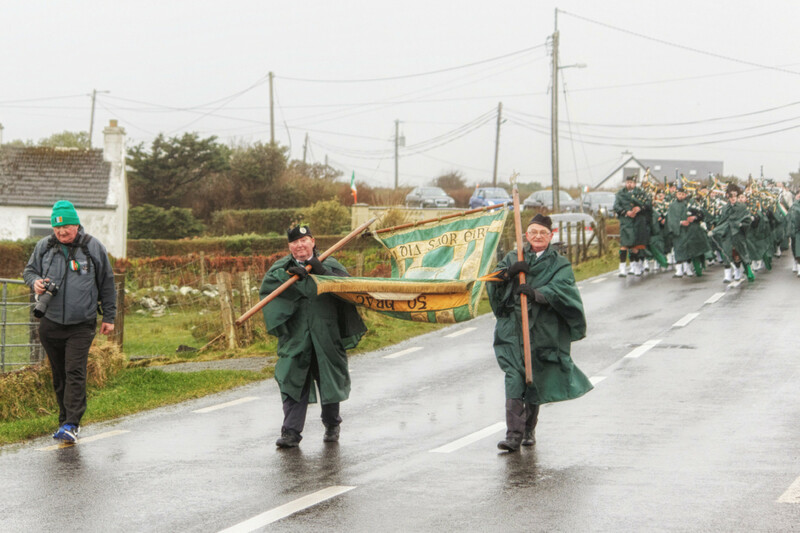 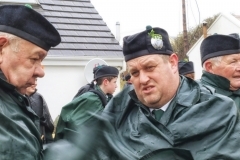 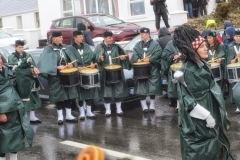 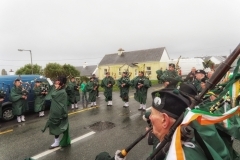 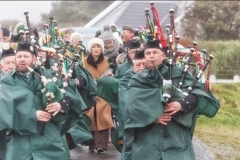 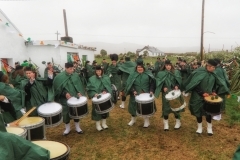 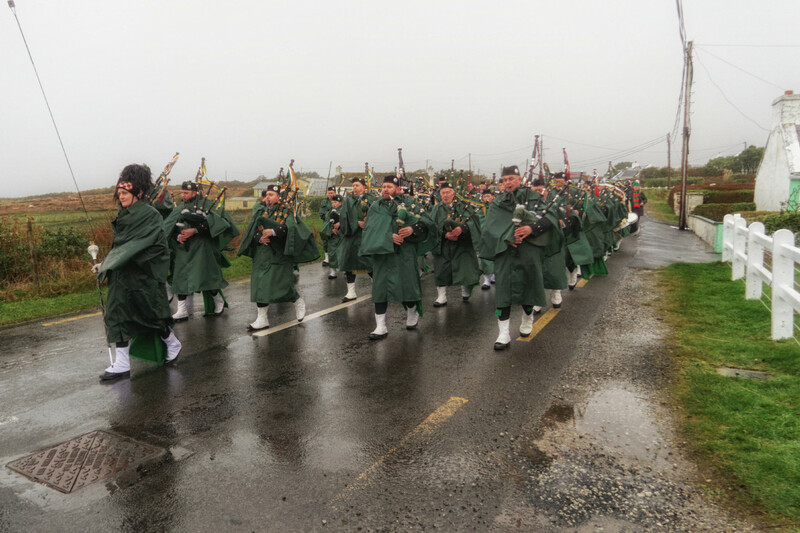 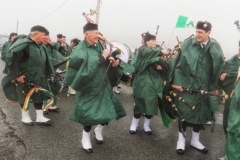 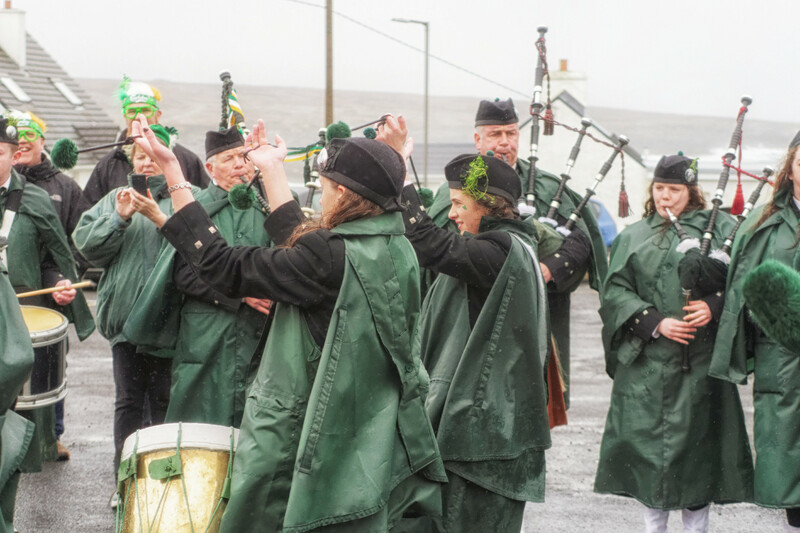 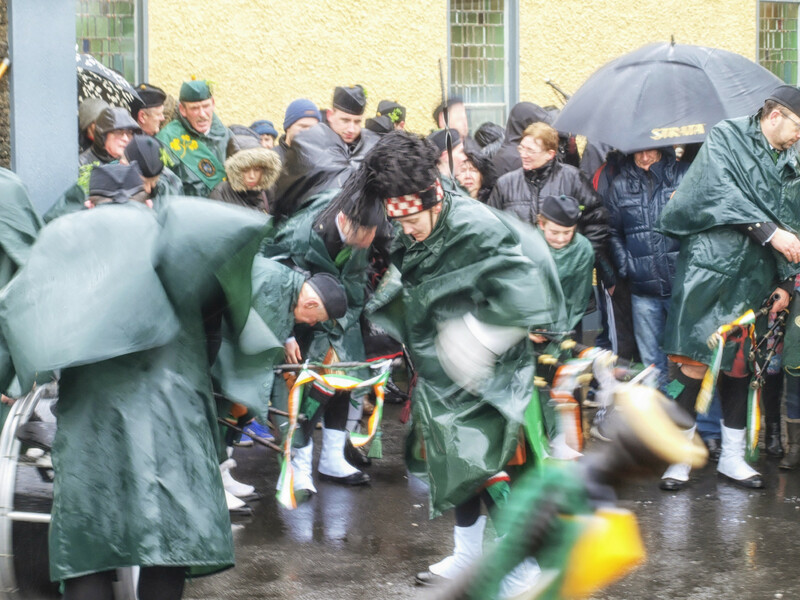 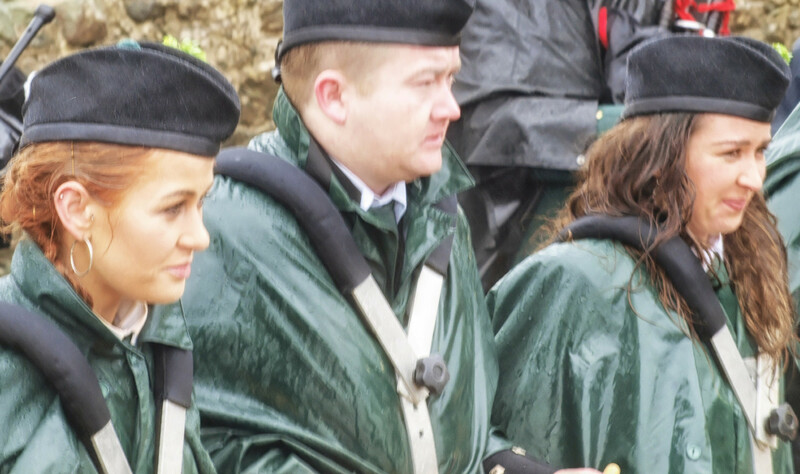 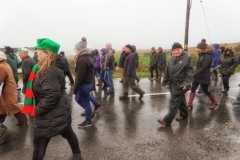 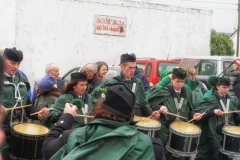 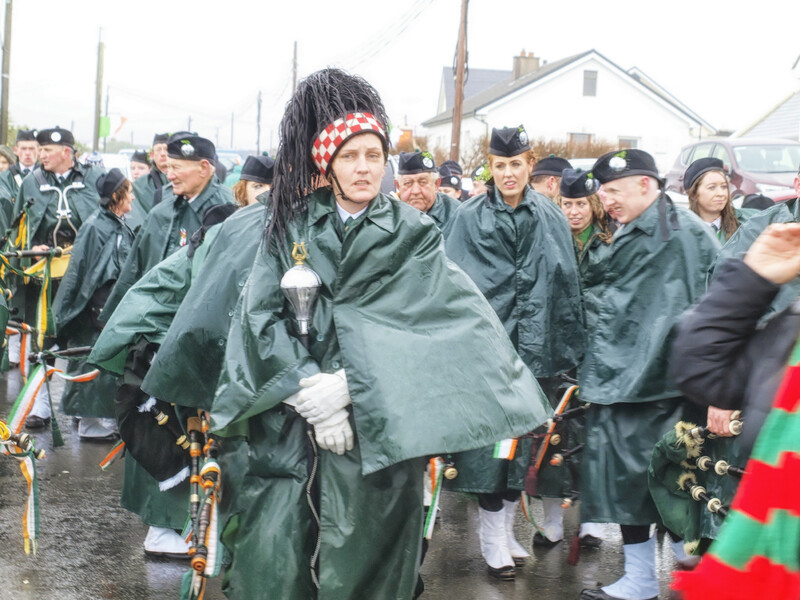 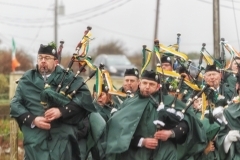 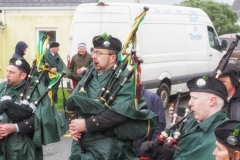 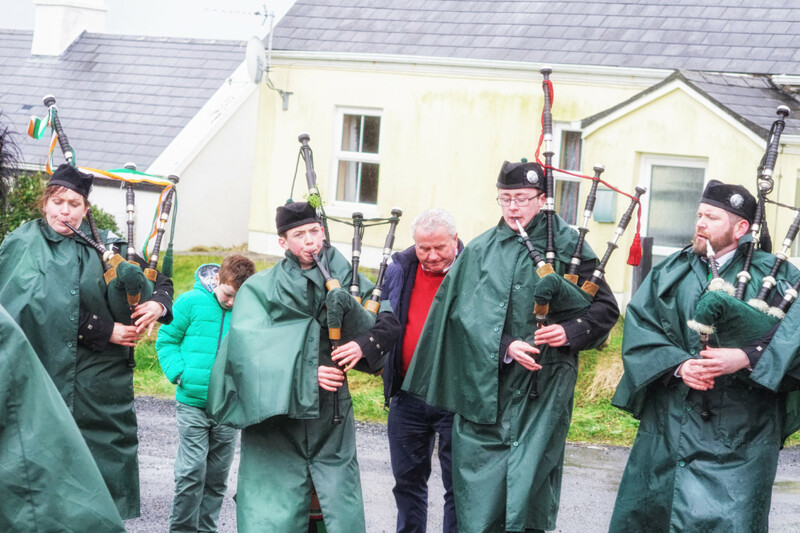 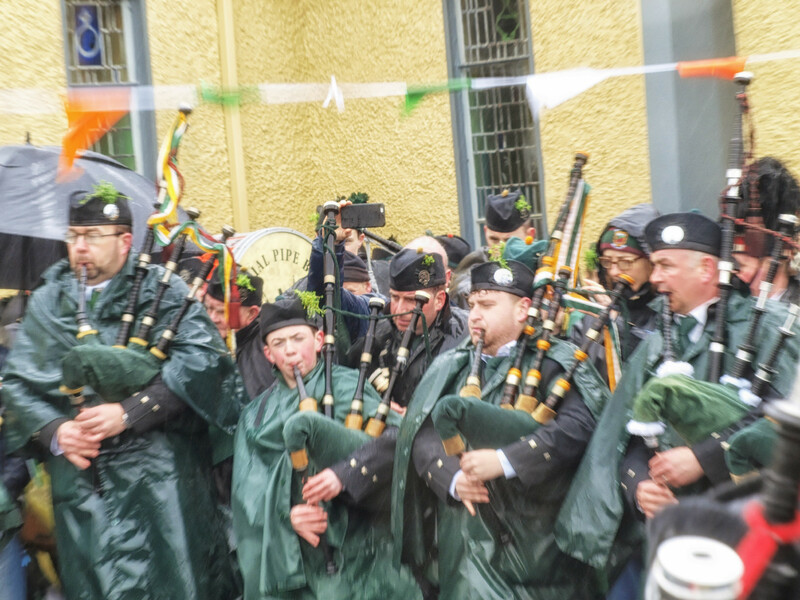 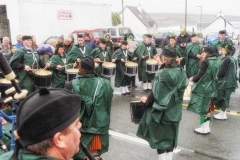 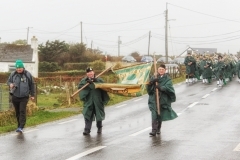 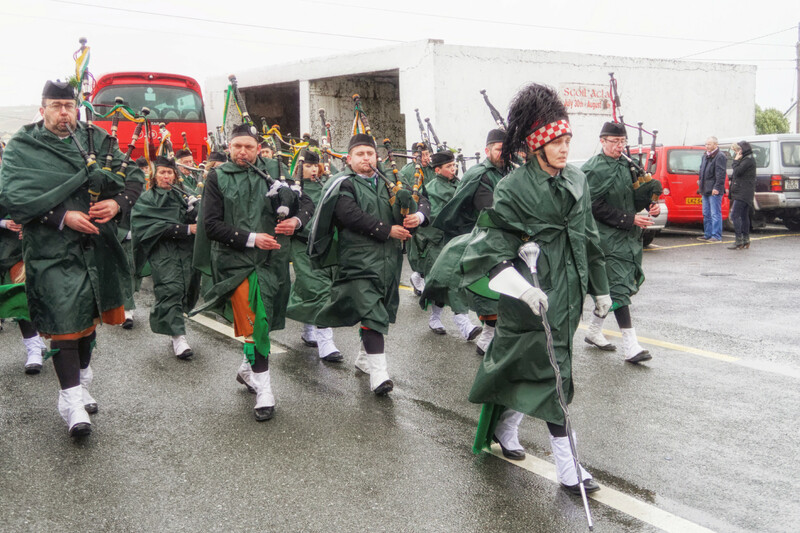 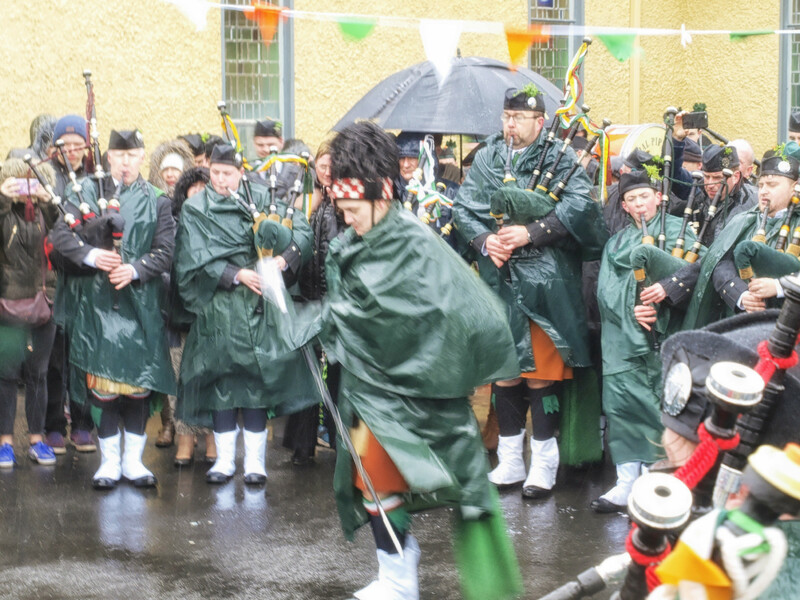 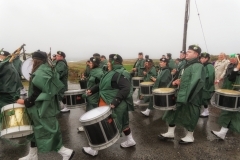 Strong winds and rain made marching conditions for the Dooagh Pipe Band very difficult. 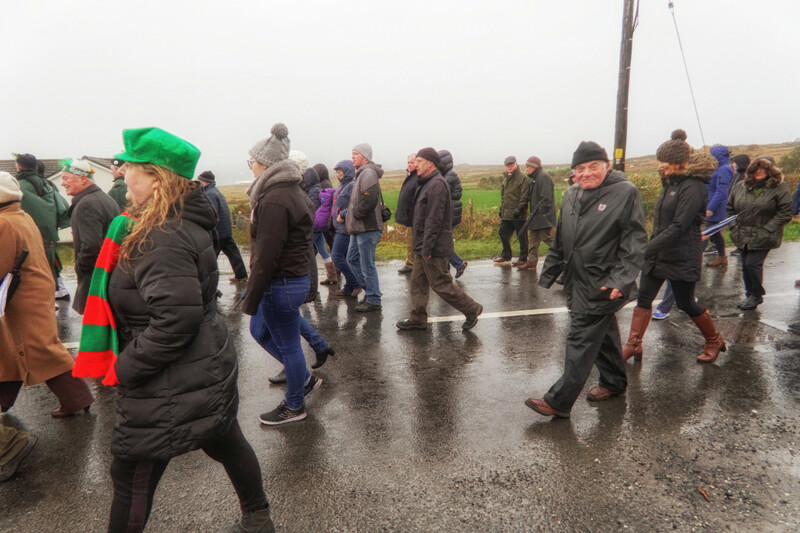 Not so many followers on foot but well done to everyone who took part. 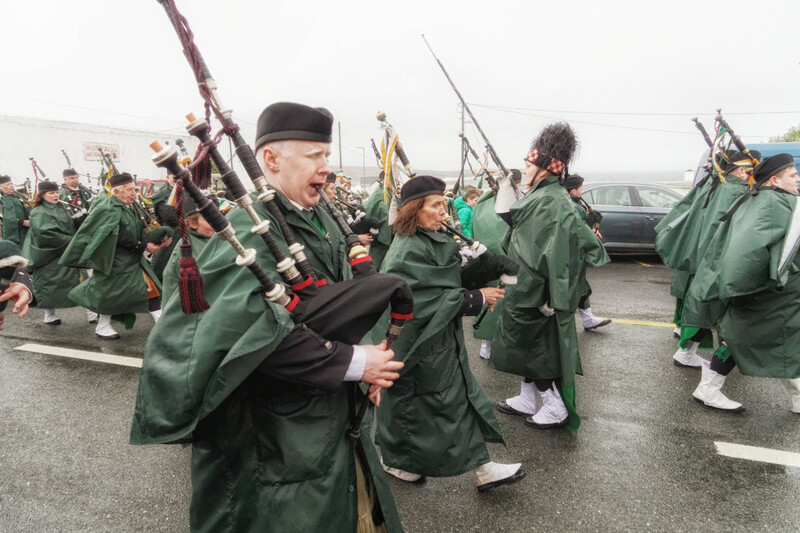 The photos from the 2017 parade are now uploaded. 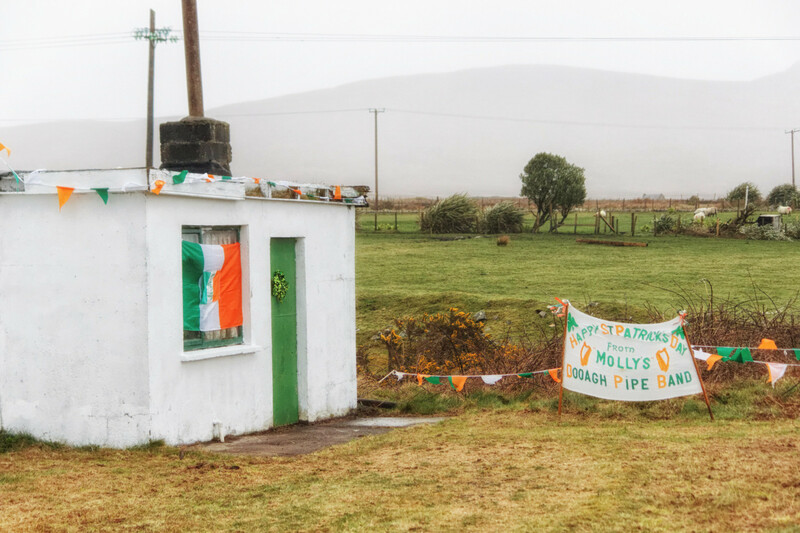 The start of the day at Molly’s was blustery. 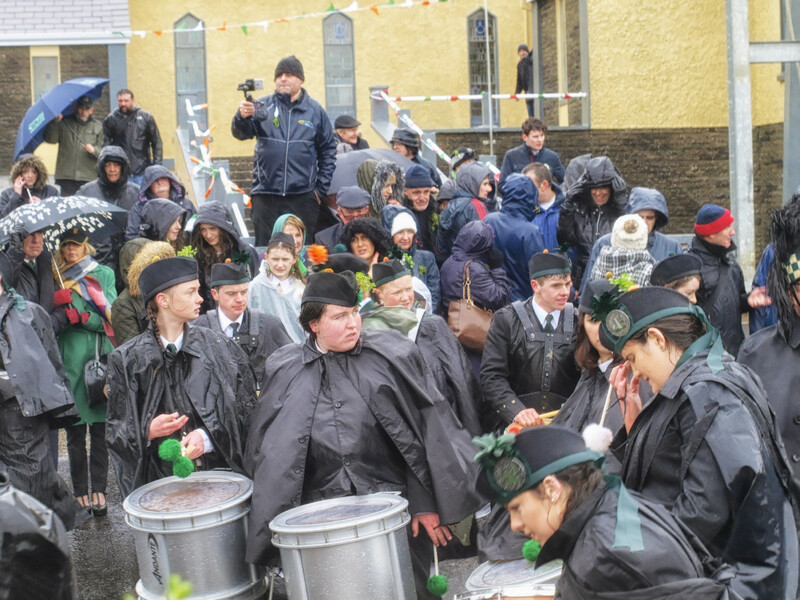 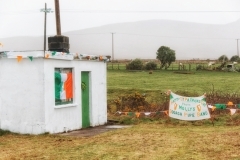 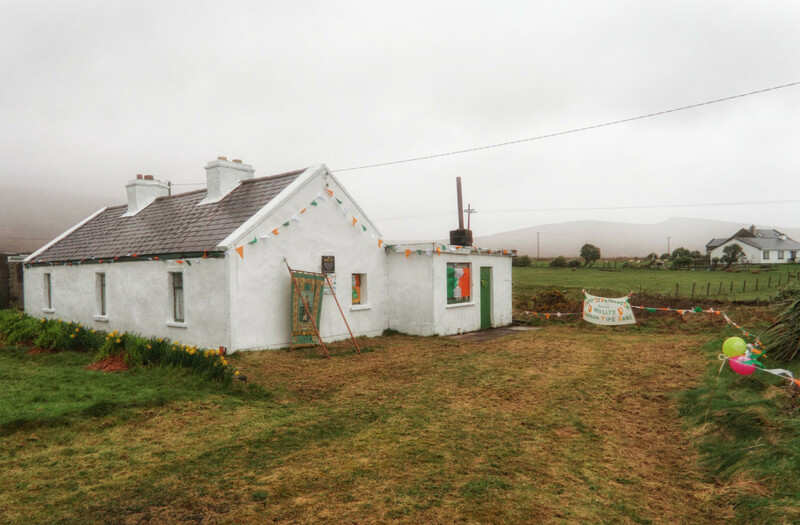 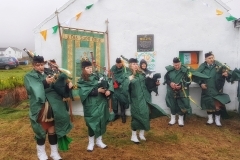 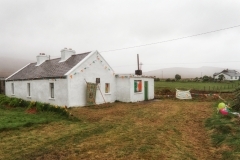 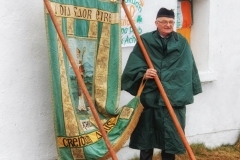 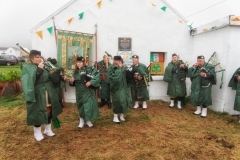 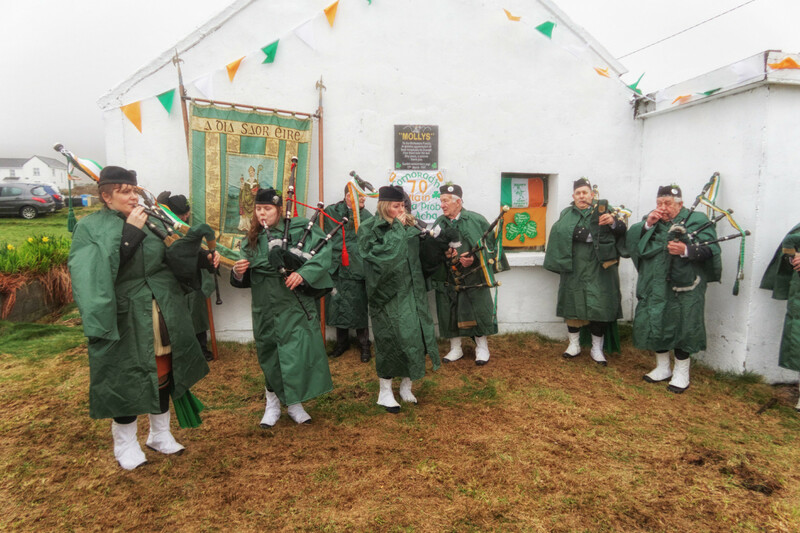 Those conditions got worse at Pollagh Church that the band had to play on the grounds of the church instead of on the road as normal. The band continued marching to Keel West, keeping a proud tradition alive.